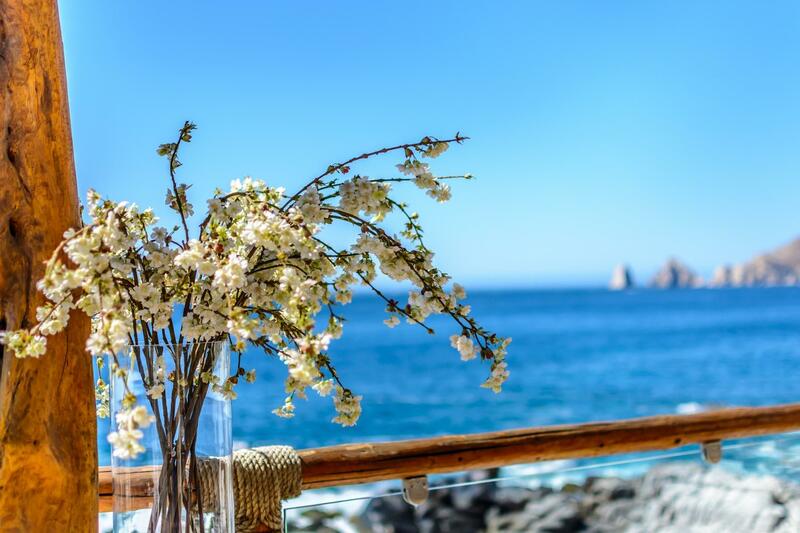 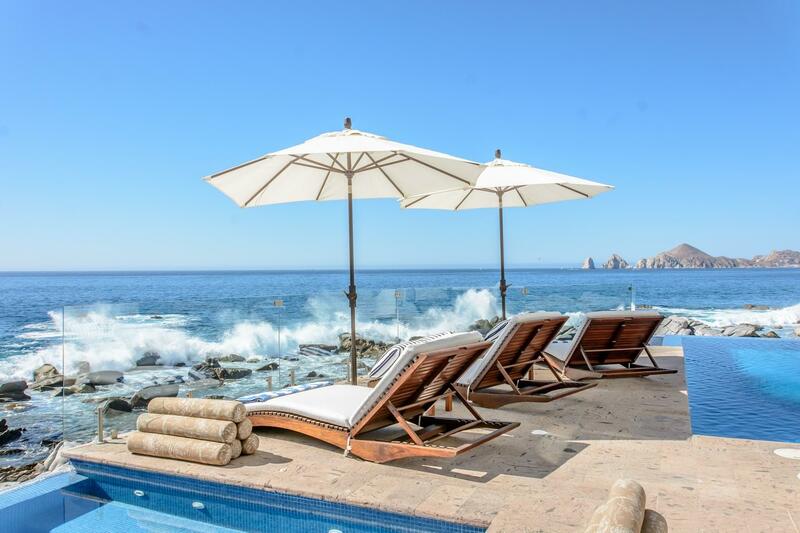 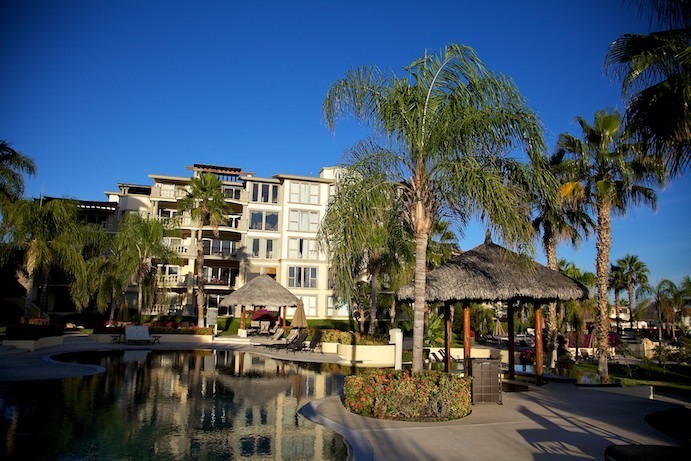 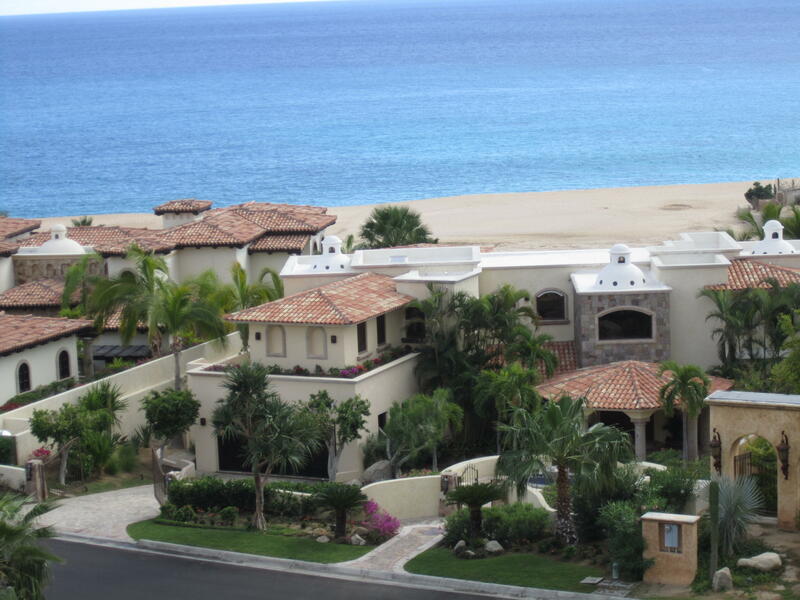 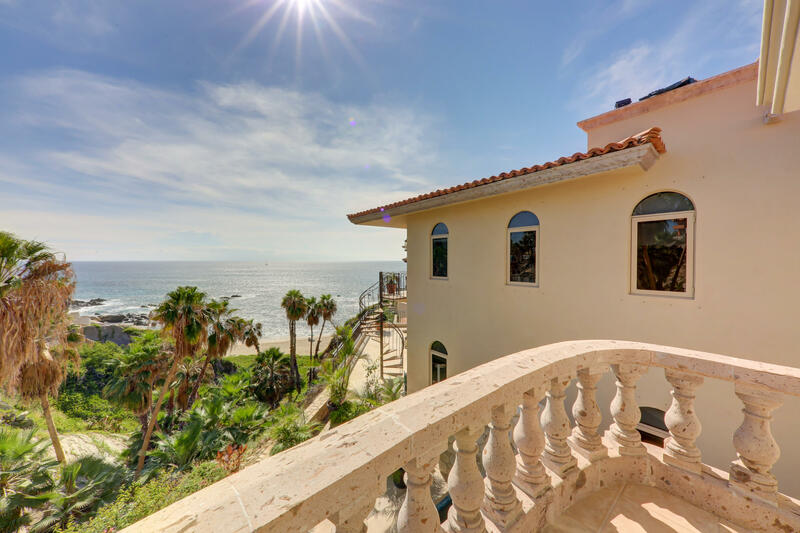 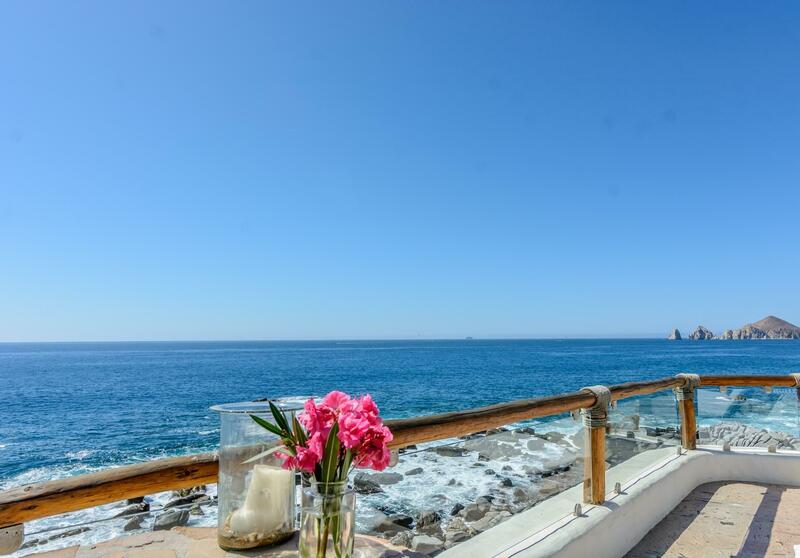 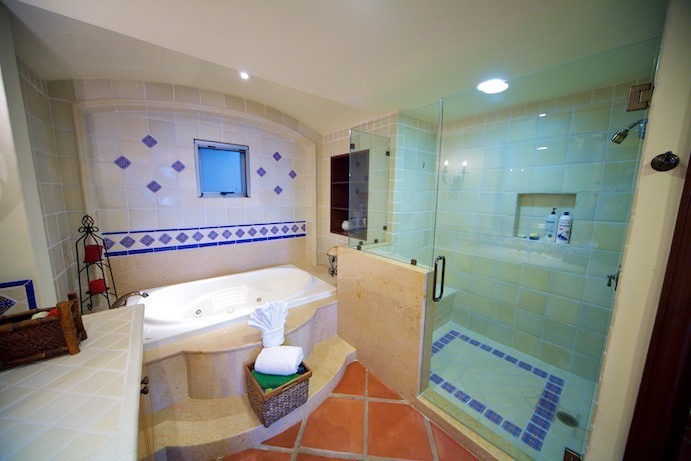 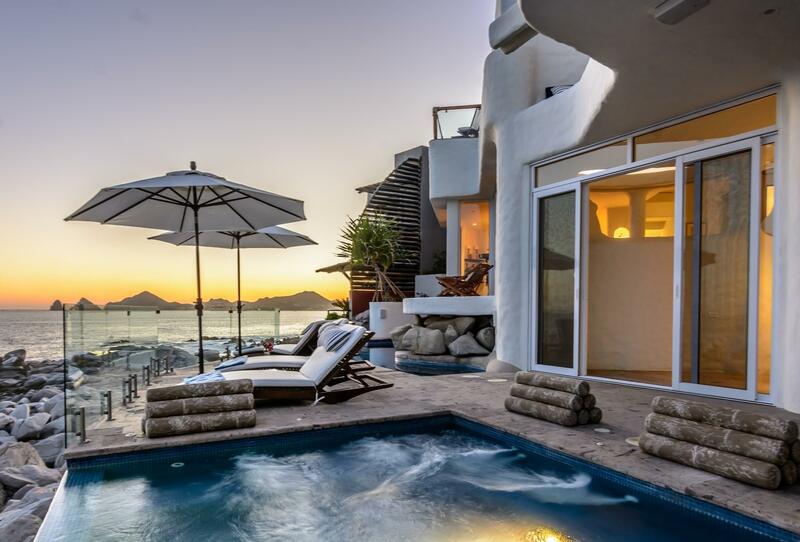 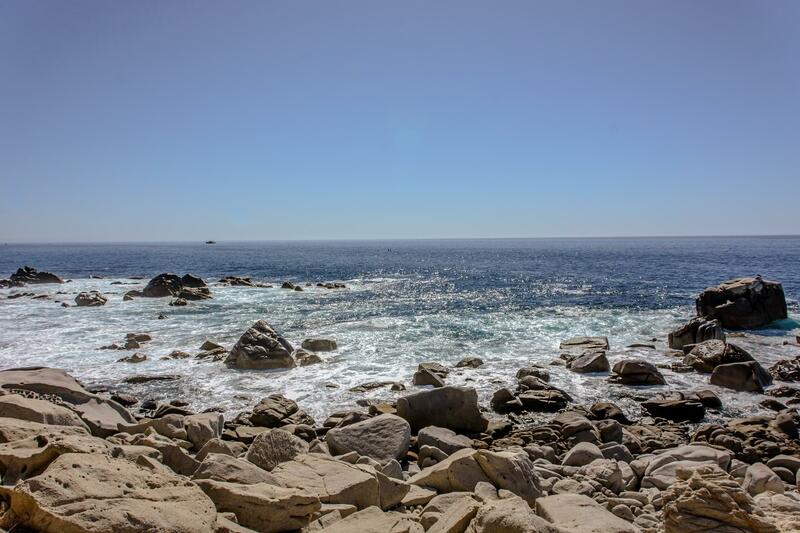 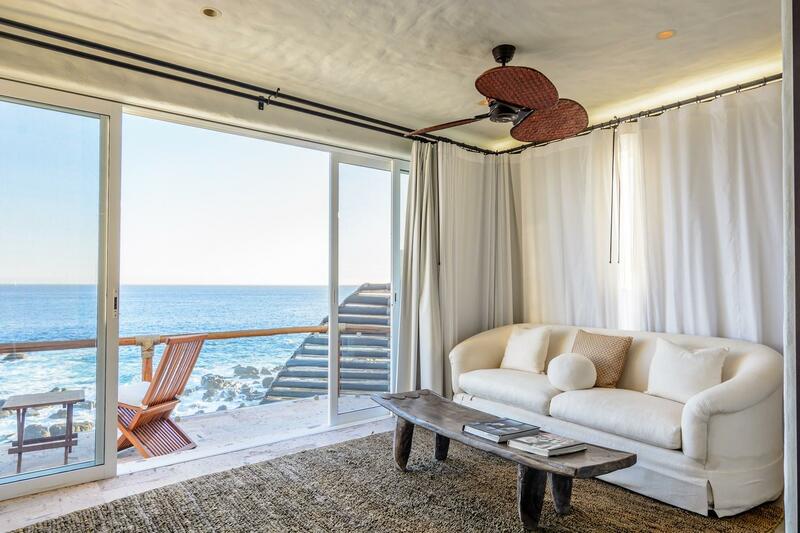 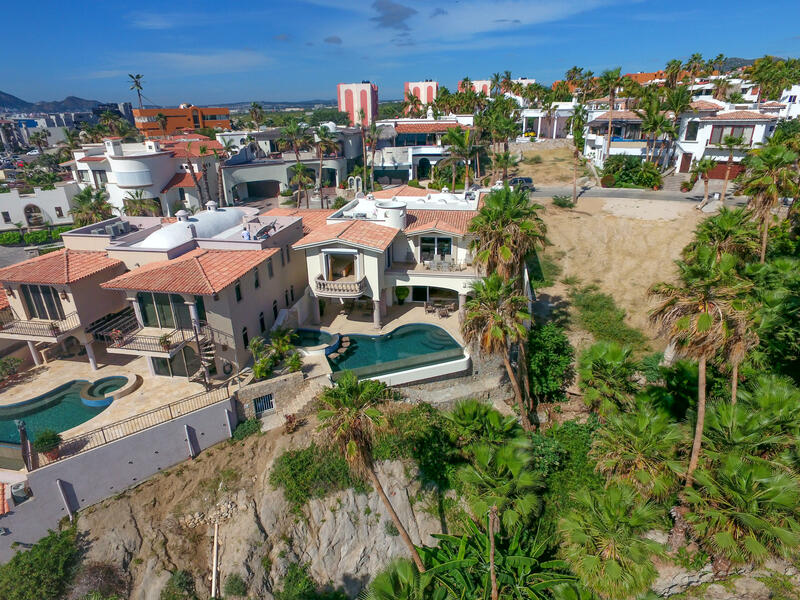 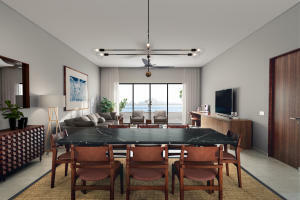 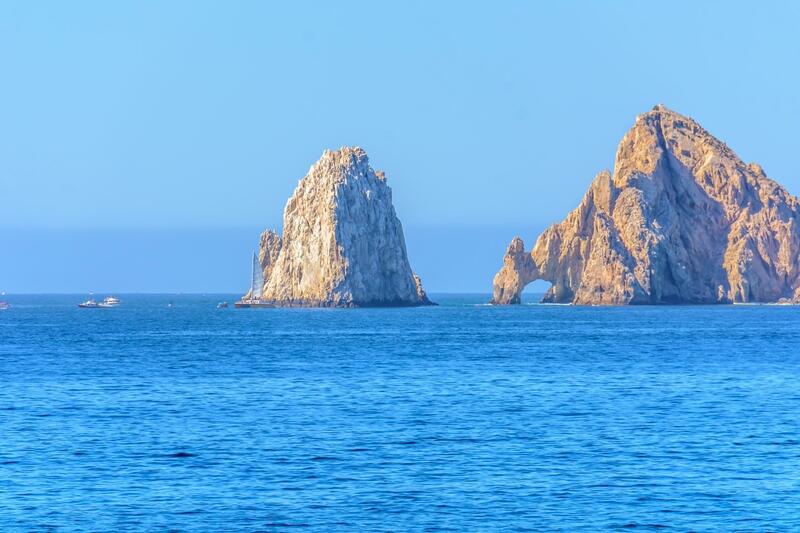 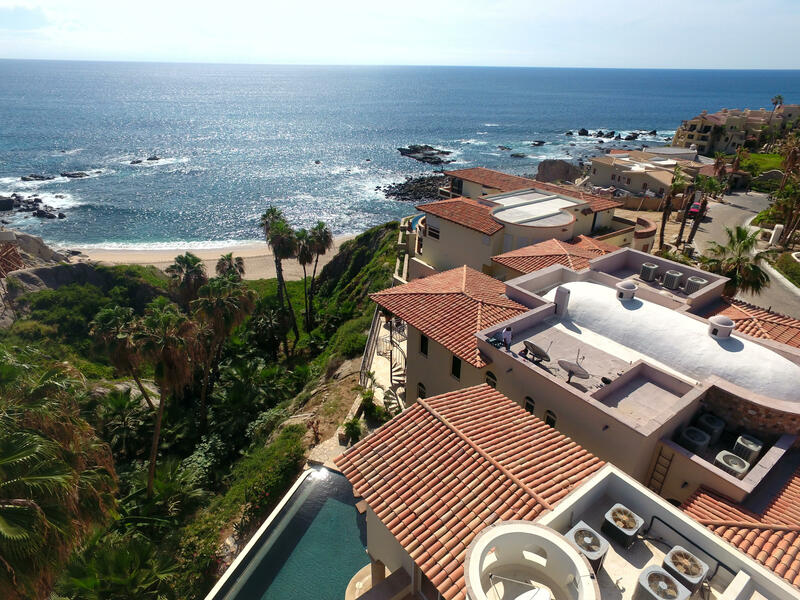 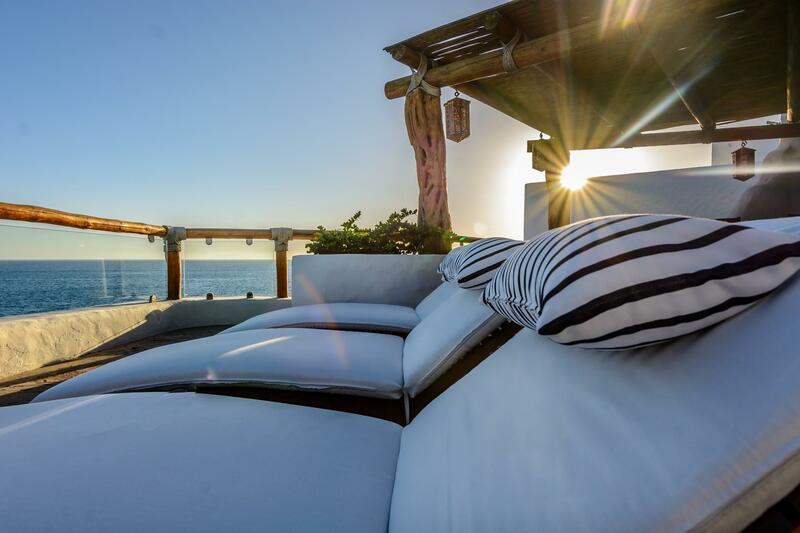 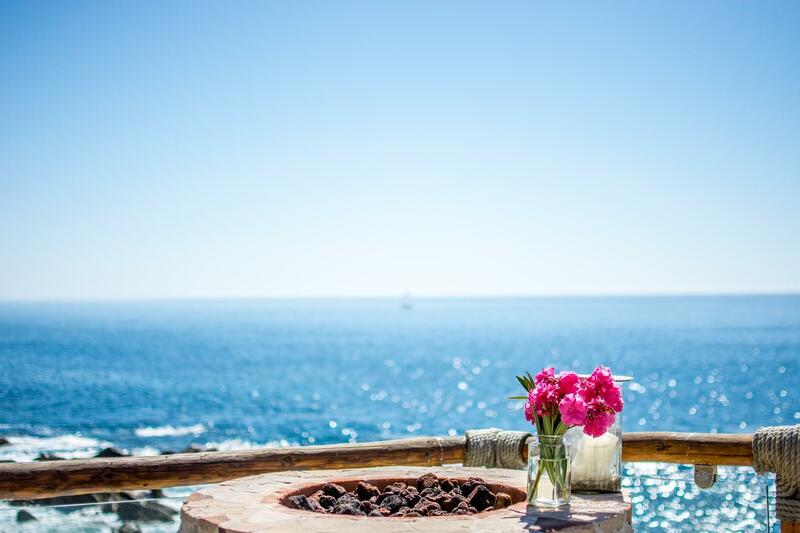 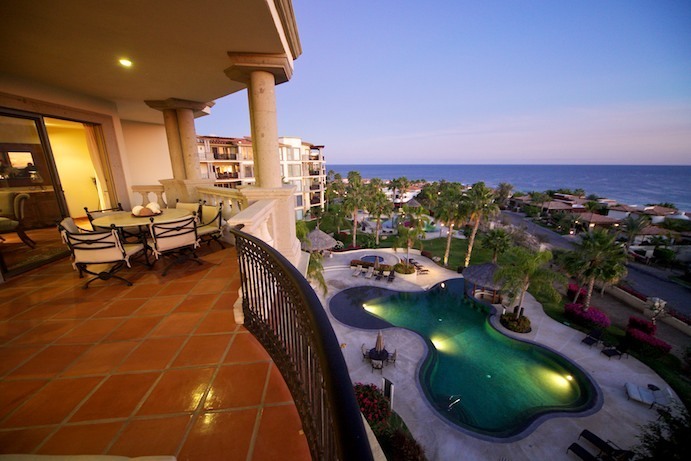 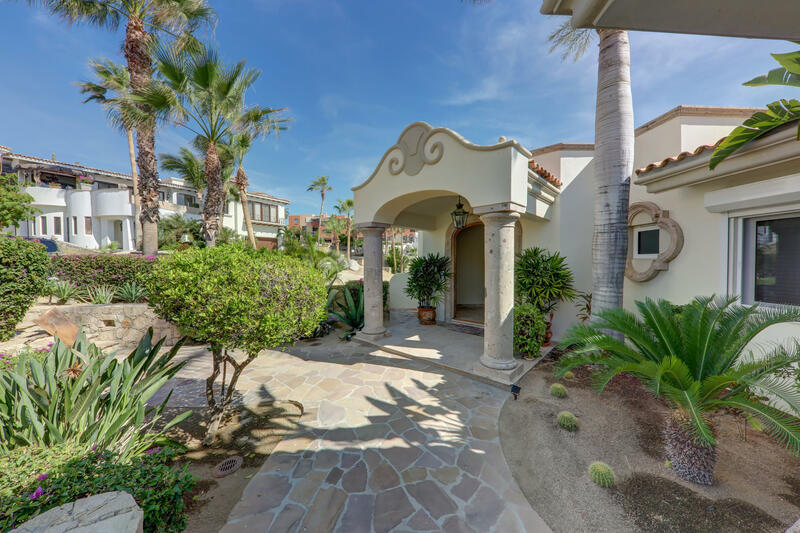 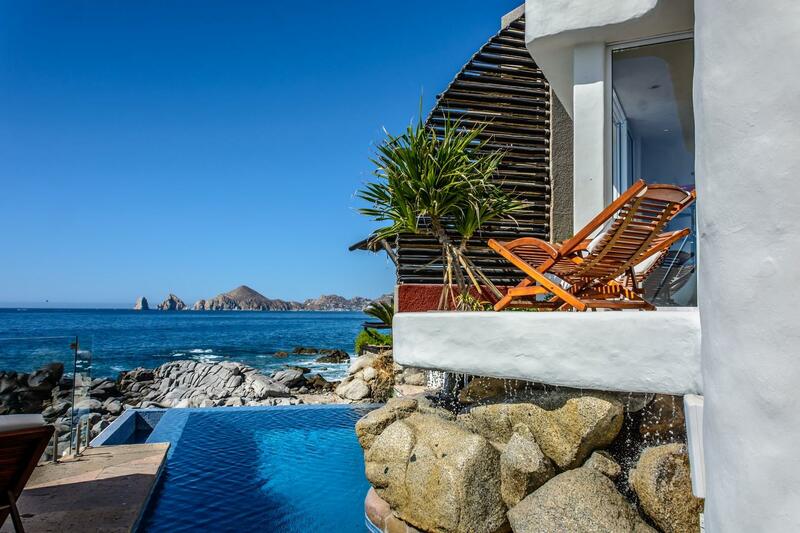 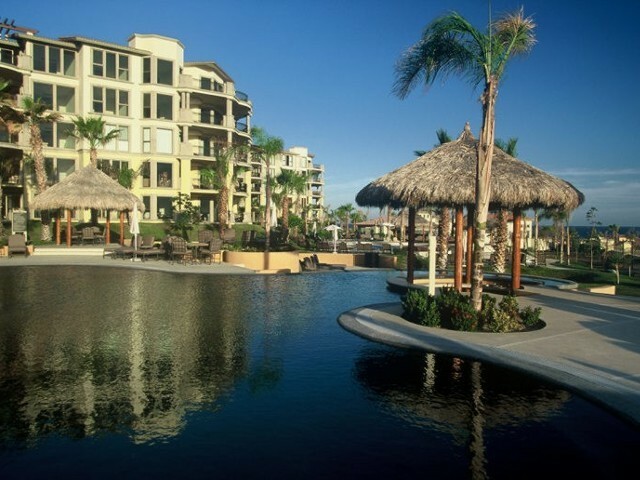 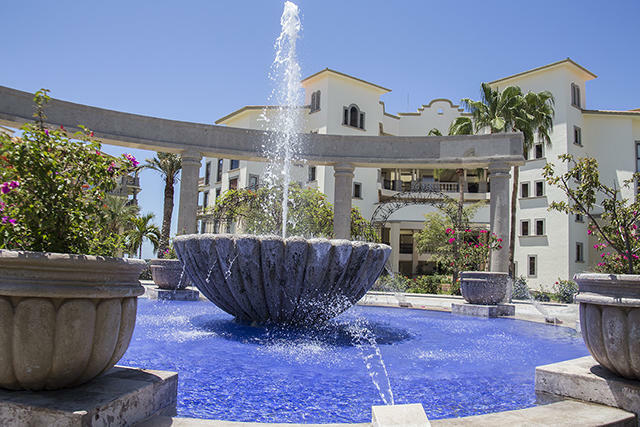 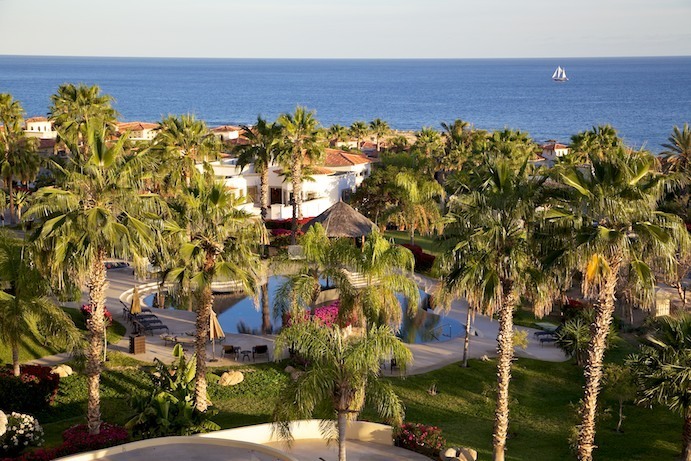 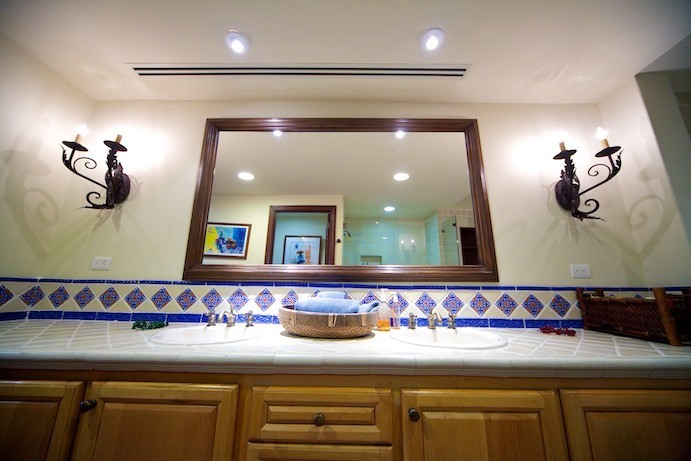 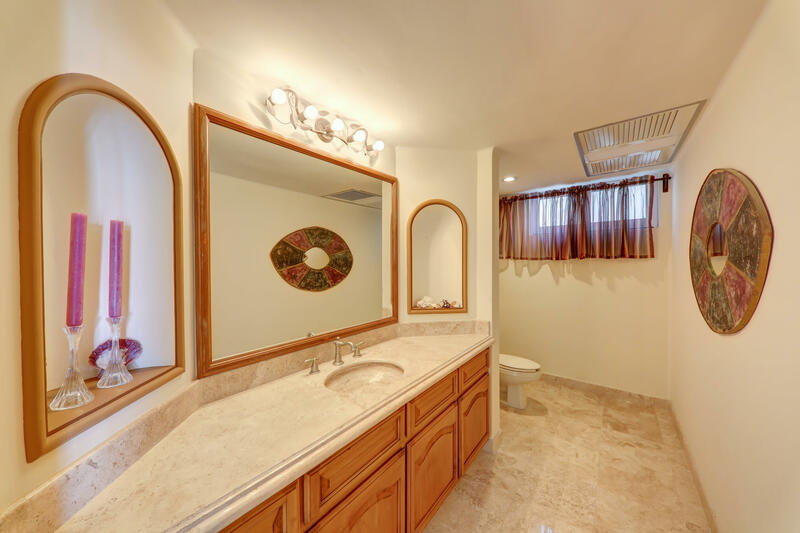 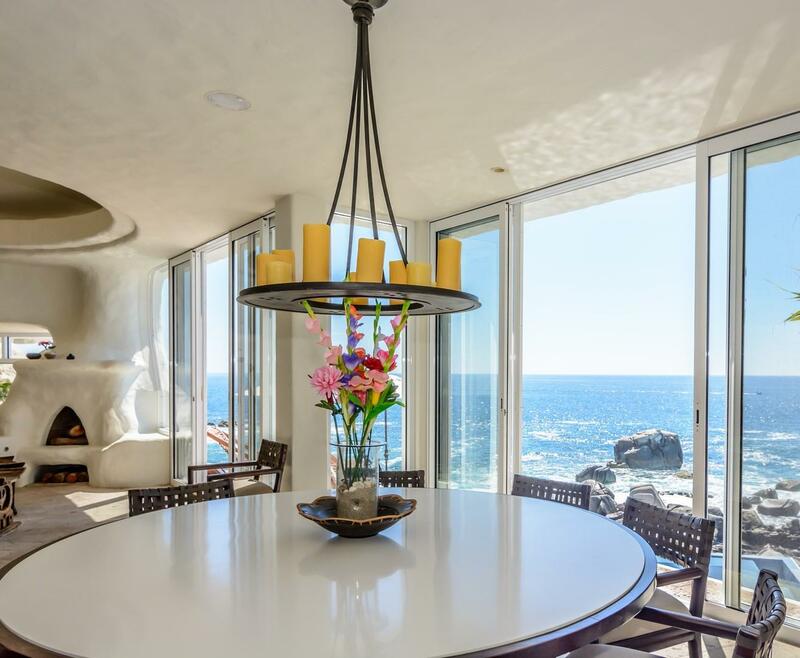 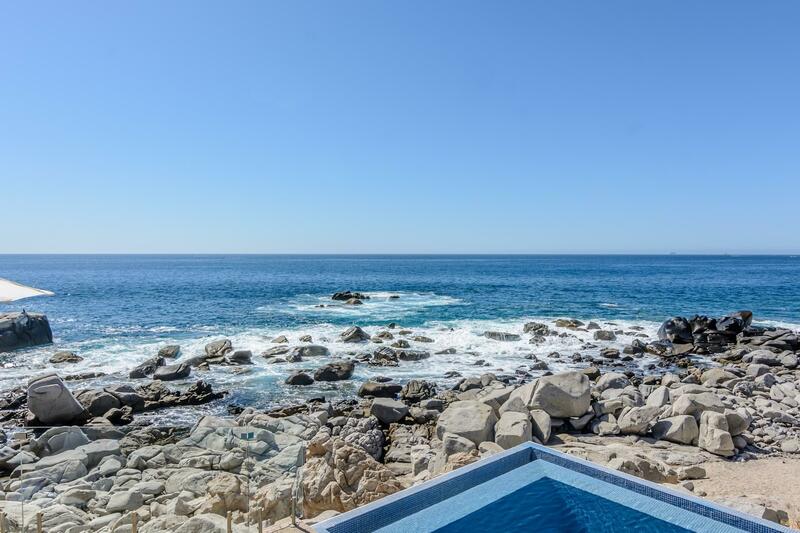 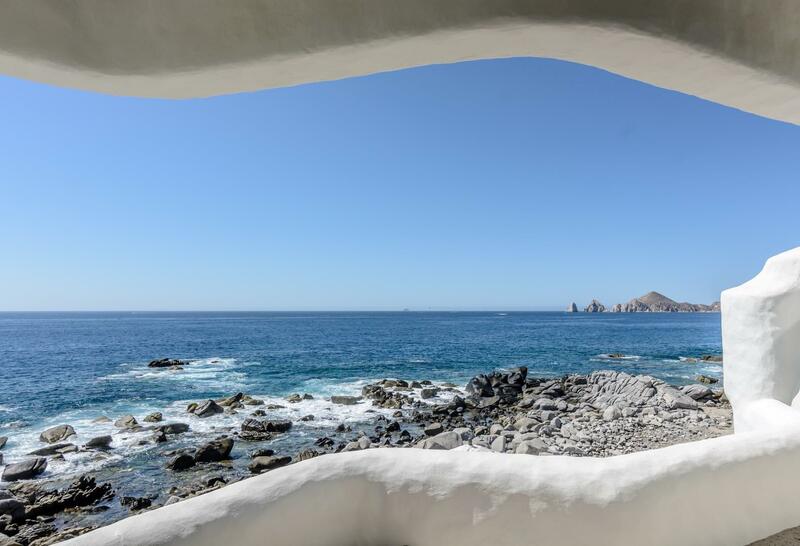 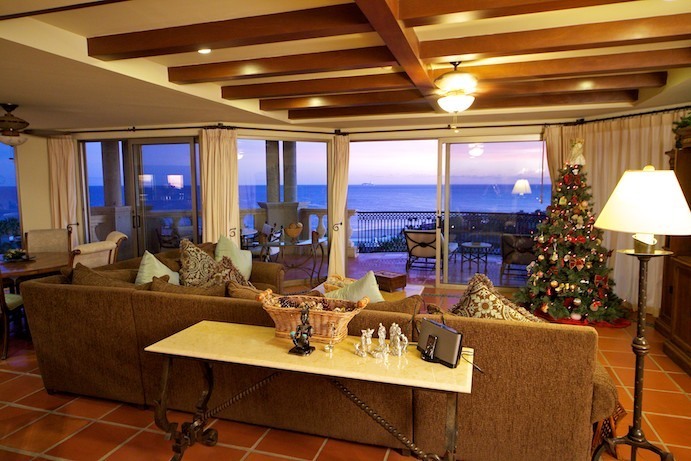 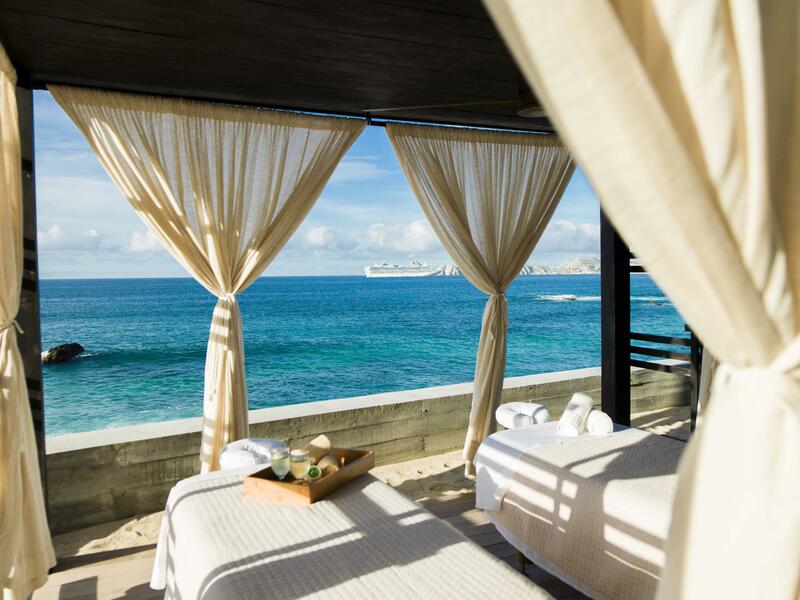 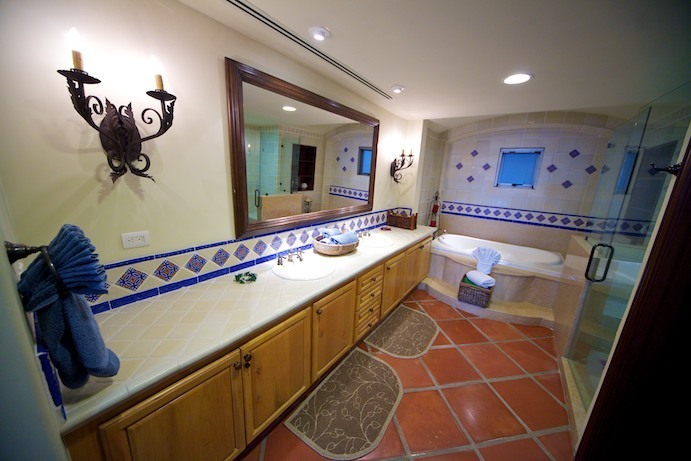 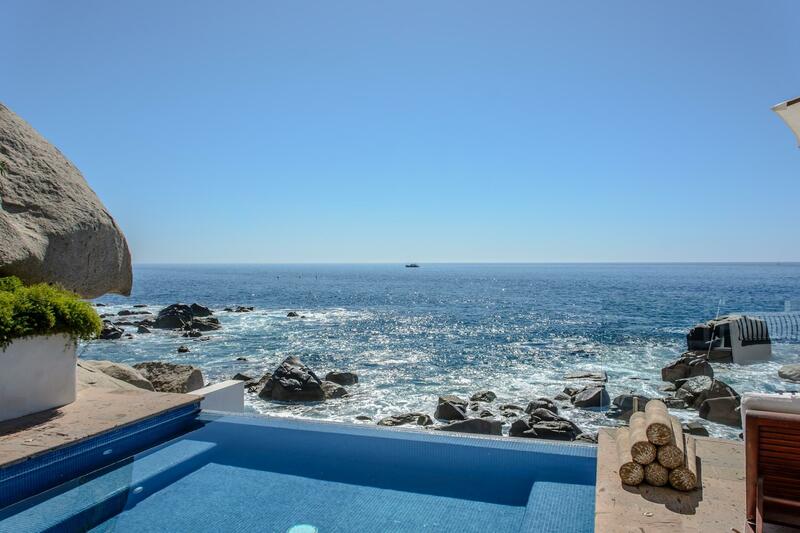 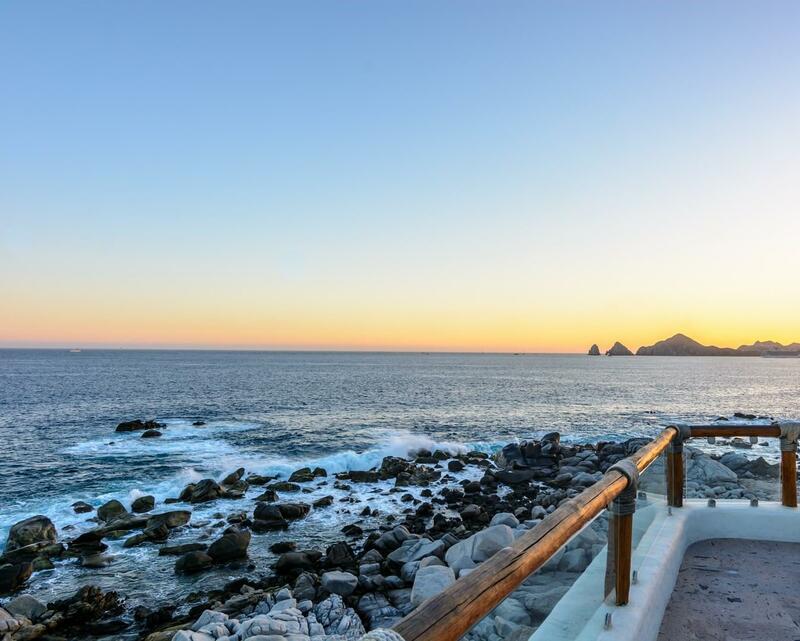 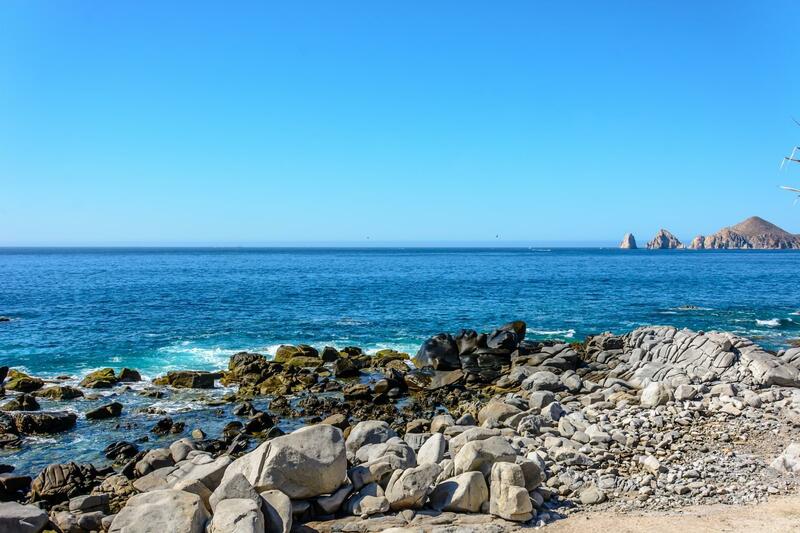 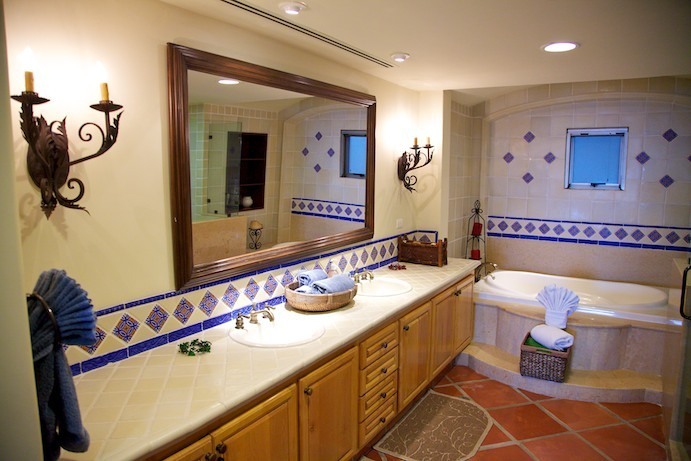 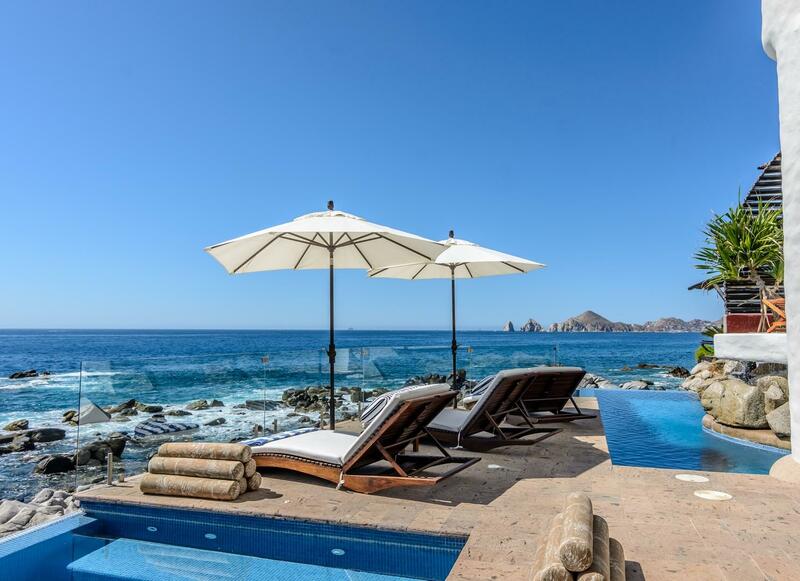 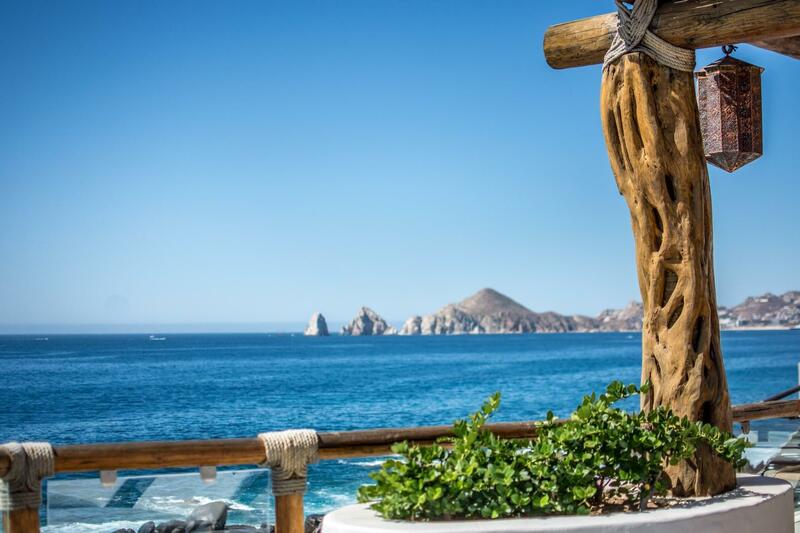 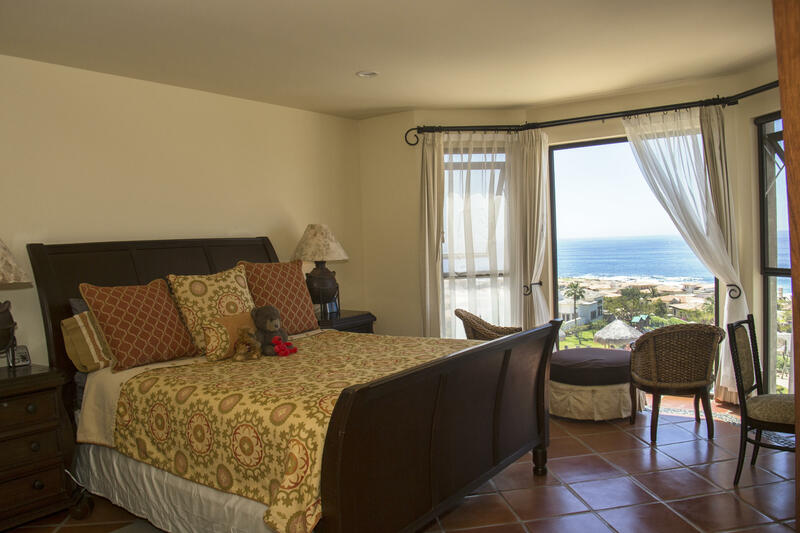 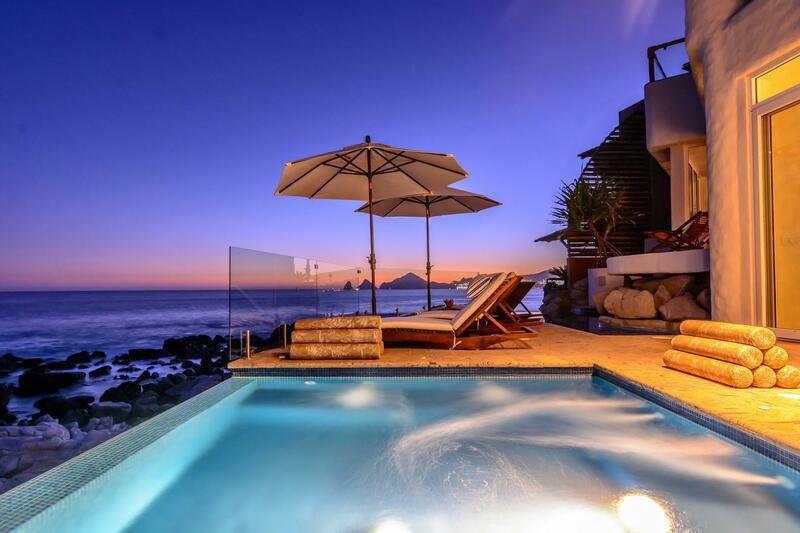 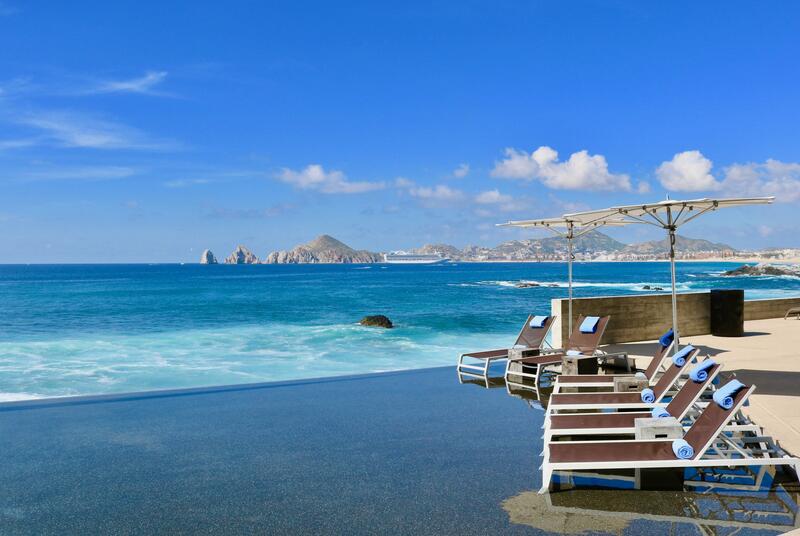 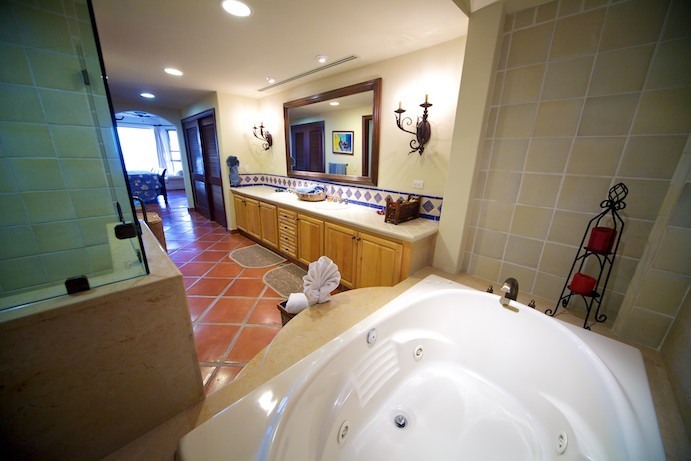 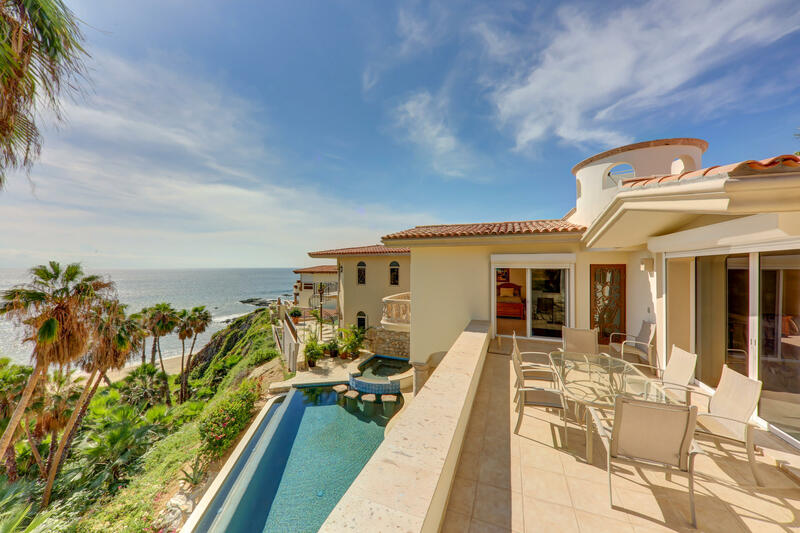 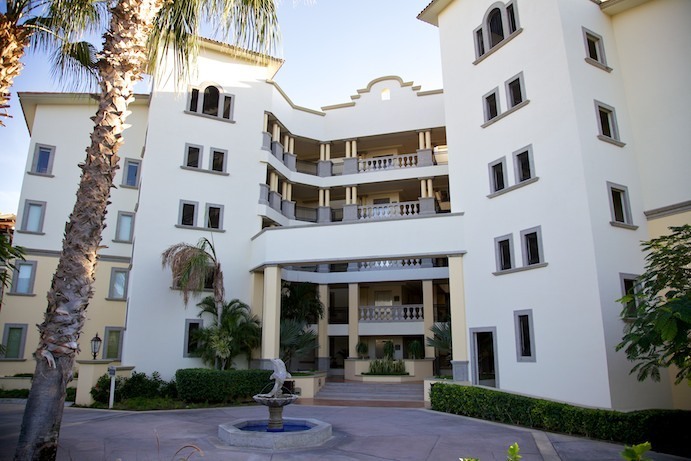 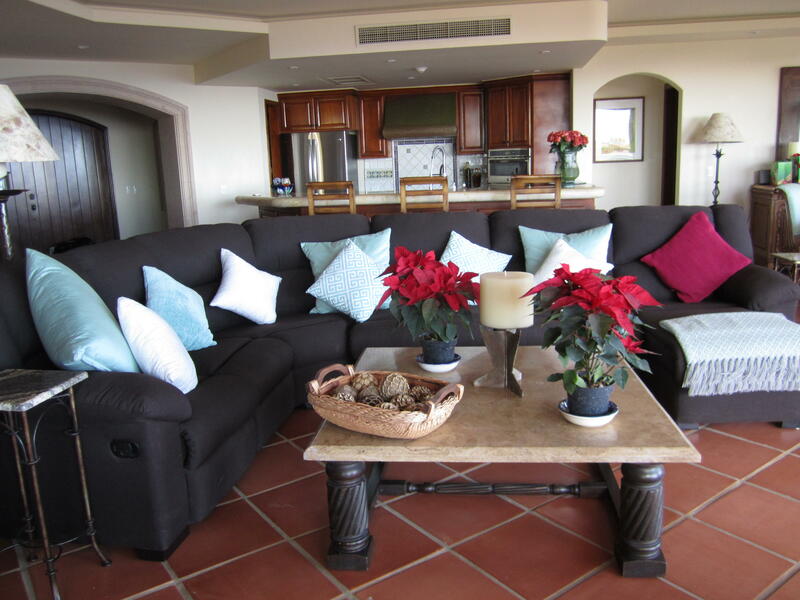 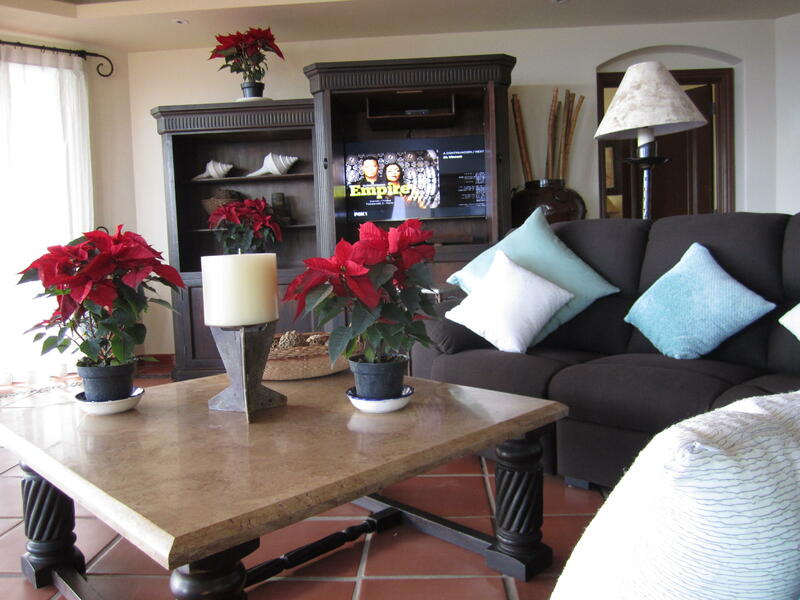 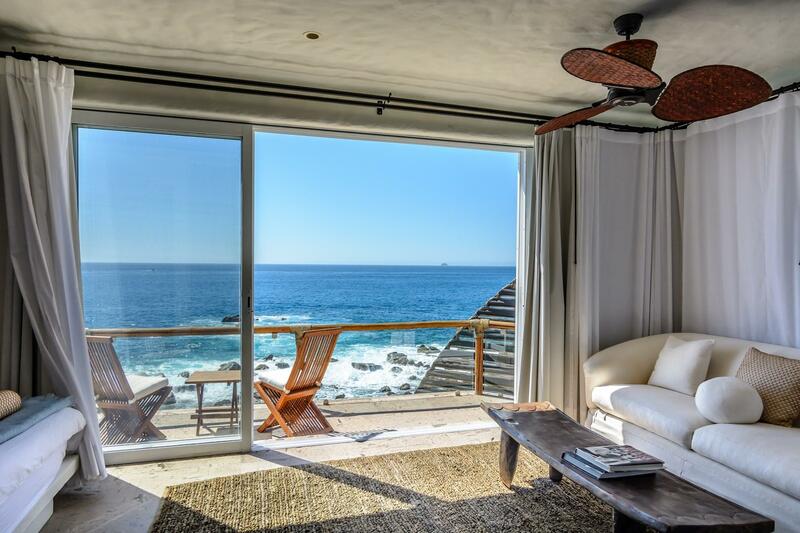 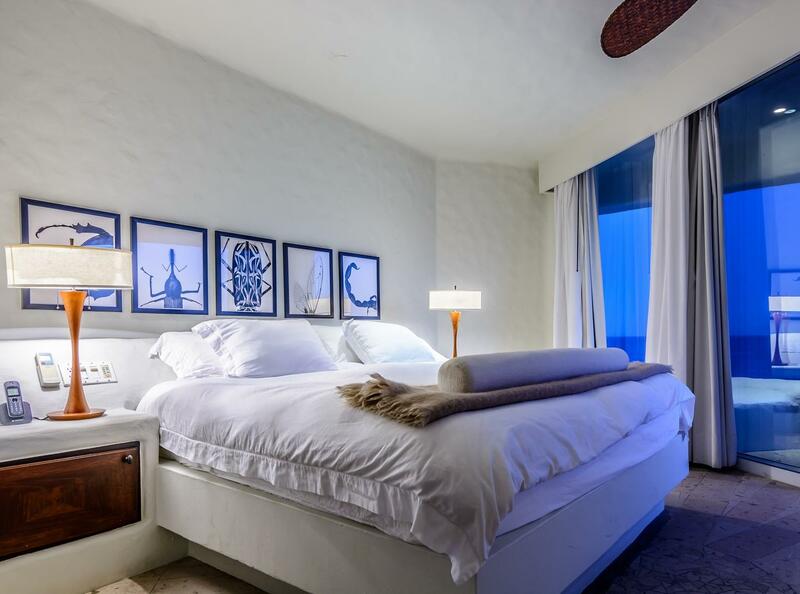 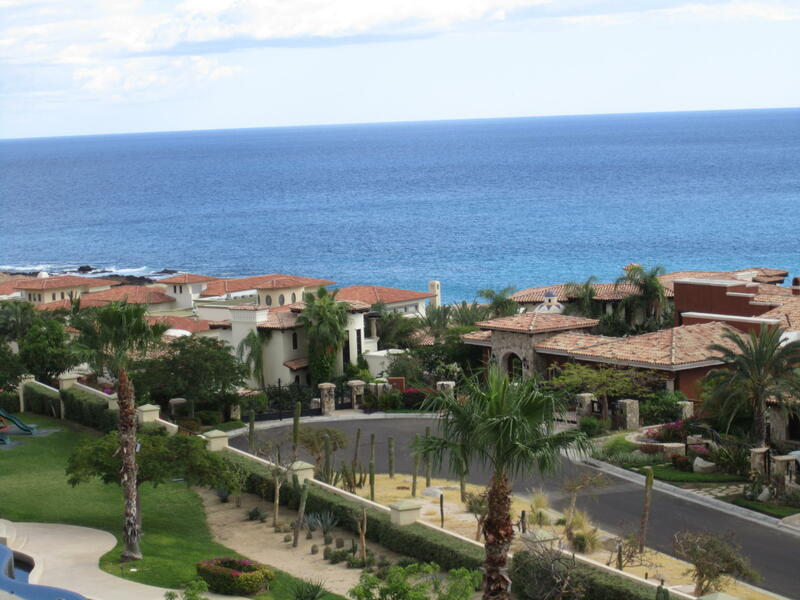 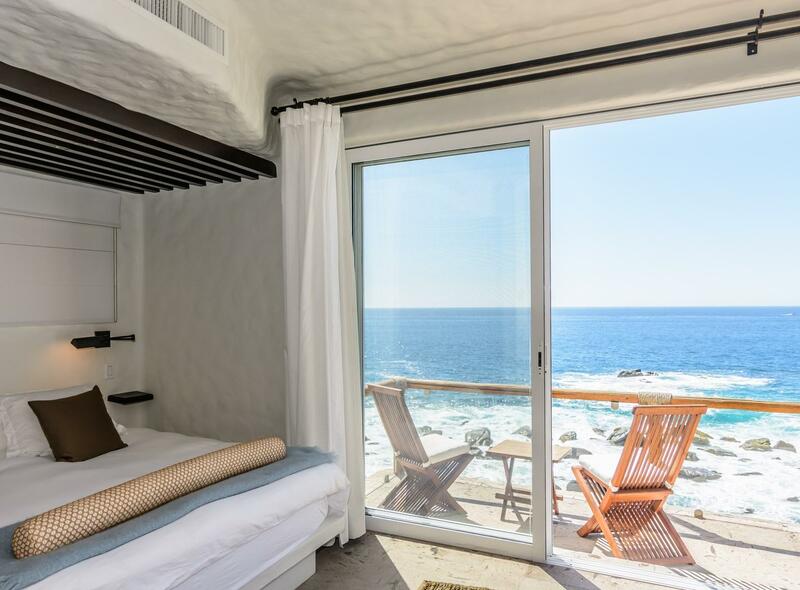 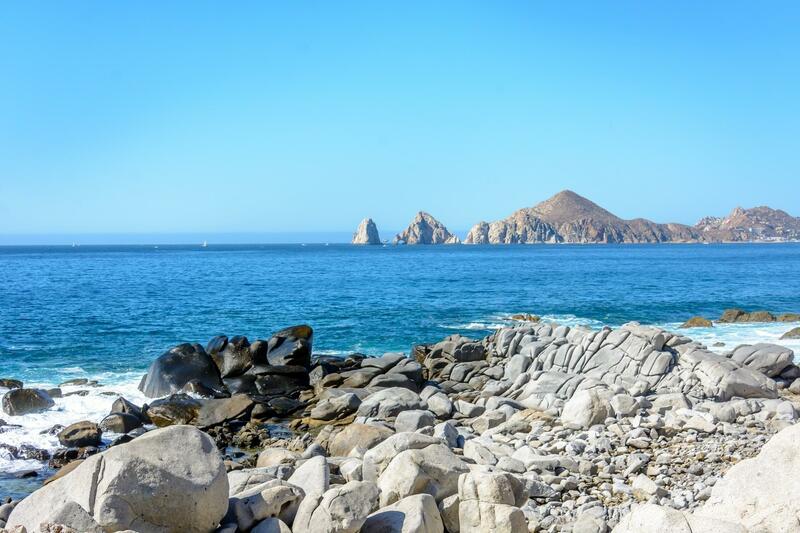 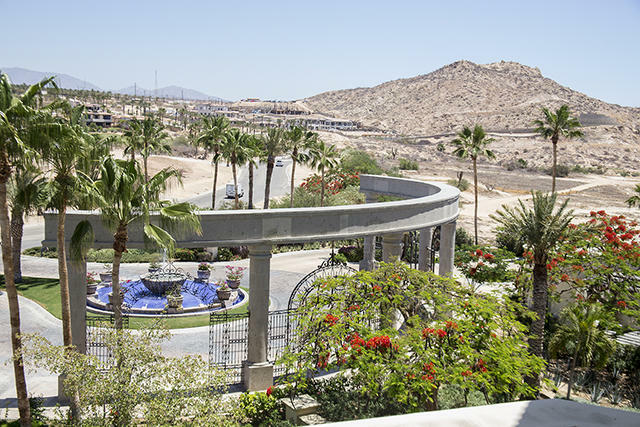 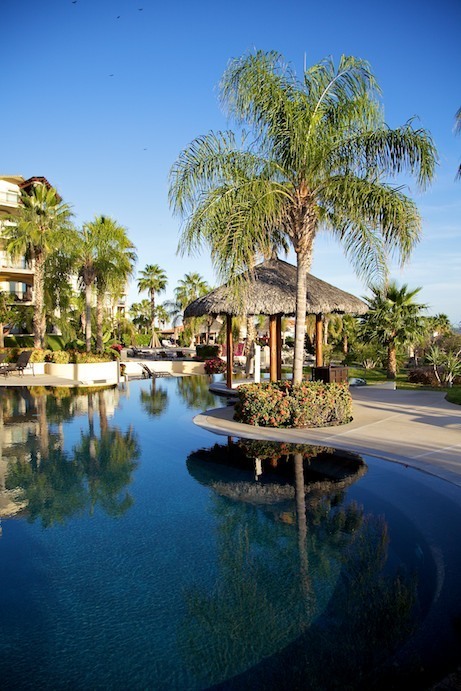 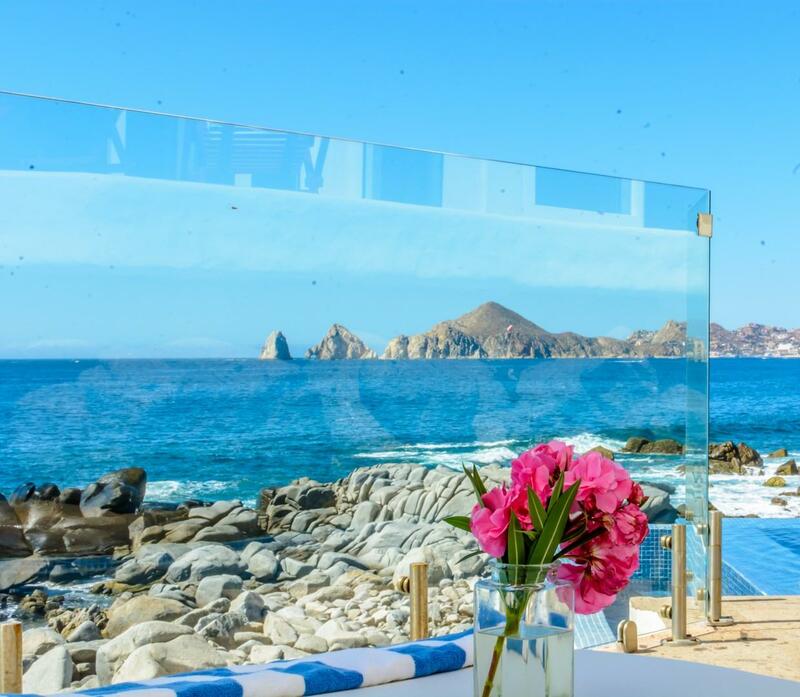 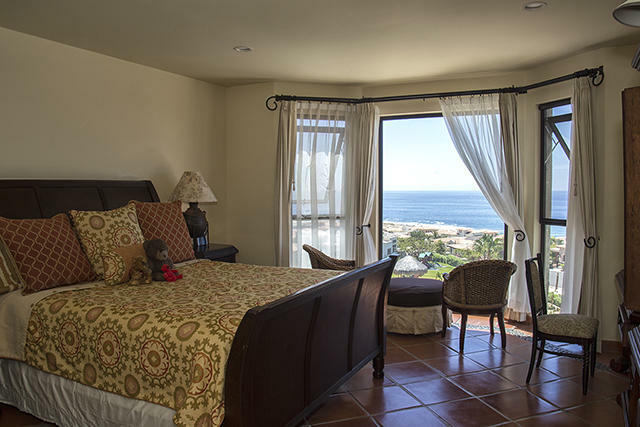 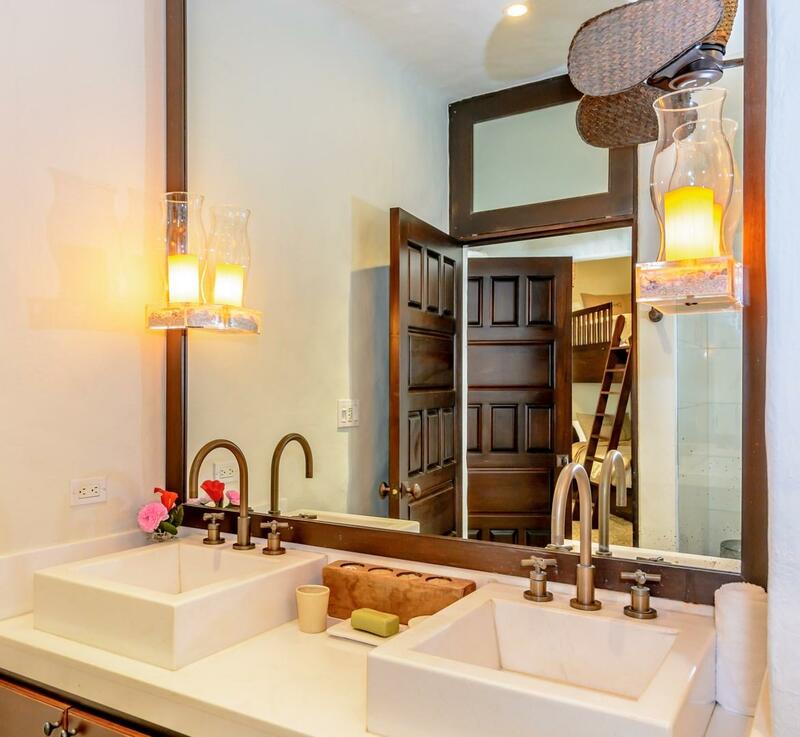 Description: Located on the tip of the Baja California Peninsula, The Cape Residences are a boutique collection of full-ownership luxury condominiums perched above the surf, with stunning views of the iconic Cabo San Lucas' Arch. 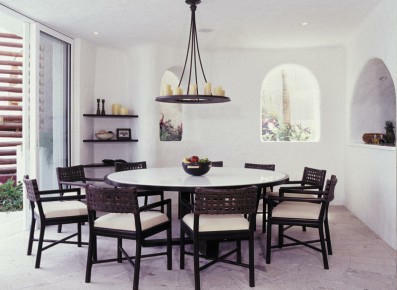 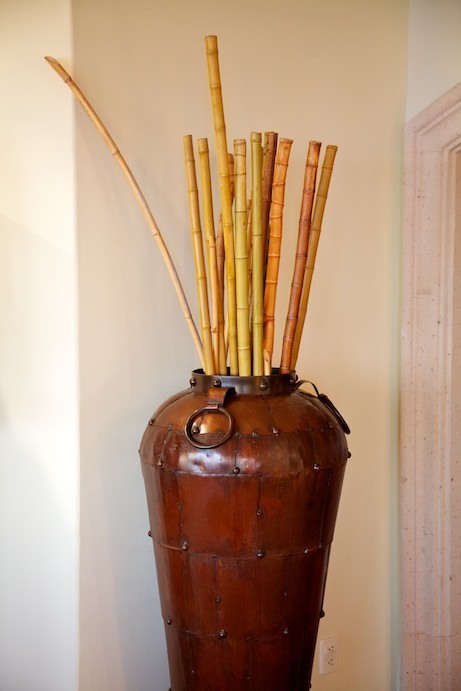 They re-deï¬ne the concept of contemporary Mexican luxury with an ensemble of clean, modern, and minimalistic designs. 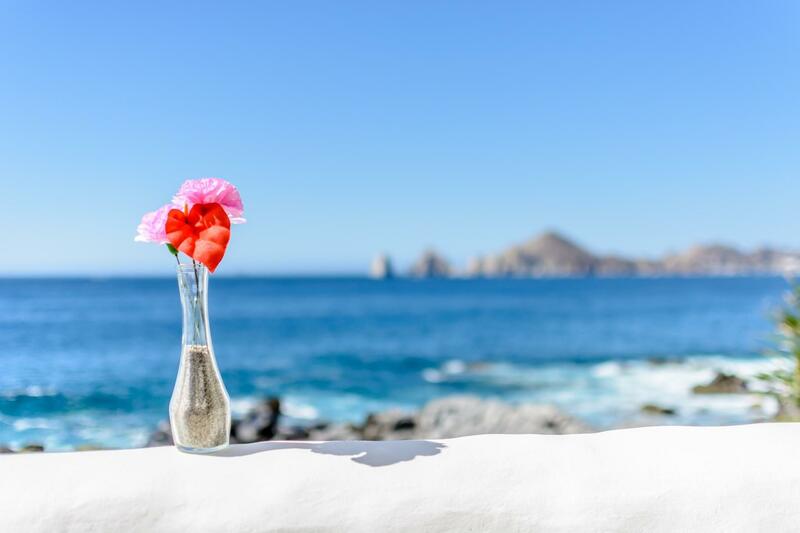 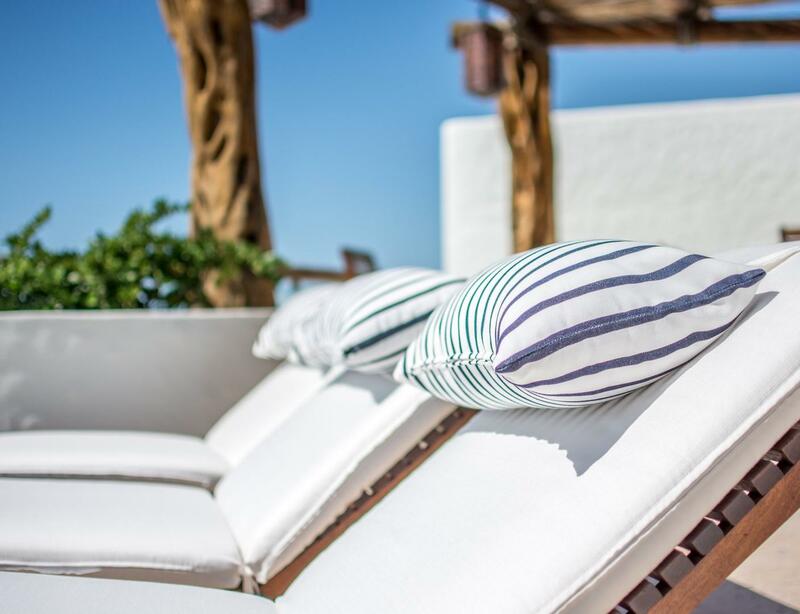 With a subtle nod to the beach blanket lifestyle the Baja enjoys year-round, you are bound to experience something quite amazing. 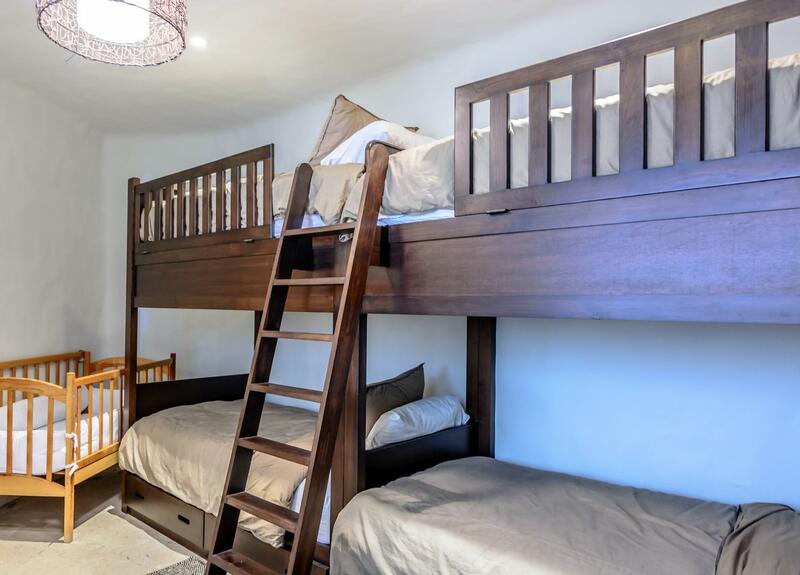 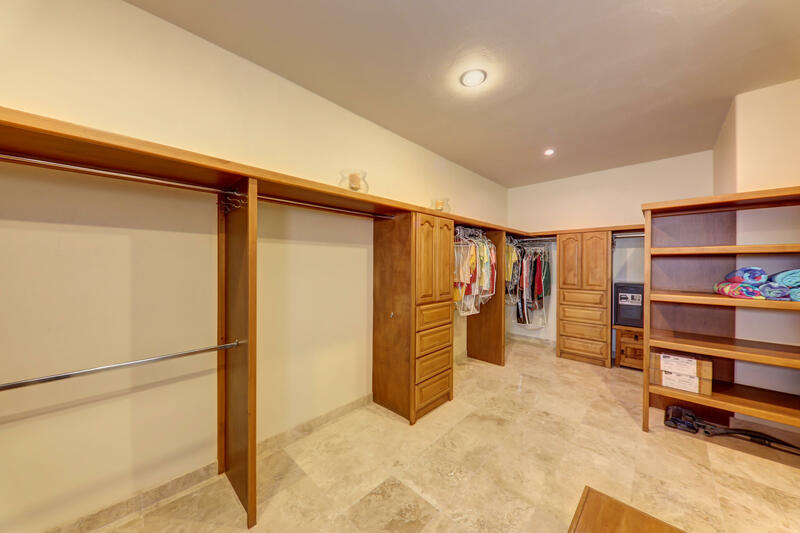 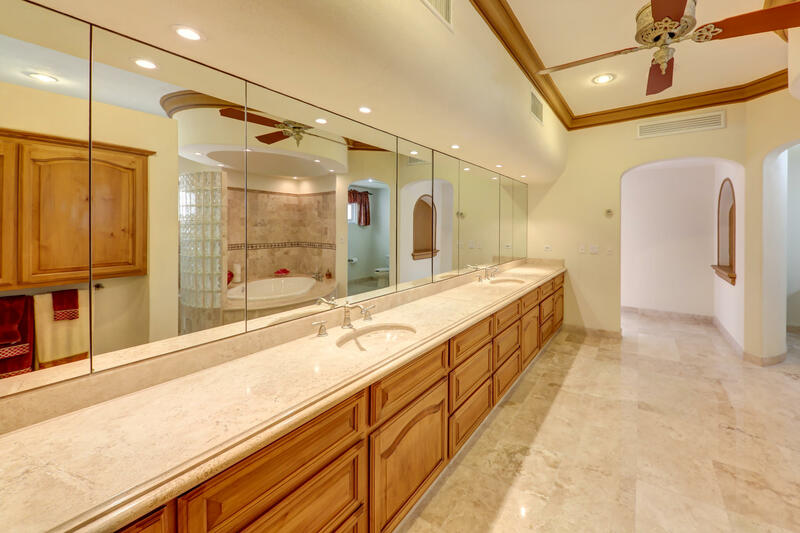 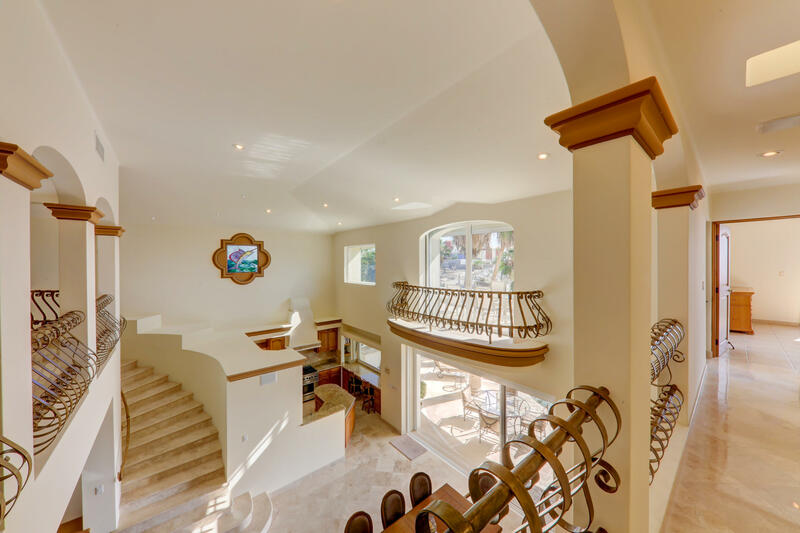 This five-bedroom residence offers a unique two-story lockoff. 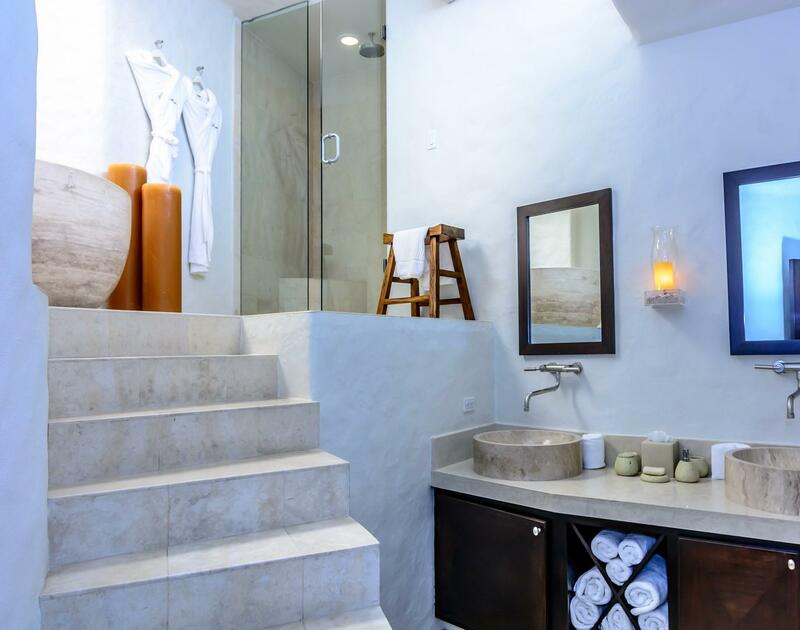 A 3000 sf three bedroom residence with a staircase that leads to a rooftop two bedroom Penthouse replete with private heated plunge pool. 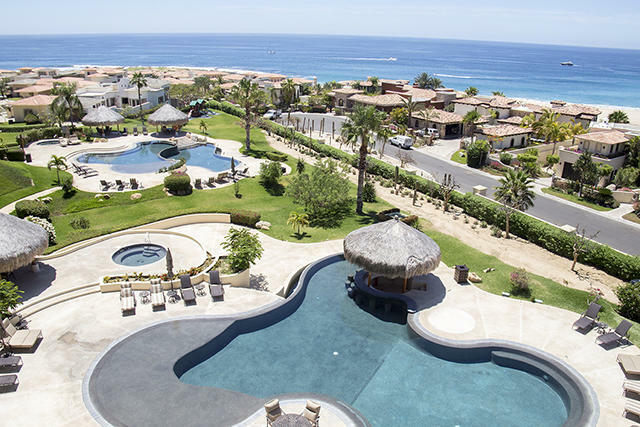 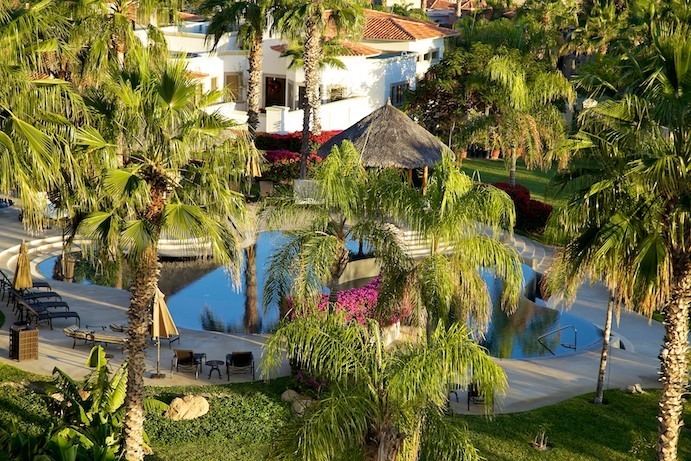 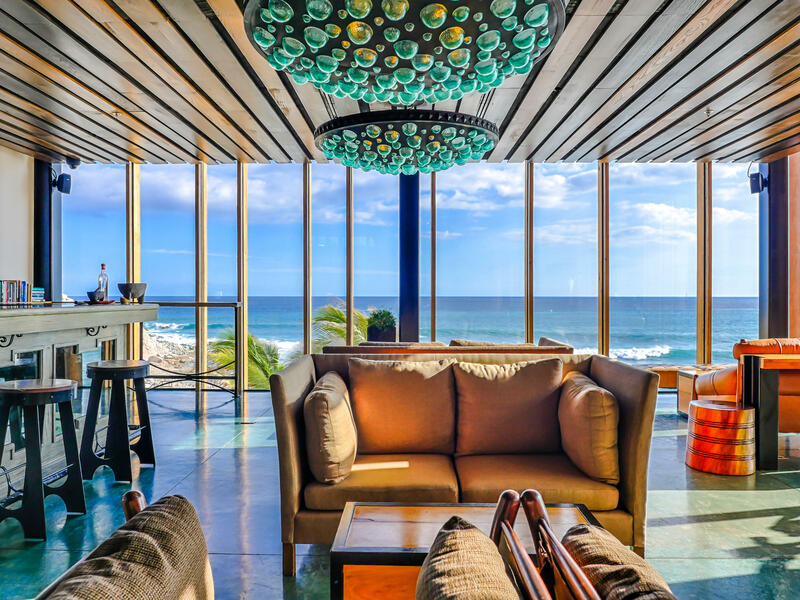 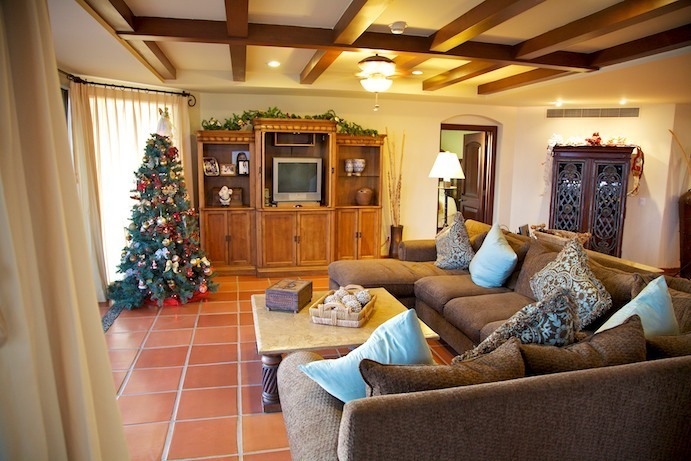 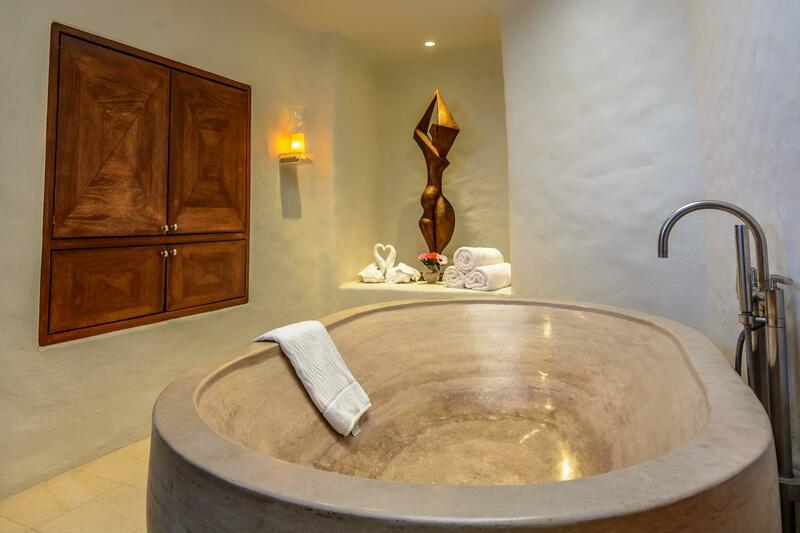 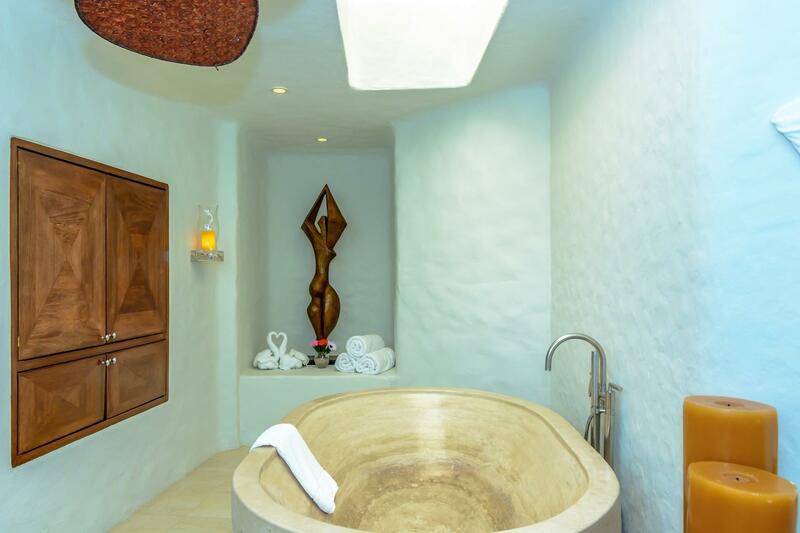 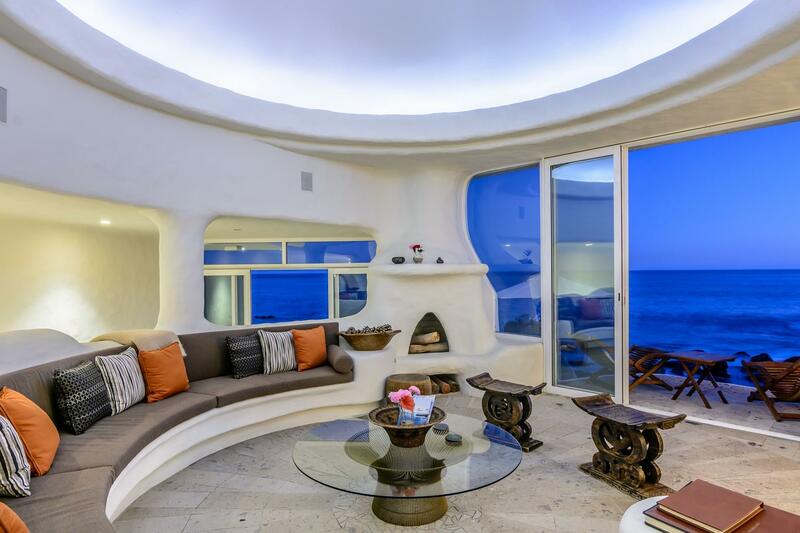 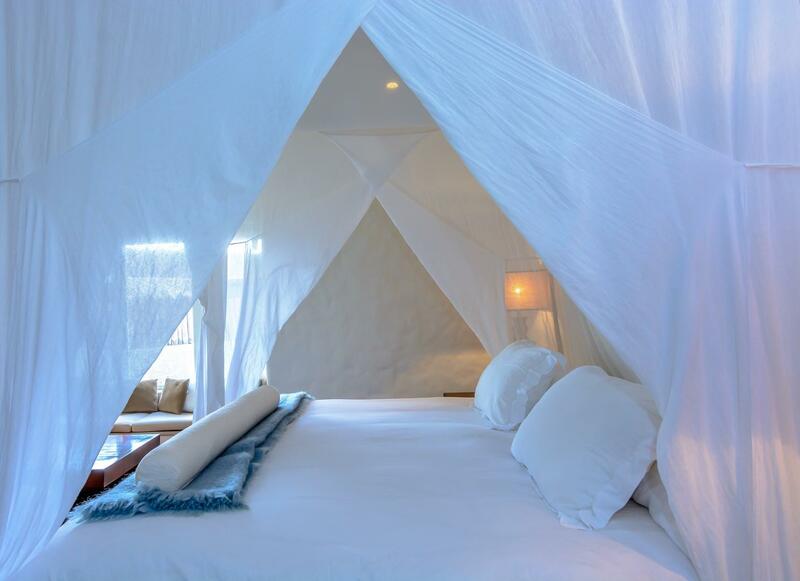 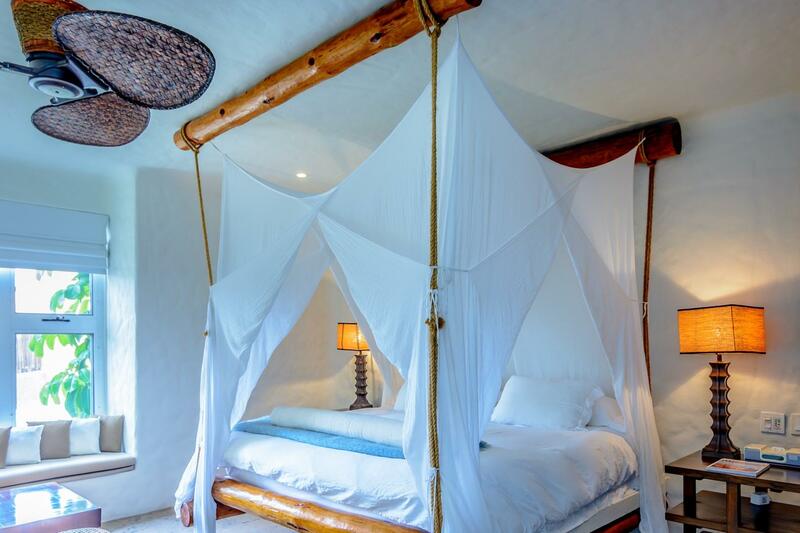 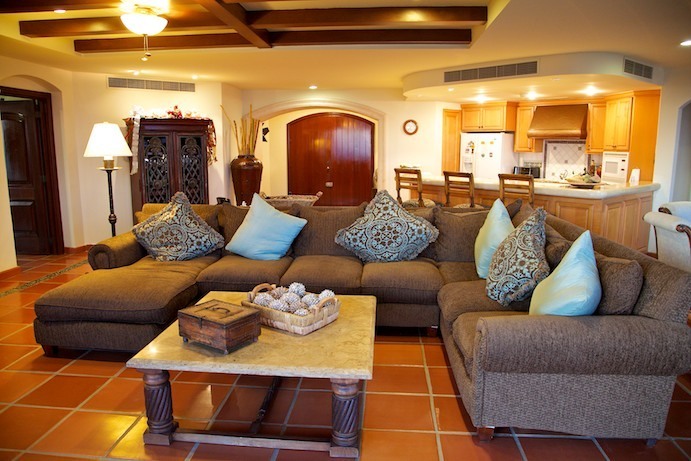 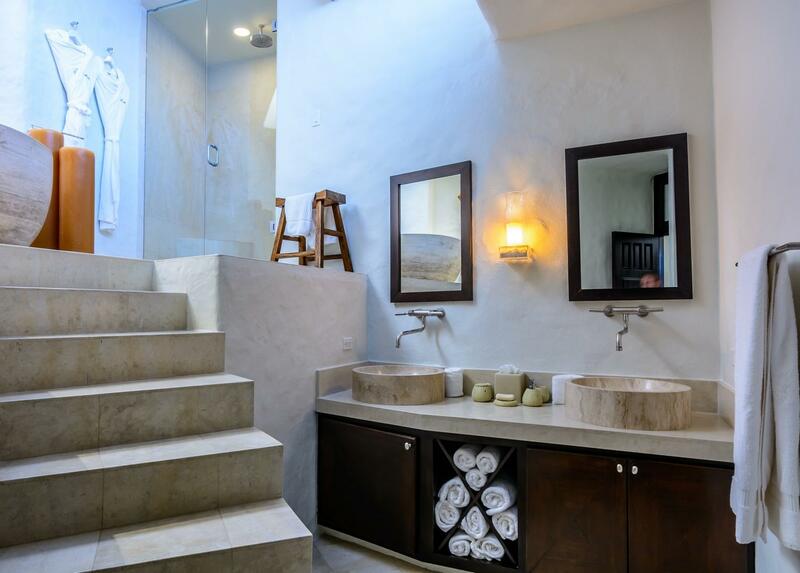 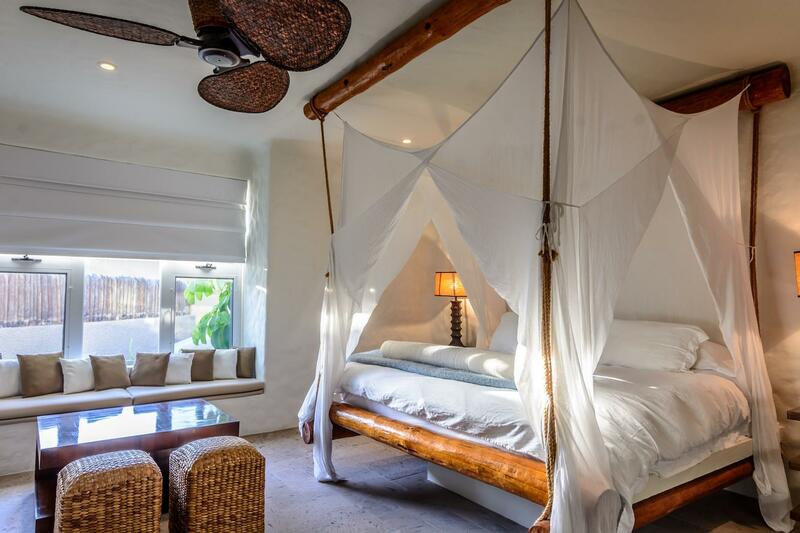 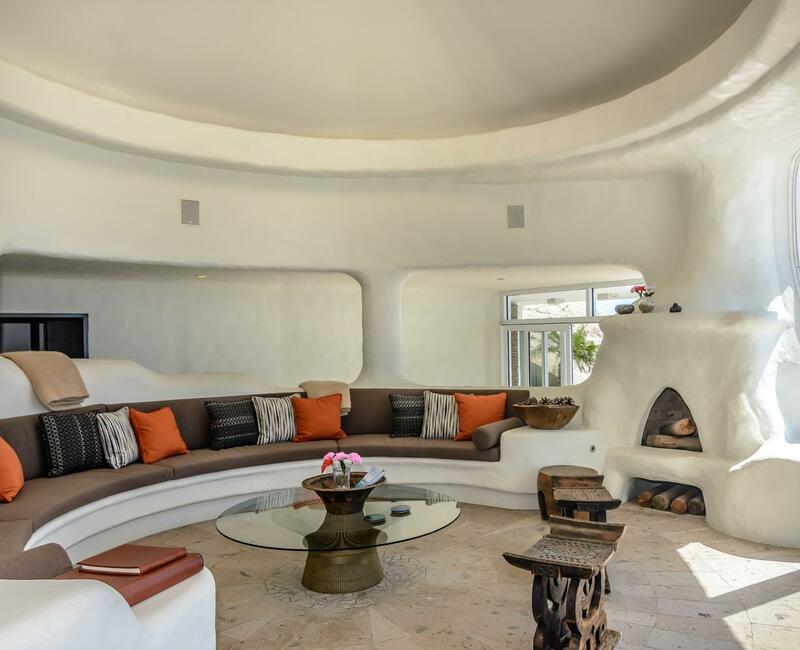 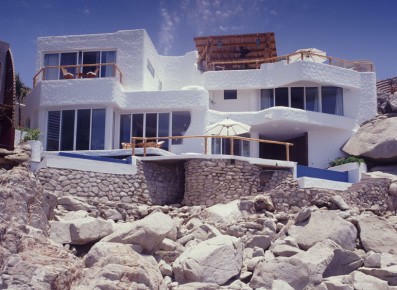 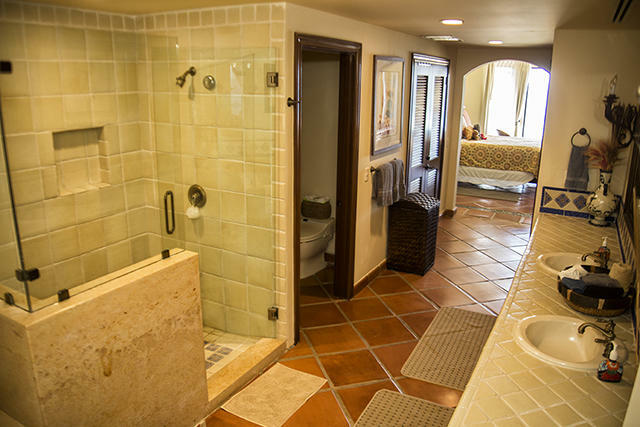 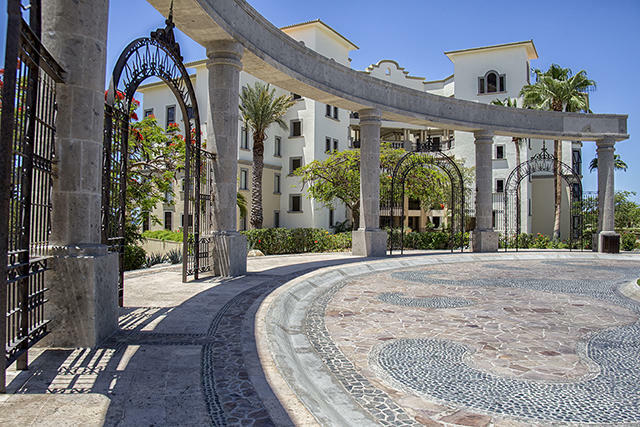 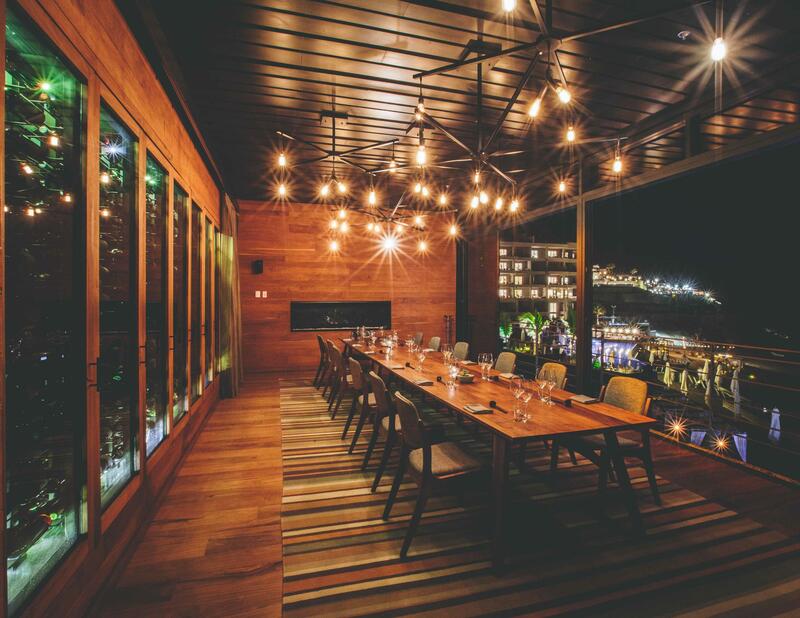 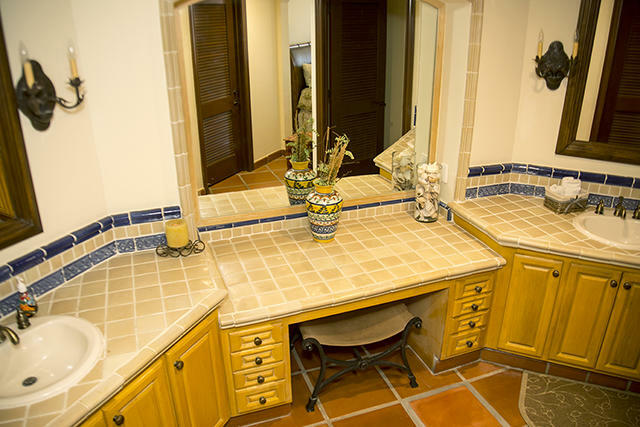 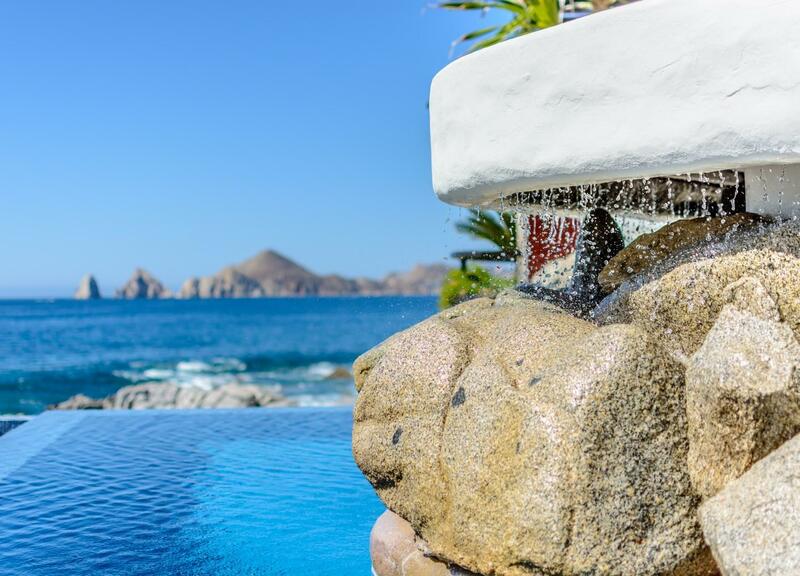 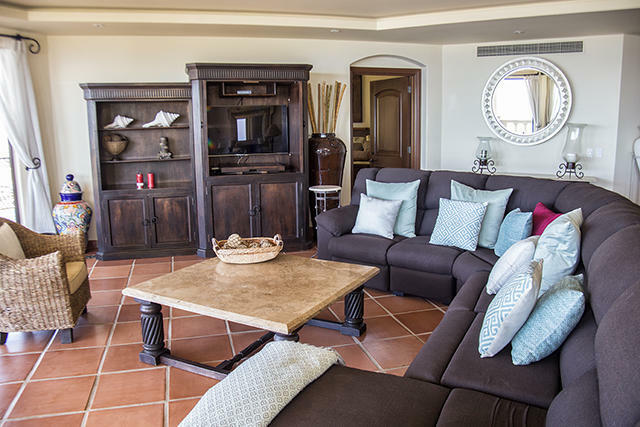 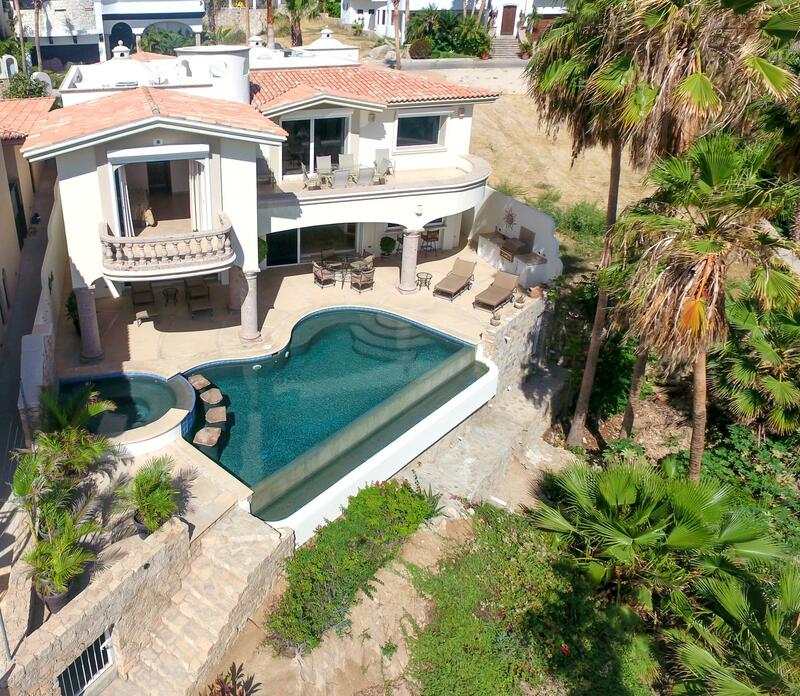 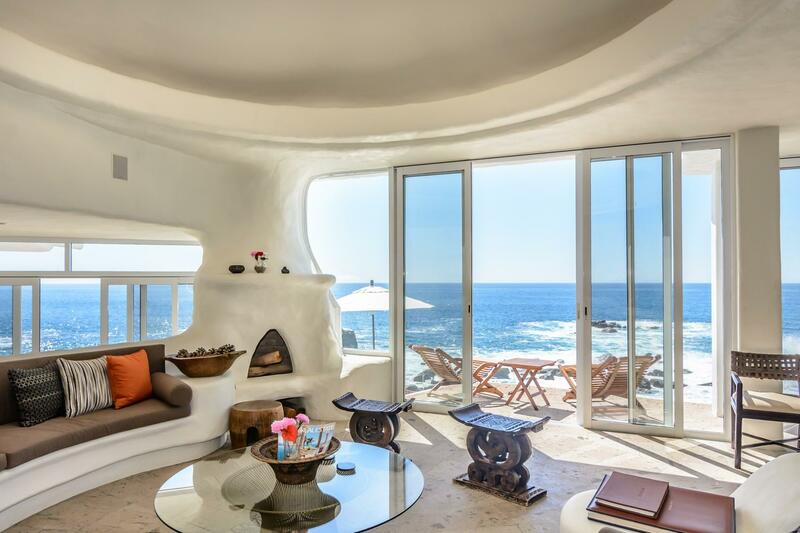 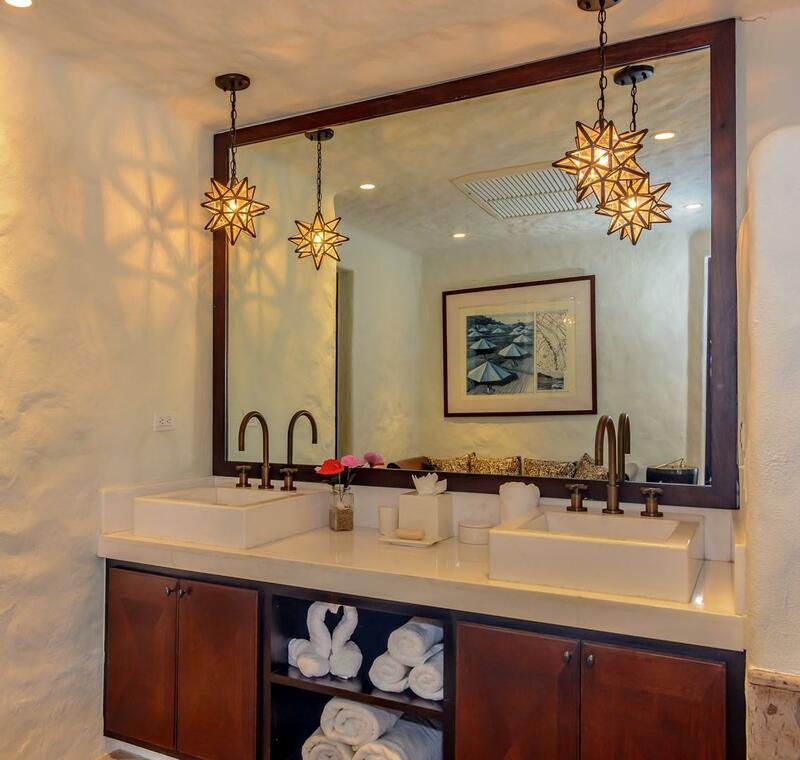 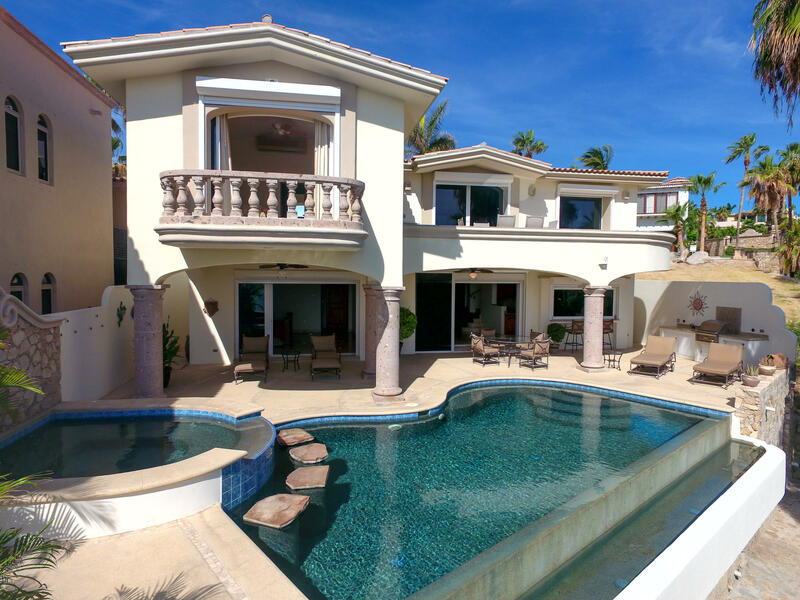 A statement residence unlike any other in Cabo. 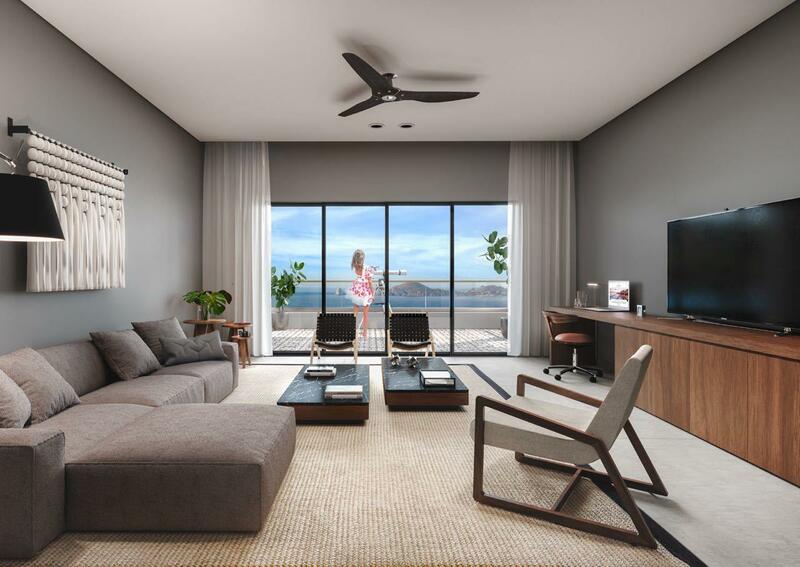 Description: Located on the tip of the Baja California Peninsula, The Cape Residences are a boutique collection of full-ownership luxury condominiums perched above the surf, with stunning views of the iconic Cabo San Lucas' Arch. 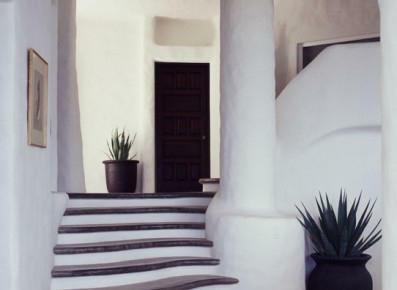 They re-deï¬ne the concept of contemporary Mexican luxury with an ensemble of clean, modern, and minimalistic designs. 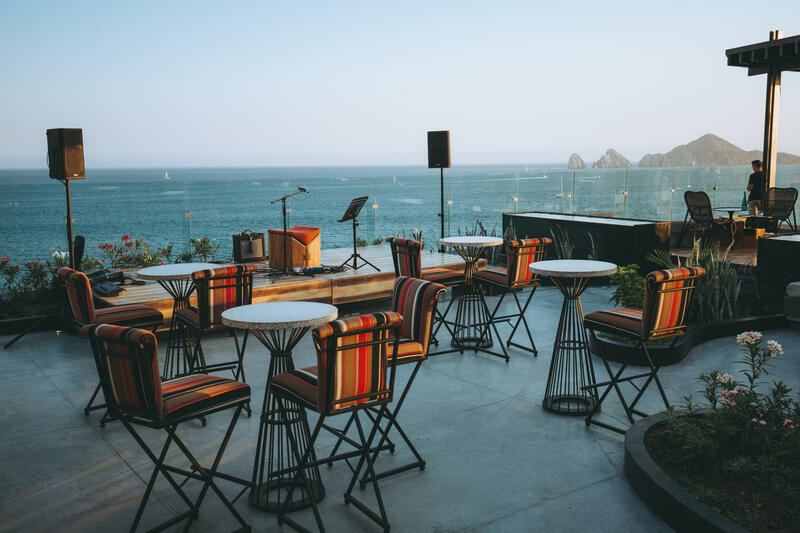 With a subtle nod to the beach blanket lifestyle the Baja enjoys year-round, you are bound to experience something quite amazing. 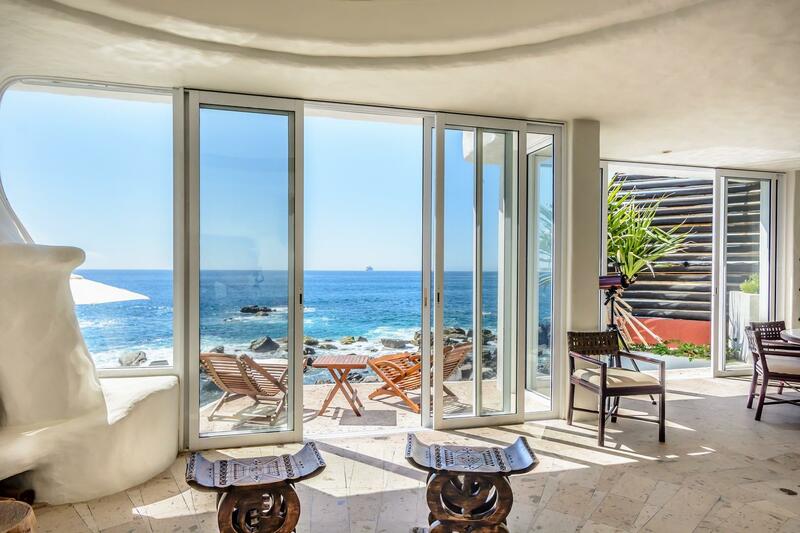 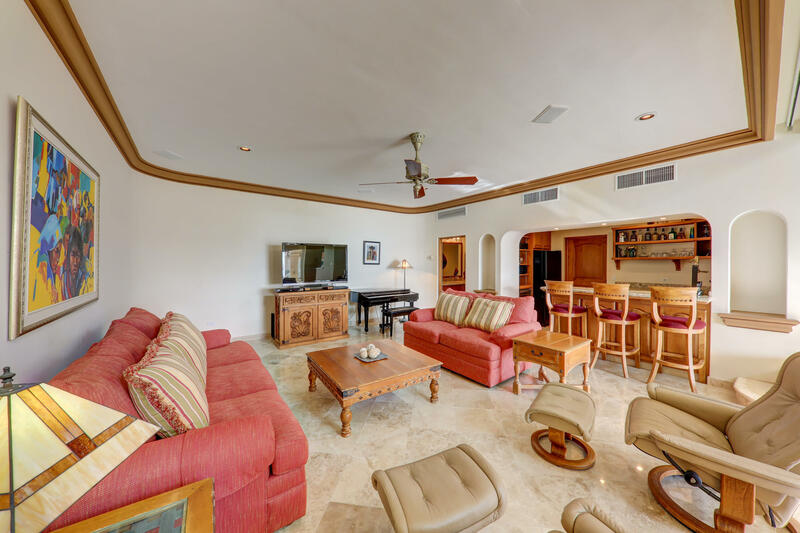 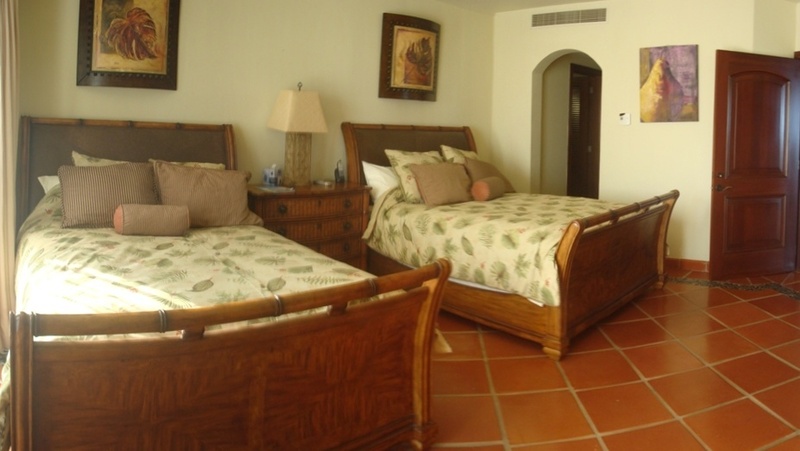 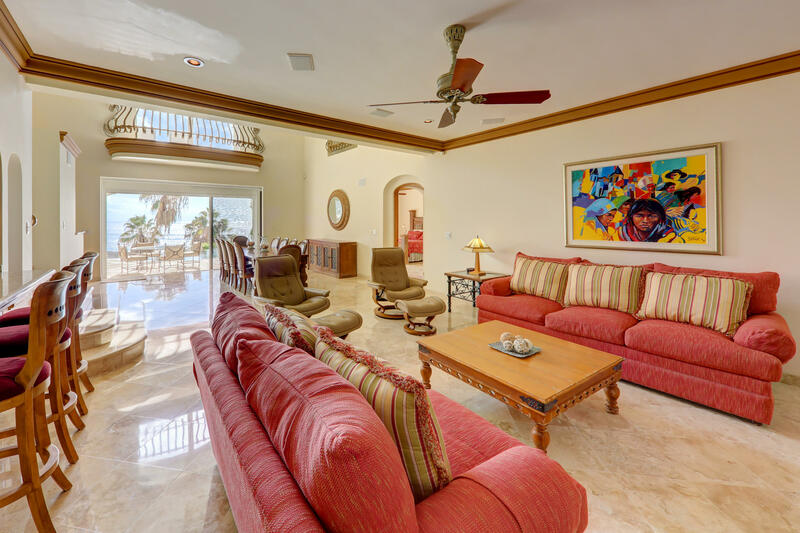 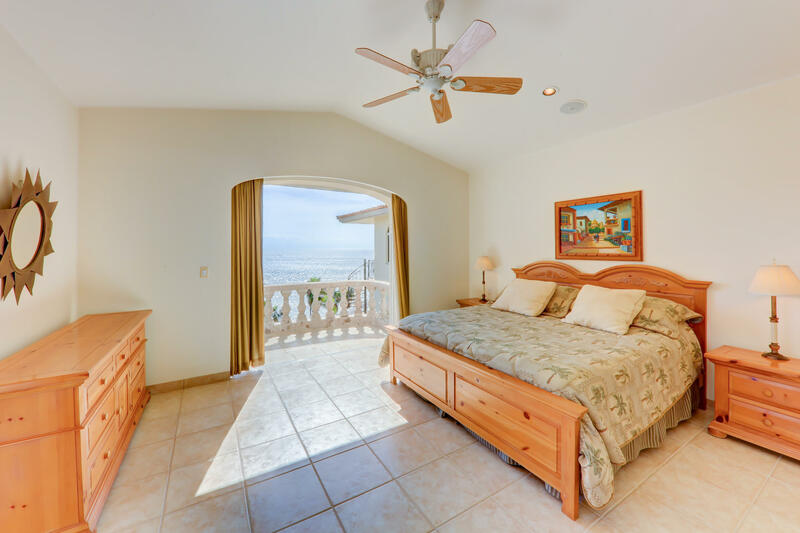 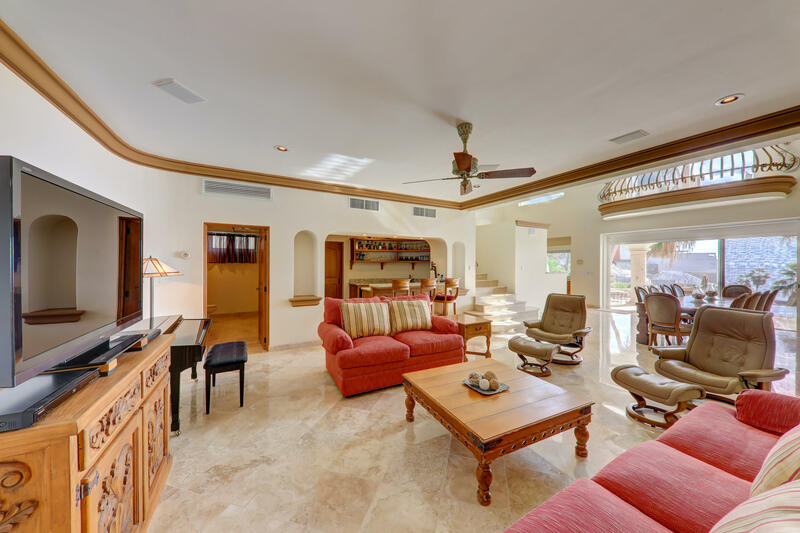 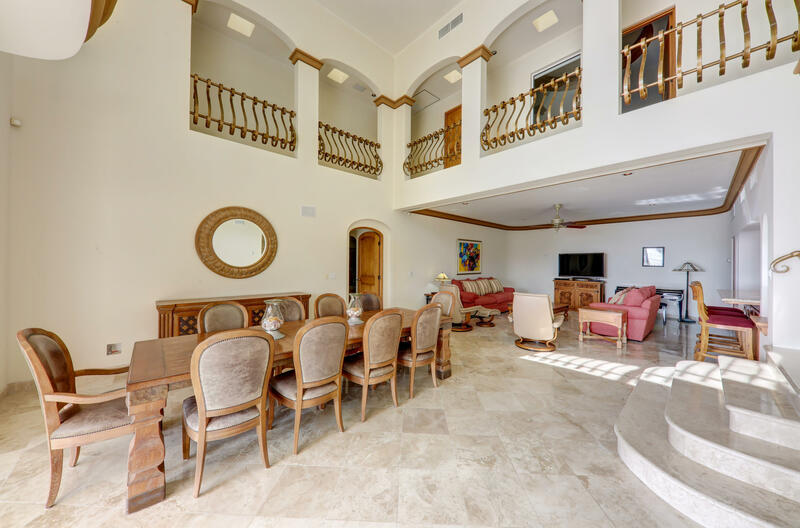 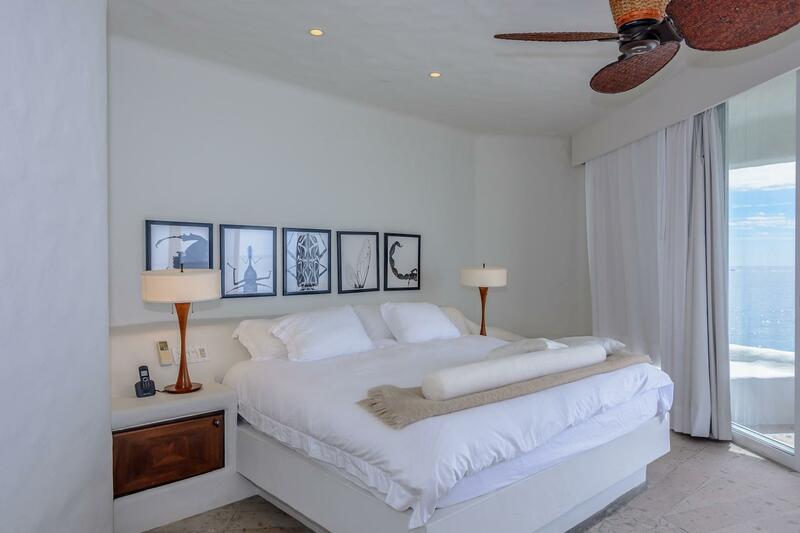 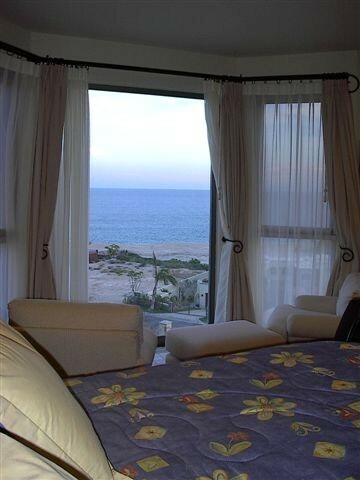 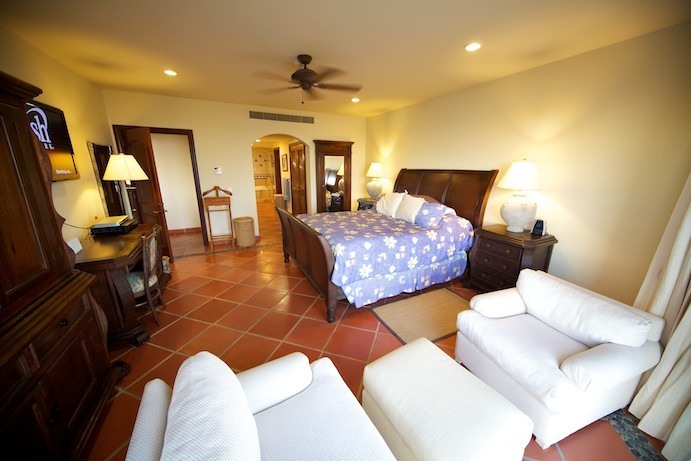 This three-bedroom residence offers an open floor concept with the comfort of double, ocean view, master suites. 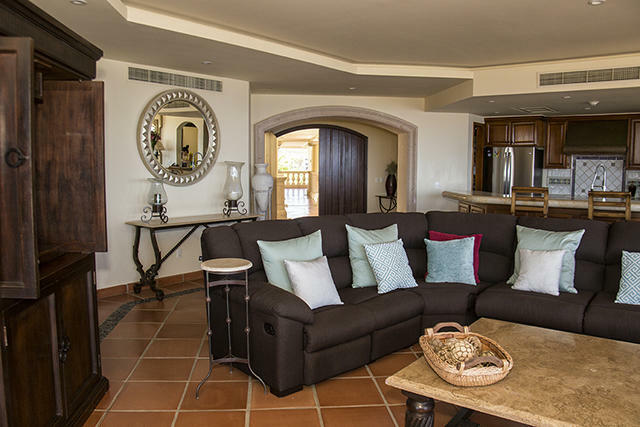 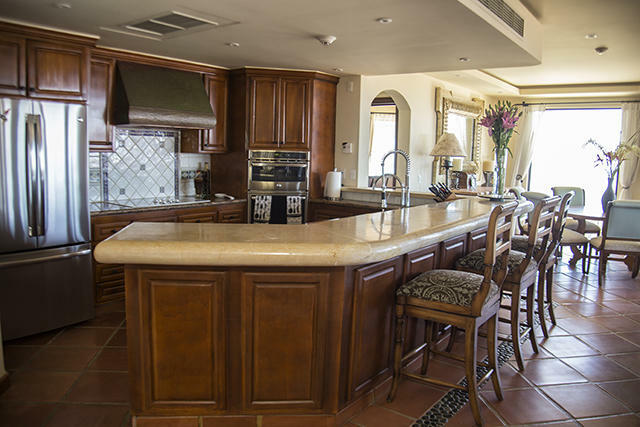 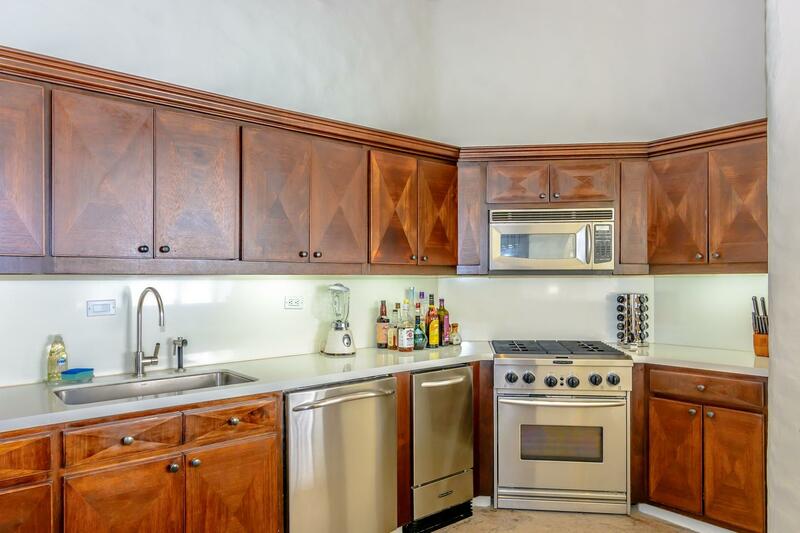 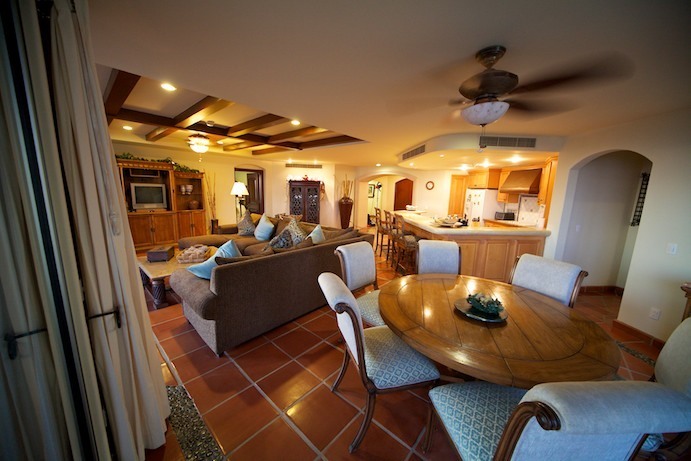 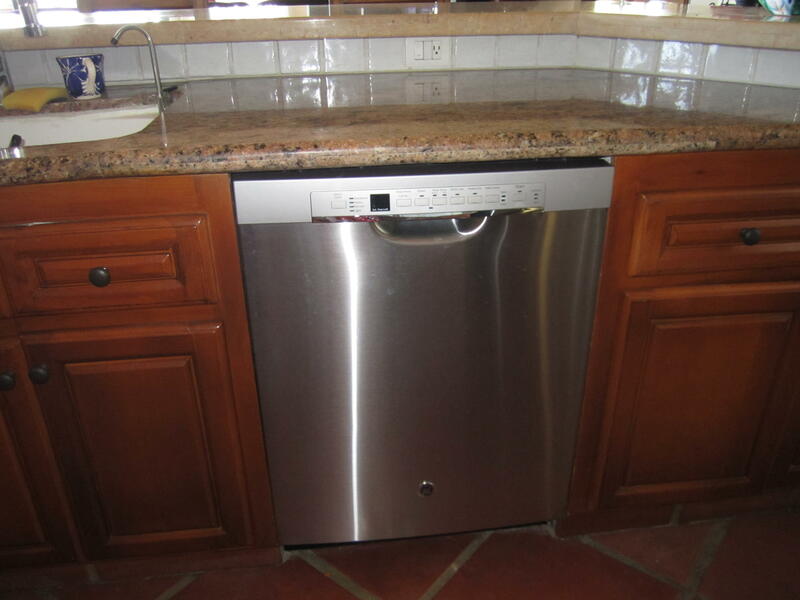 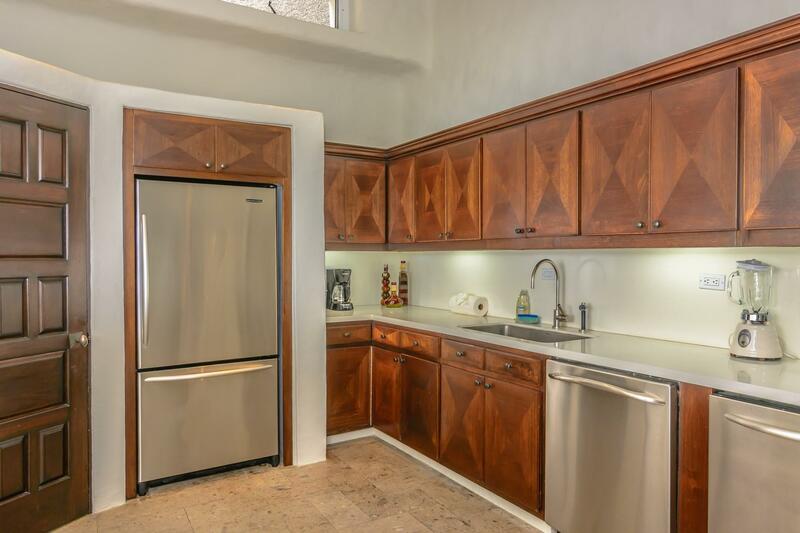 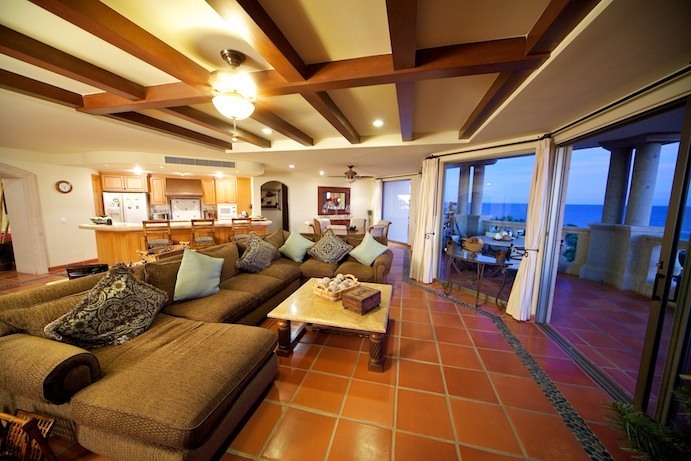 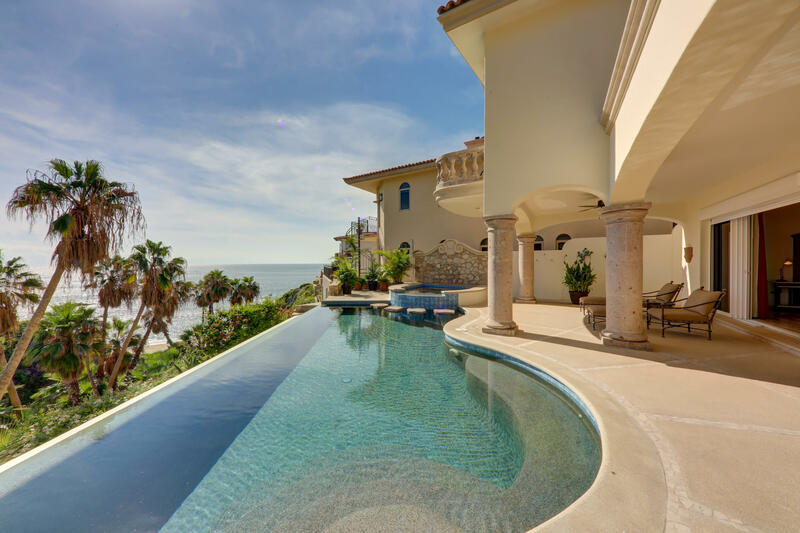 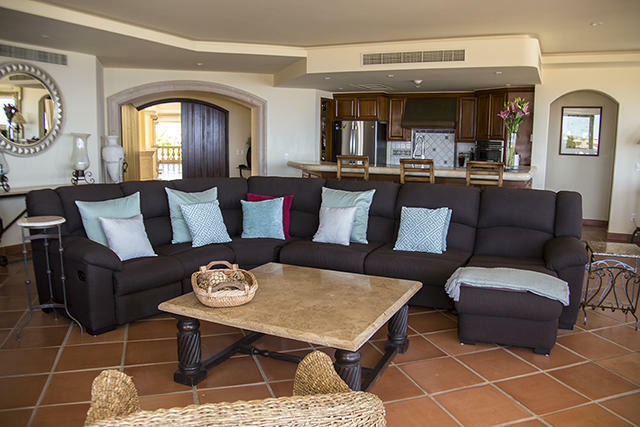 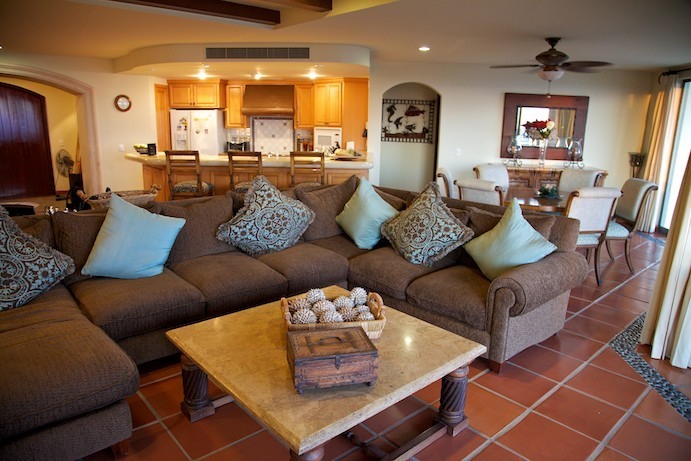 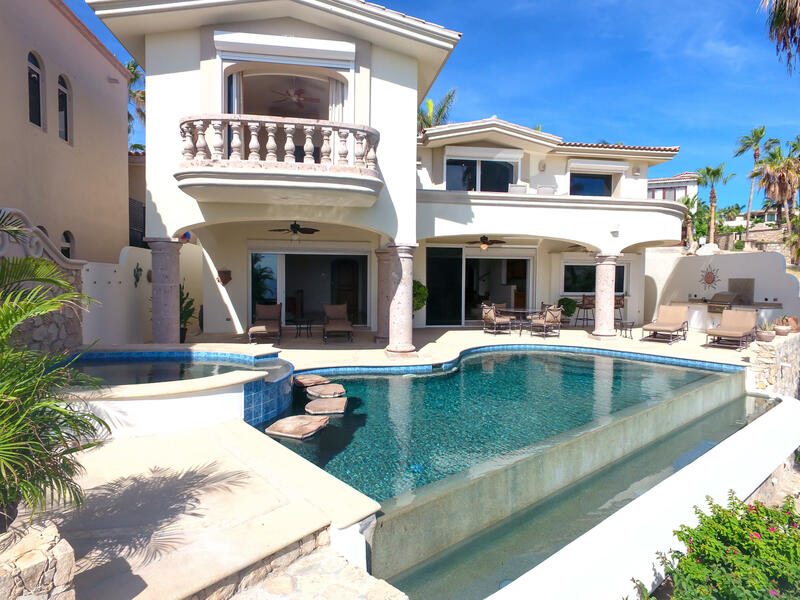 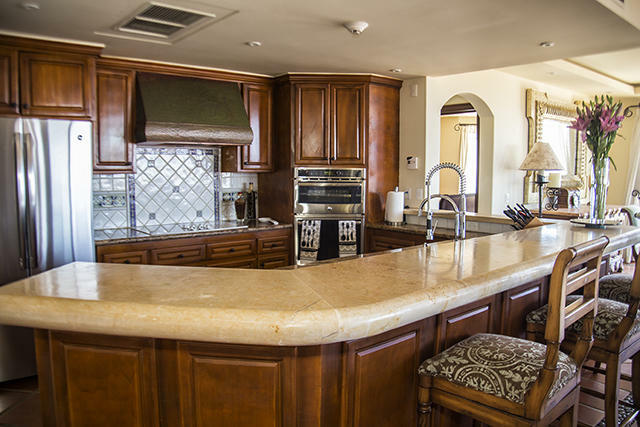 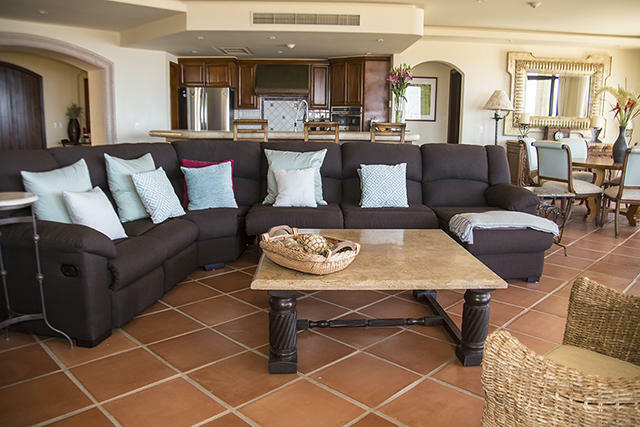 The kitchen expands through the living room and out onto an expansive terrace which seems to extend into the Sea of Cortez - boasting the best view in Los Cabos, straight through El Arco. 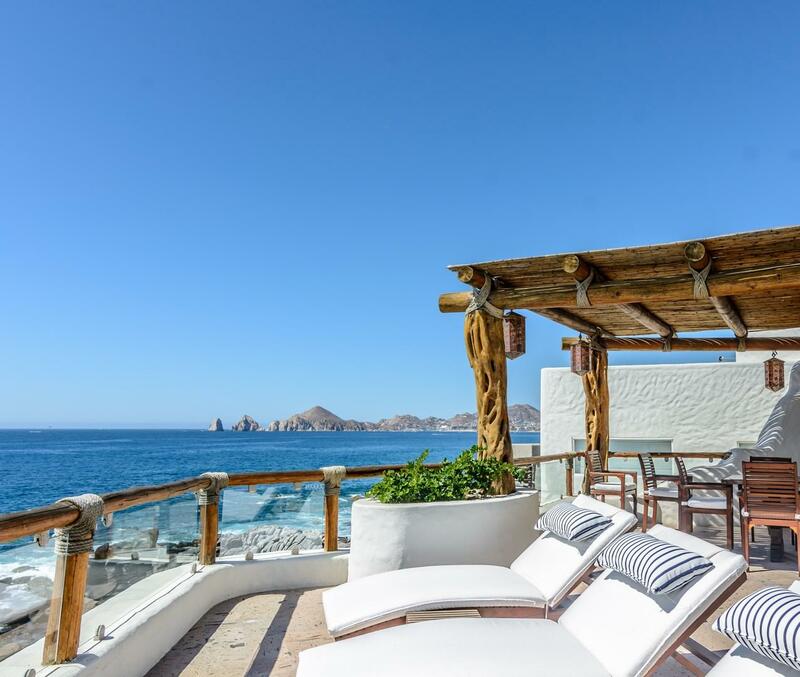 Description: Located on the tip of the Baja California Peninsula, The Cape Residences are a boutique collection of full-ownership luxury condominiums perched above the surf, with stunning views of the iconic Cabo San Lucas' Arch. 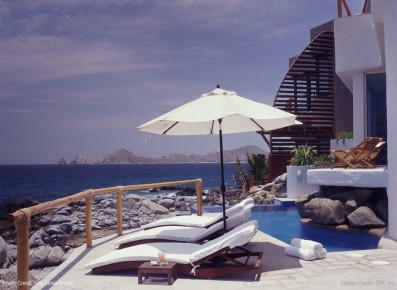 They re-deï¬ne the concept of contemporary Mexican luxury with an ensemble of clean, modern, and minimalistic designs. 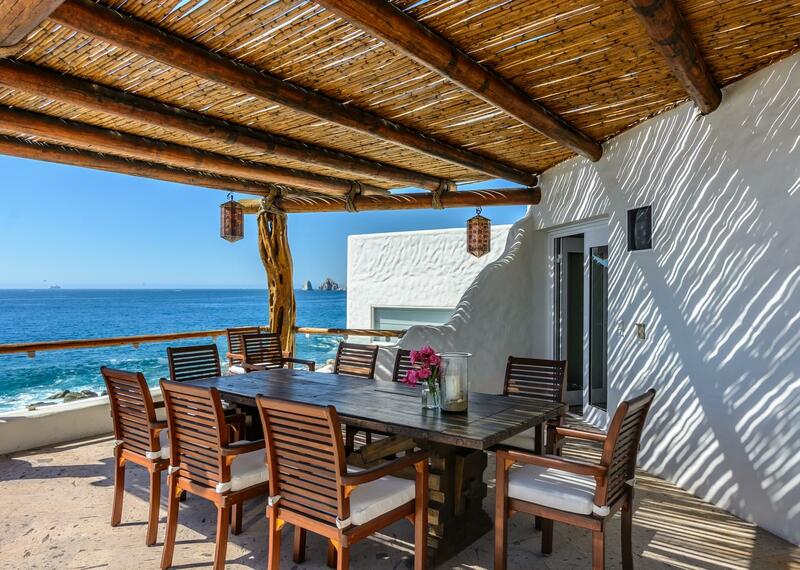 With a subtle nod to the beach blanket lifestyle the Baja enjoys year-round, you are bound to experience something quite amazing. 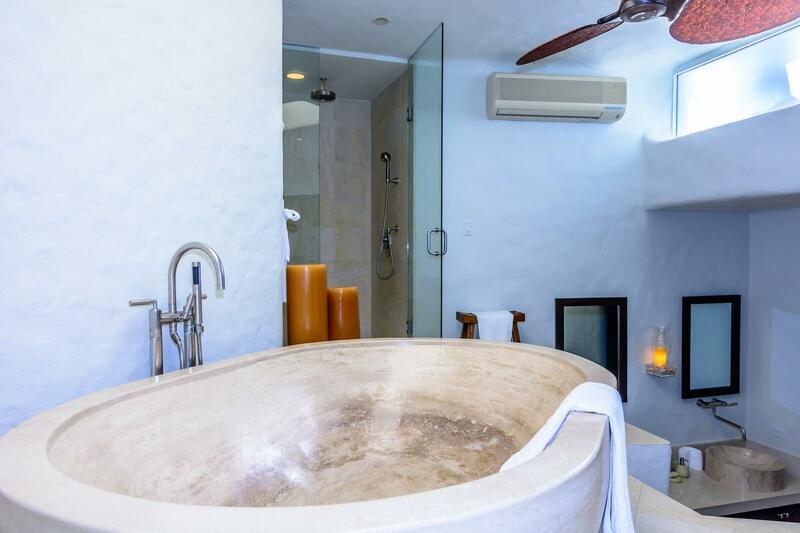 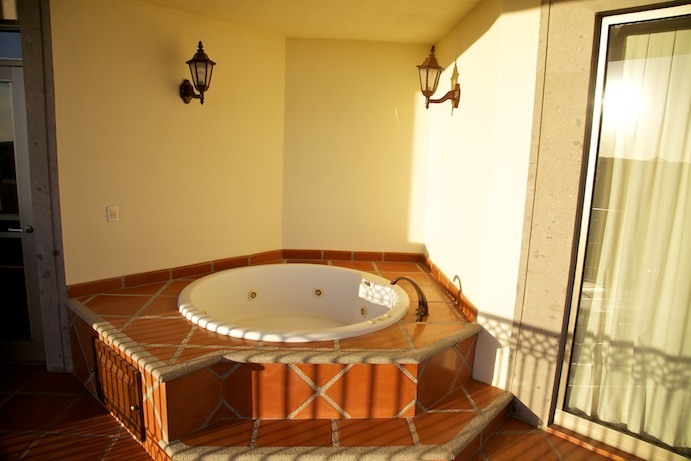 This two-bedroom penthouse sits upon the rooftop replete with private plunge pool. 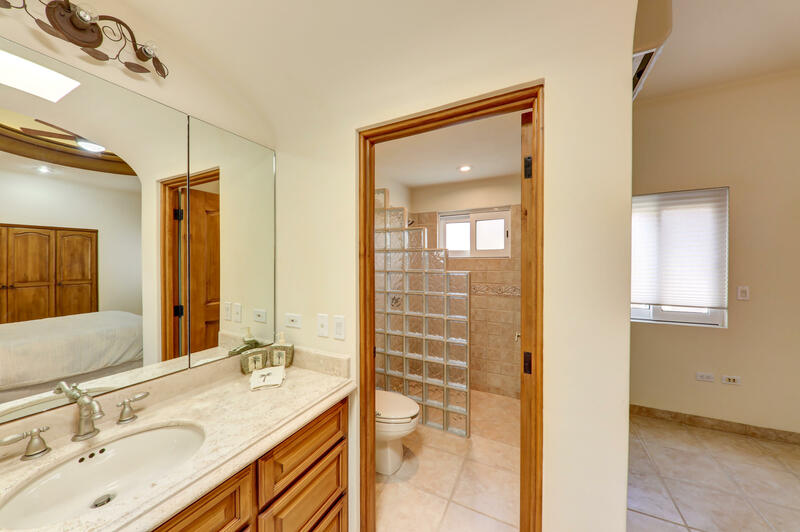 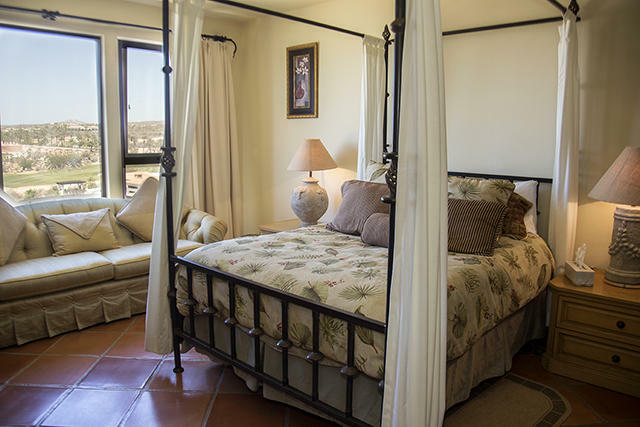 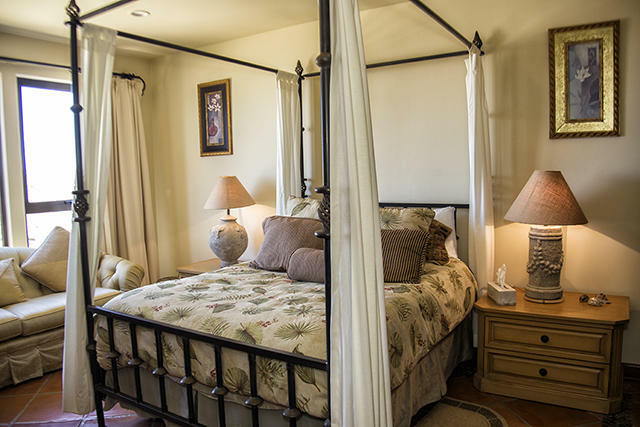 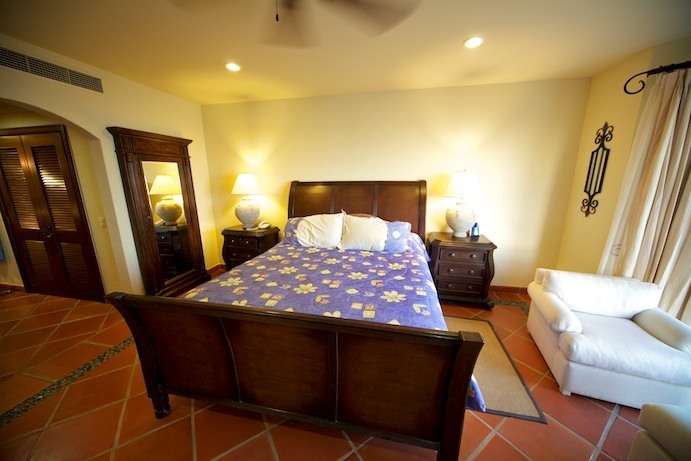 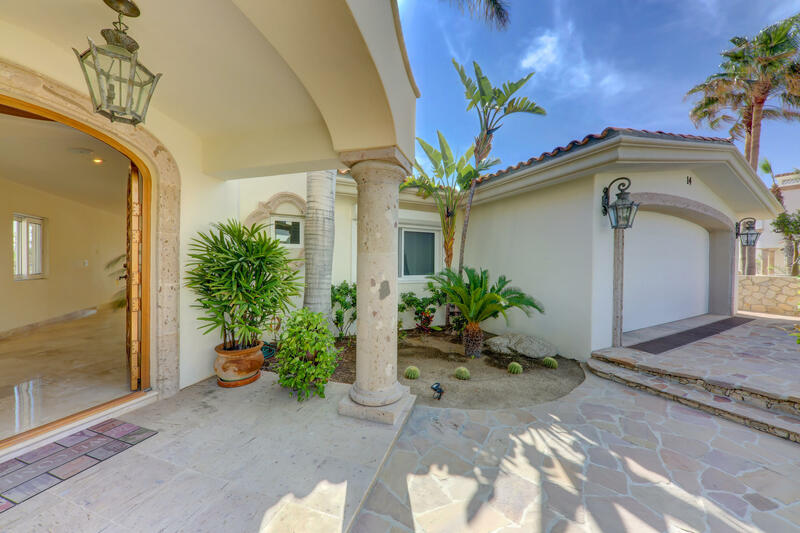 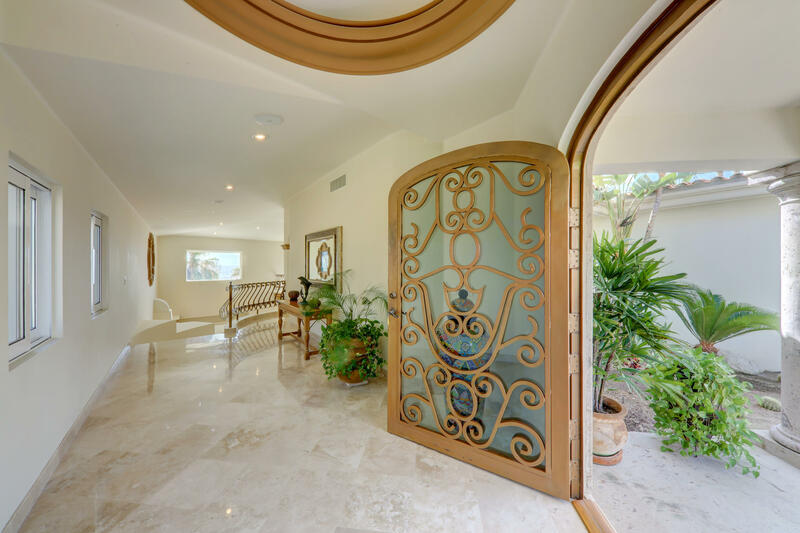 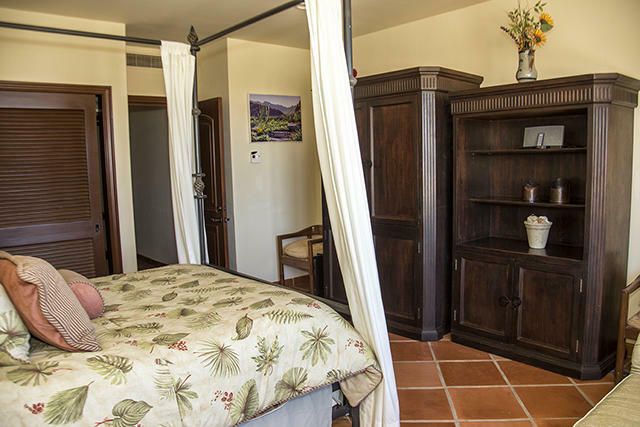 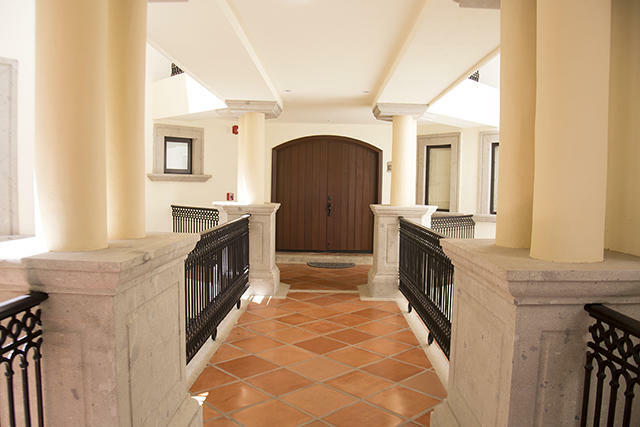 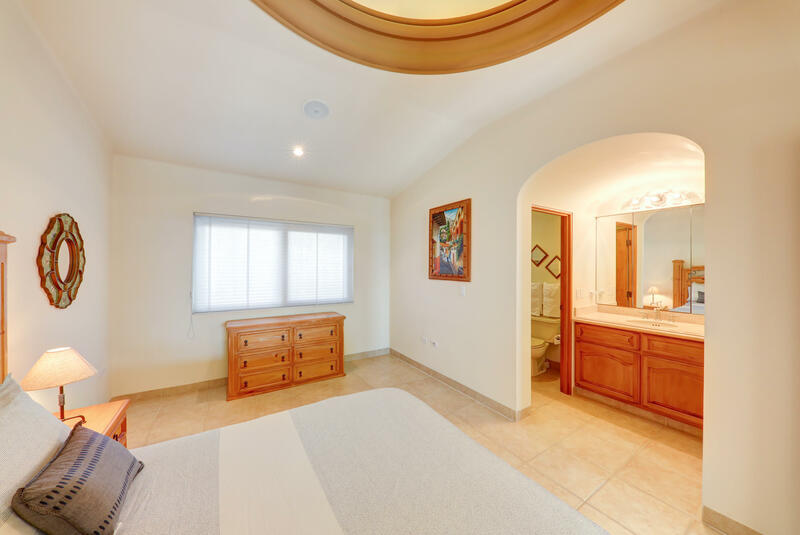 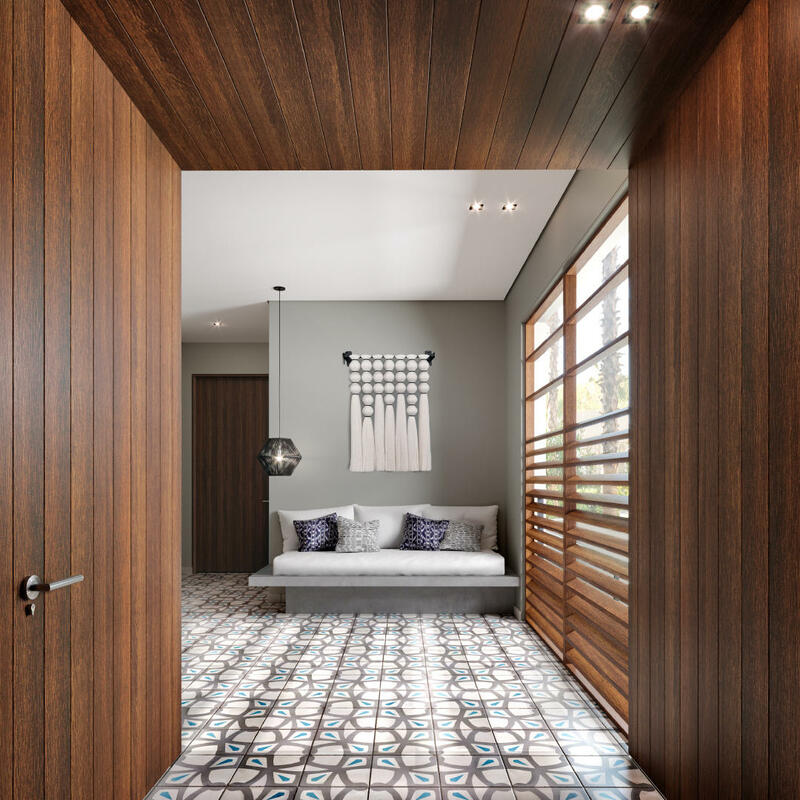 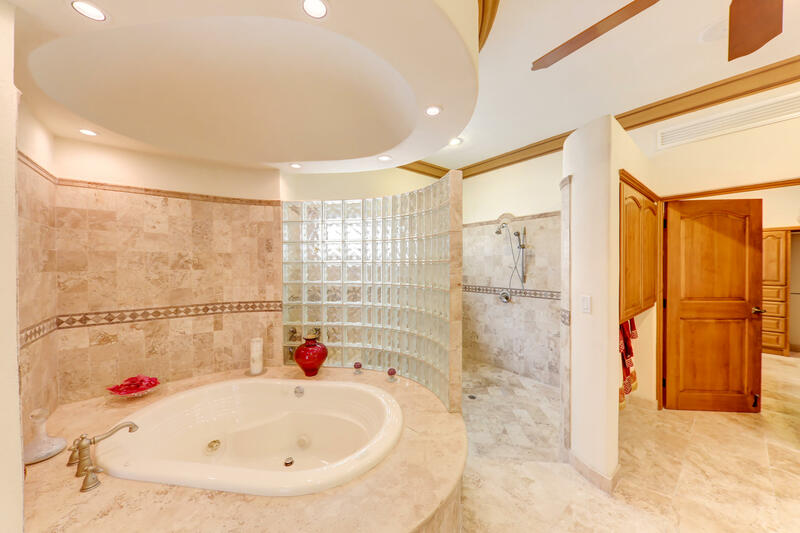 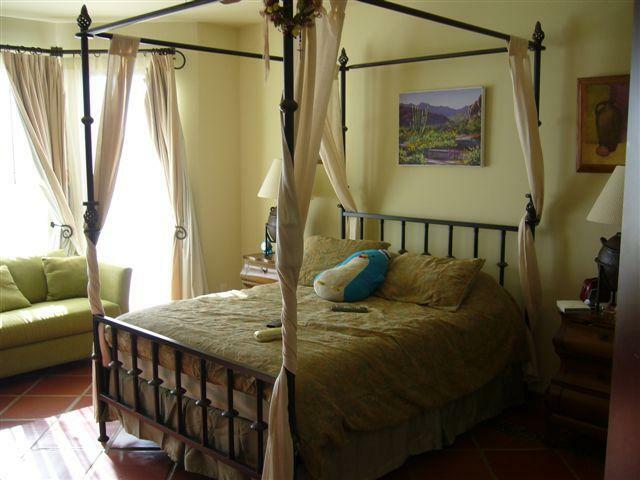 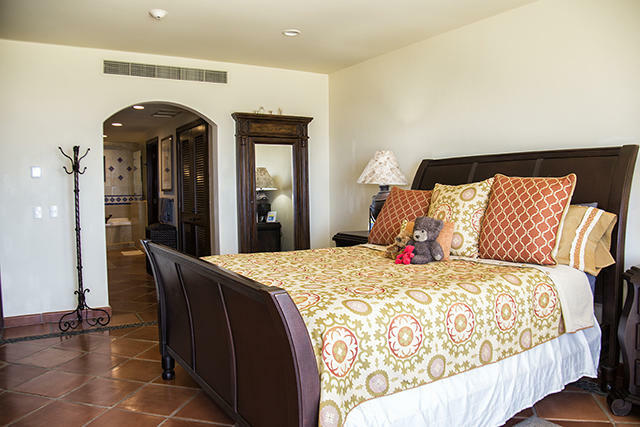 Both bedrooms are accessed through the front doors with mesmerizing Arch views upon entry. 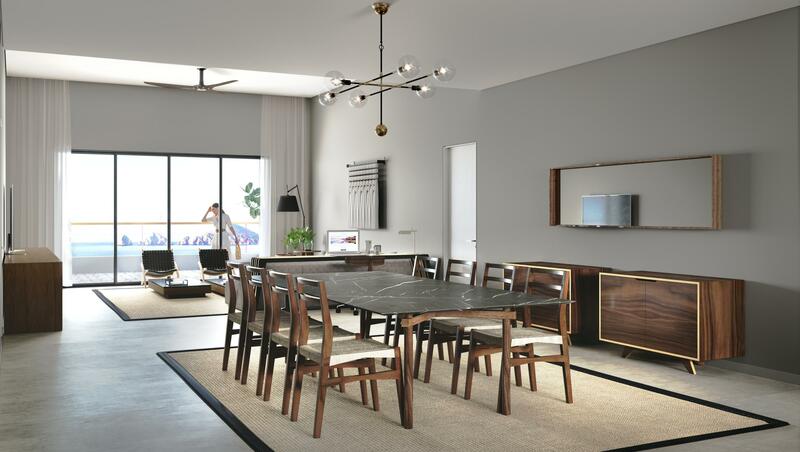 Homeowners enjoy full access to all amenities at The Cape, a Thompson Hotel. 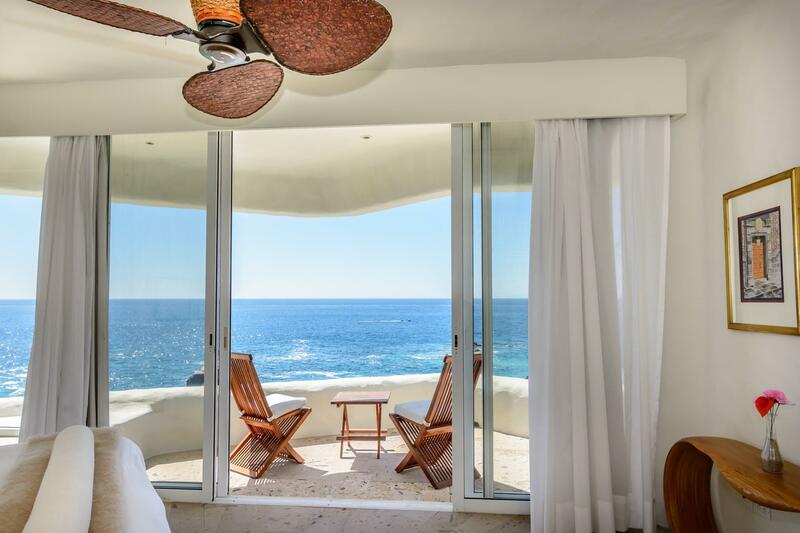 Description: Located on the tip of the Baja California Peninsula, The Cape Residences are a boutique collection of full-ownership luxury condominiums perched above the surf, with stunning views of the iconic Cabo San Lucas' Arch. 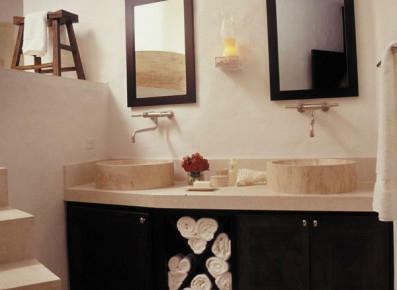 They re-deï¬ne the concept of contemporary Mexican luxury with an ensemble of clean, modern, and minimalistic designs. 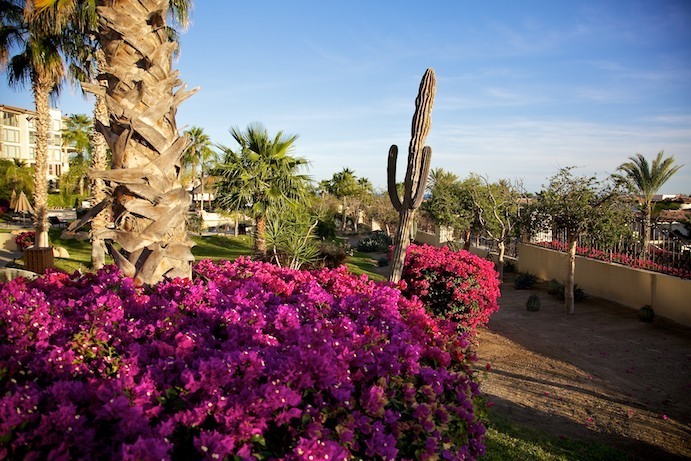 With a subtle nod to the beach blanket lifestyle the Baja enjoys year-round, you are bound to experience something quite amazing. 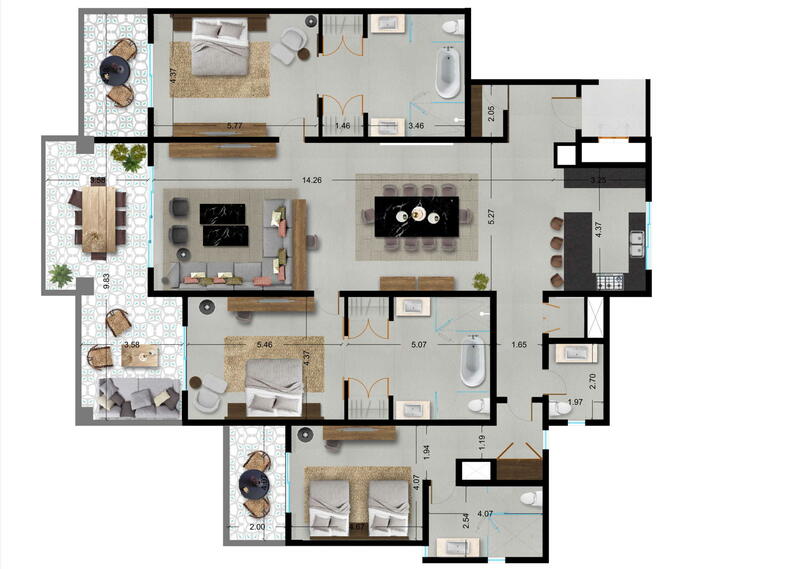 This two-bedroom residence offers an open floor concept with the comfort of the second bedroom as a lock-off. 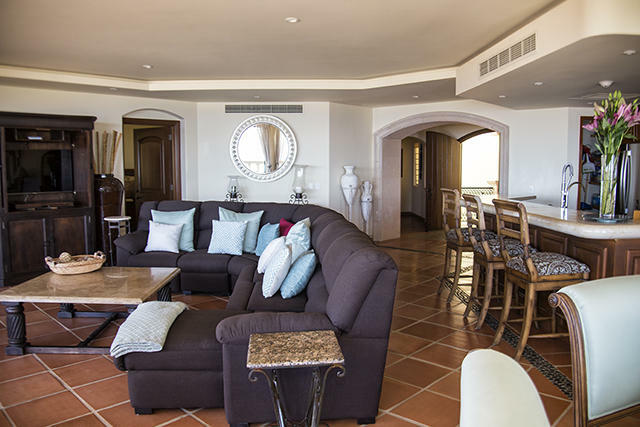 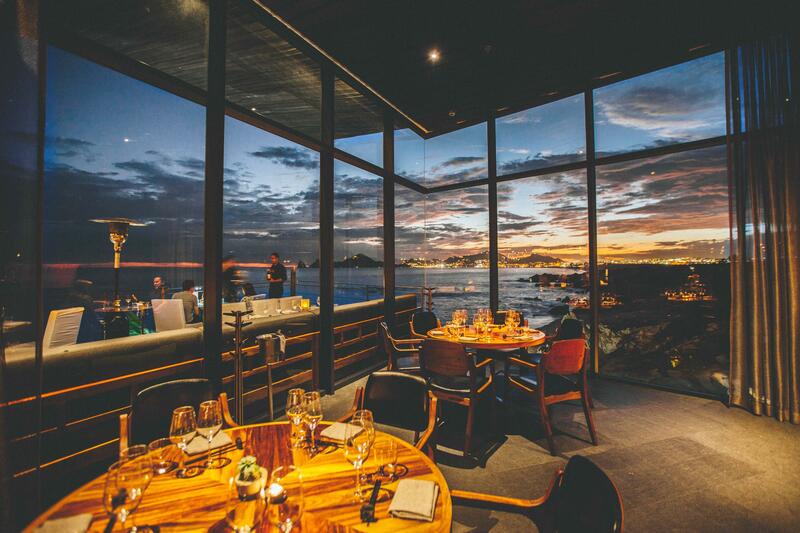 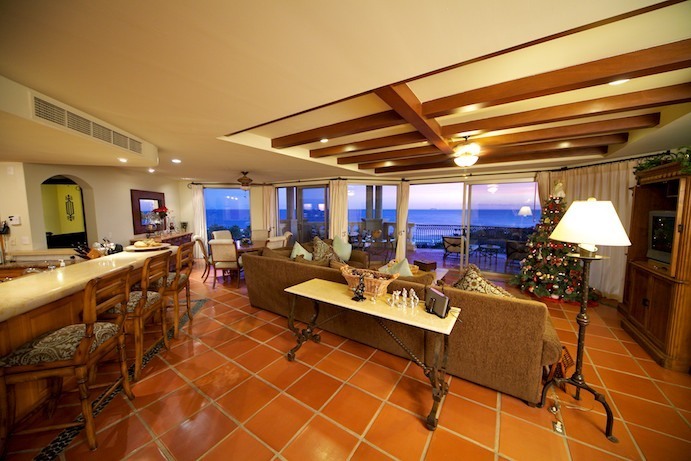 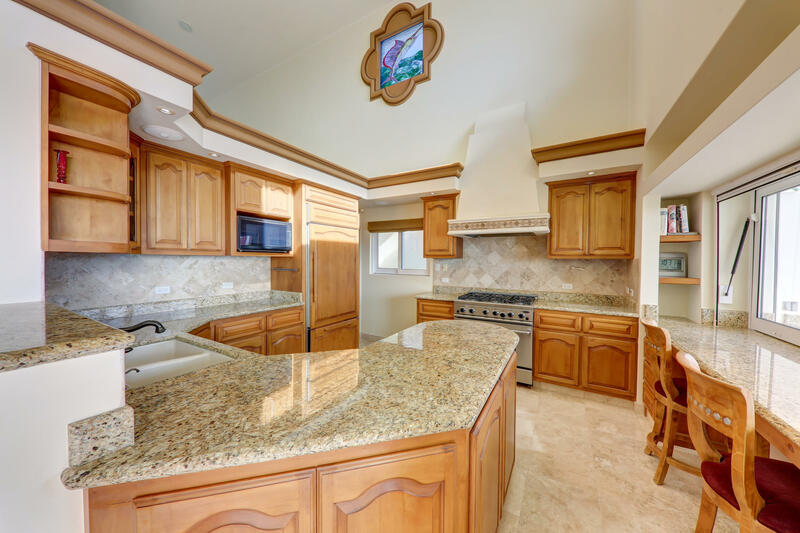 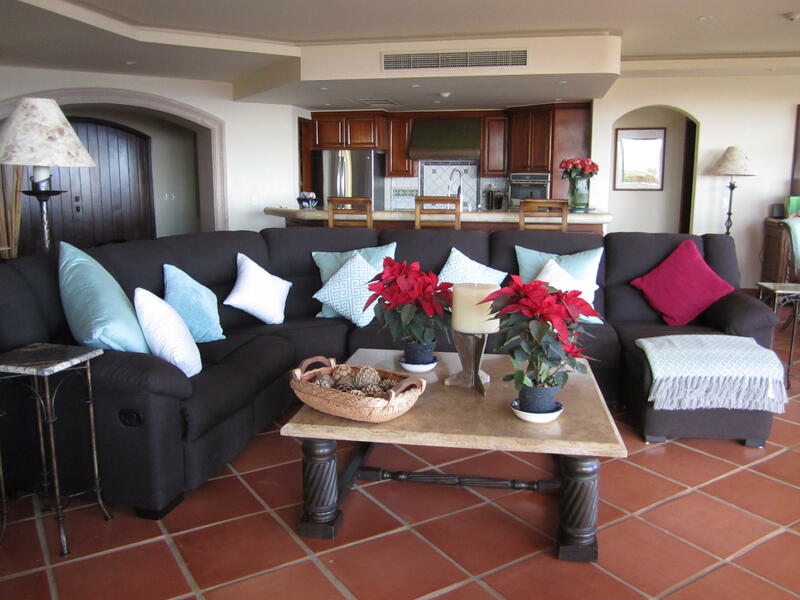 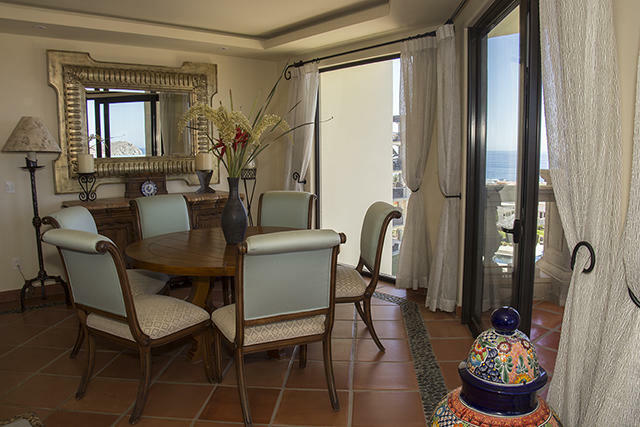 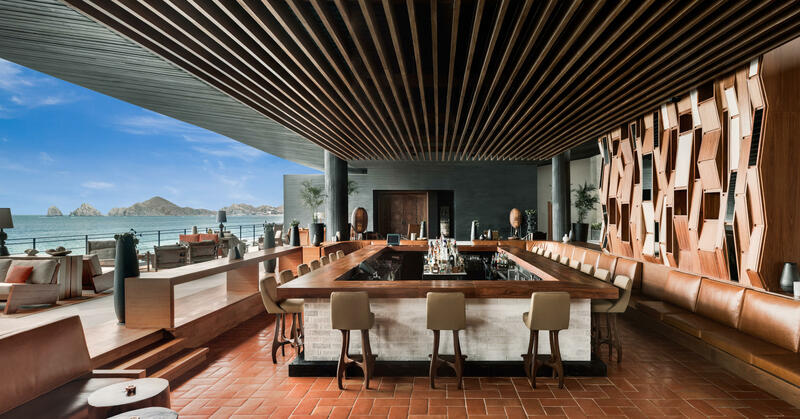 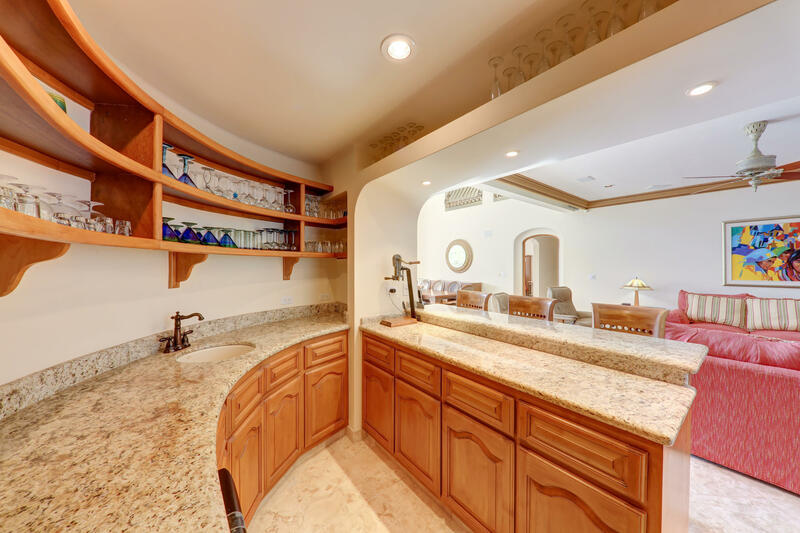 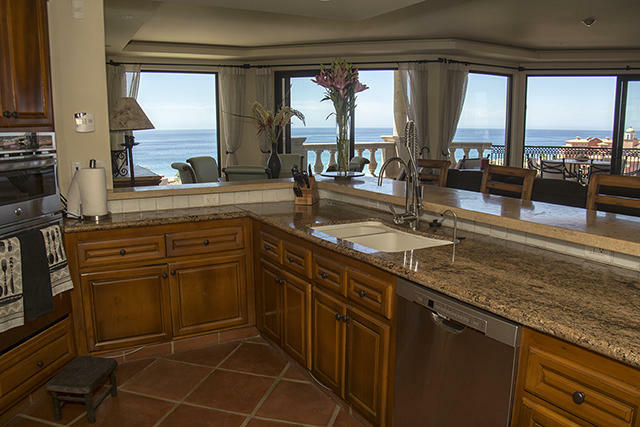 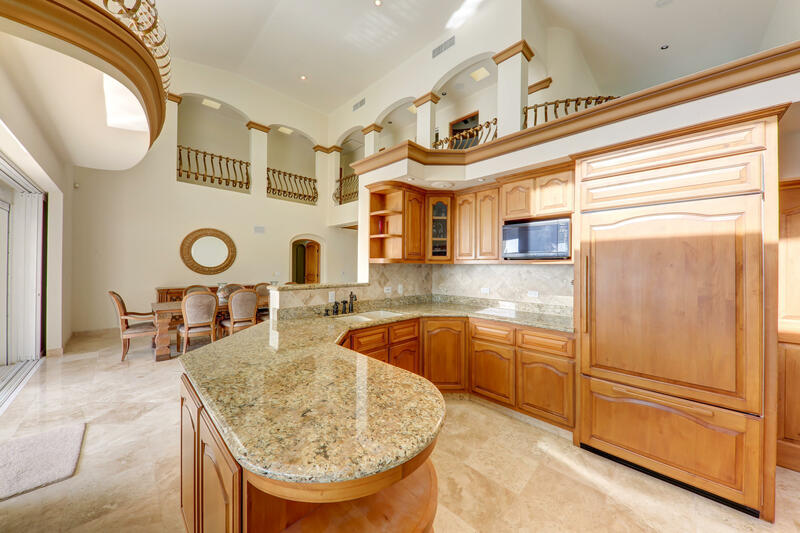 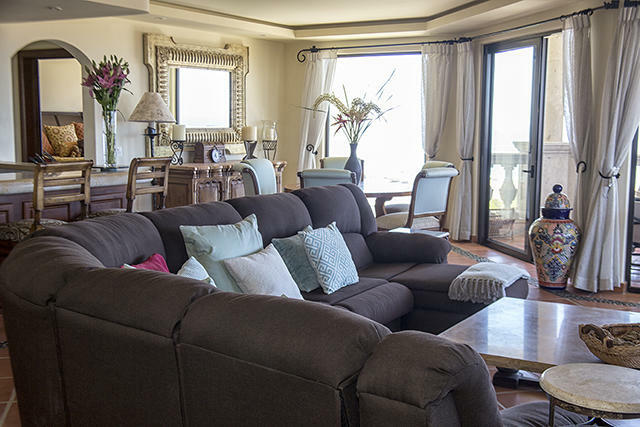 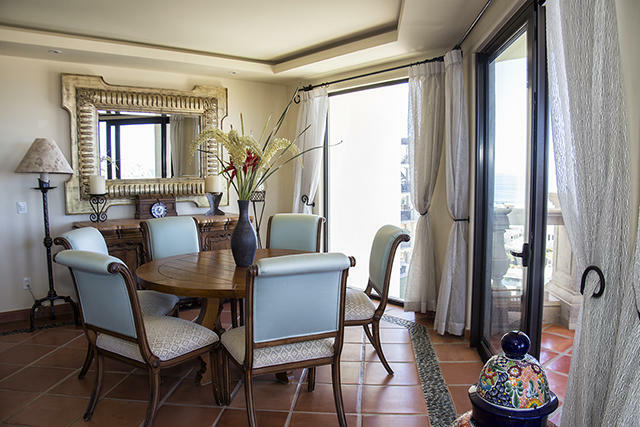 The kitchen expands through the living room and out onto the terrace which seems to extend into the Sea of Cortez - boasting the best view in Los Cabos, straight through El Arco. 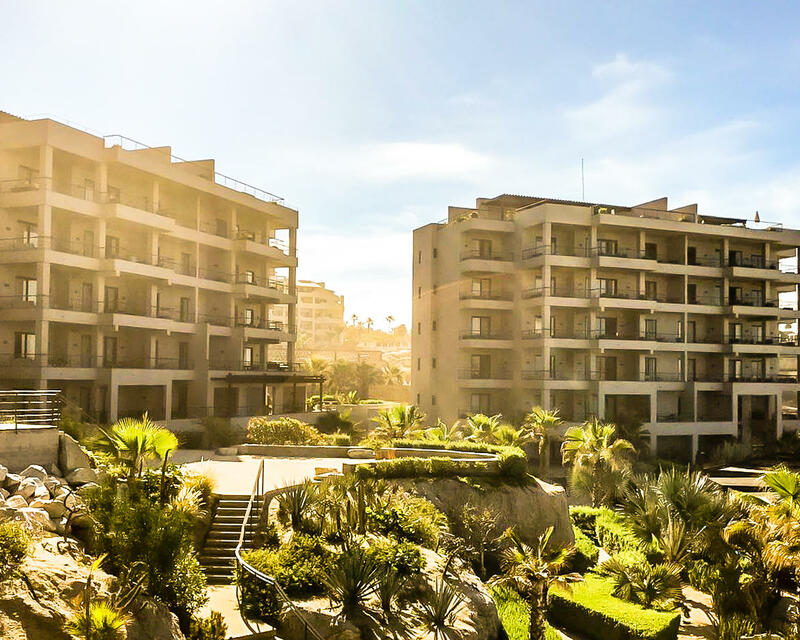 Description: Located on the tip of the Baja California Peninsula, The Cape Residences are a boutique collection of full-ownership luxury condominiums perched above the surf, with stunning views of the iconic Cabo San Lucas' Arch. 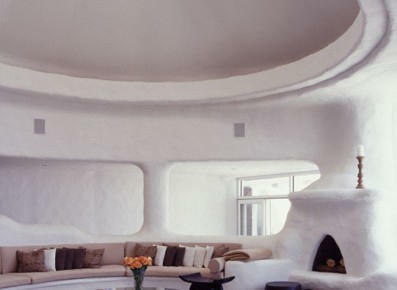 They re-deï¬ne the concept of contemporary Mexican luxury with an ensemble of clean, modern, and minimalistic designs. 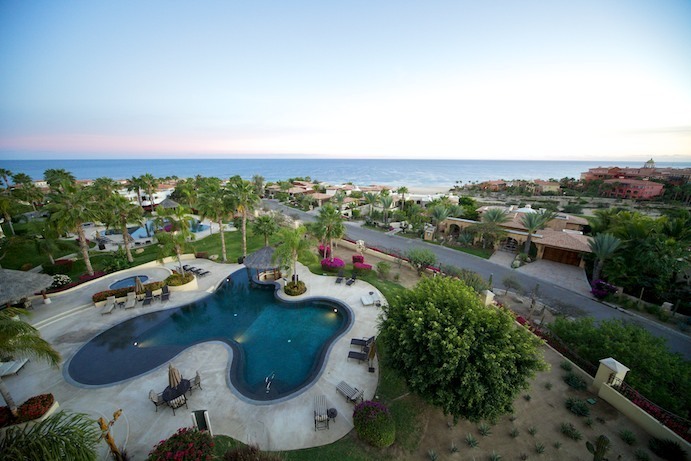 With a subtle nod to the beach blanket lifestyle the Baja enjoys year-round, you are bound to experience something quite amazing. 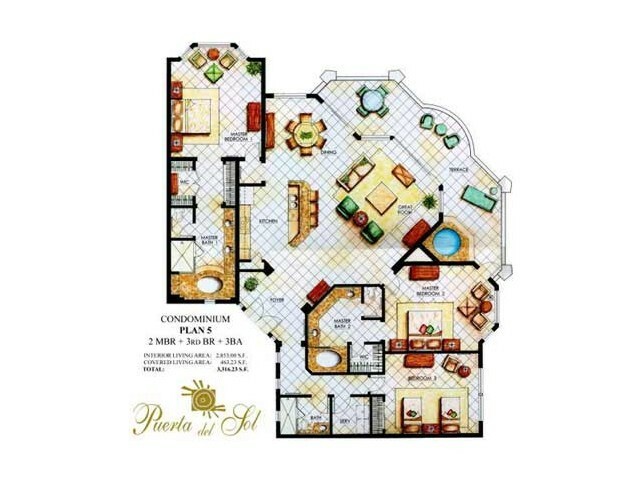 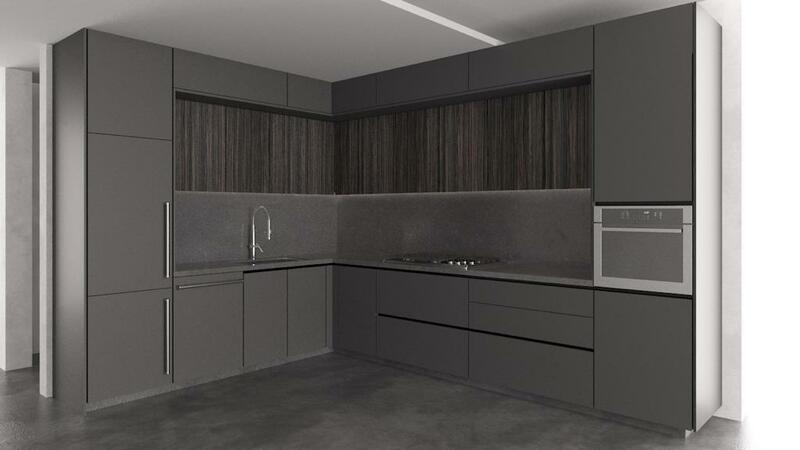 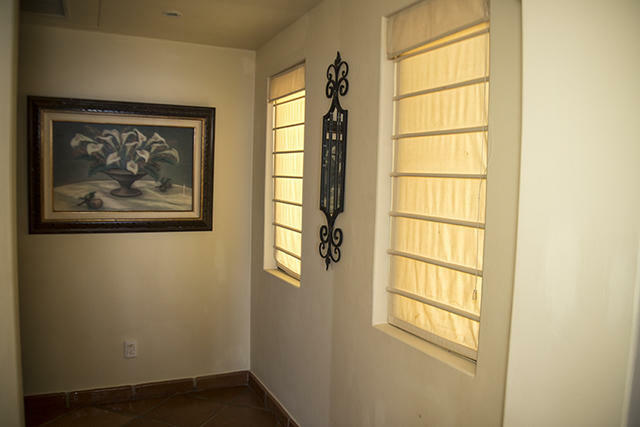 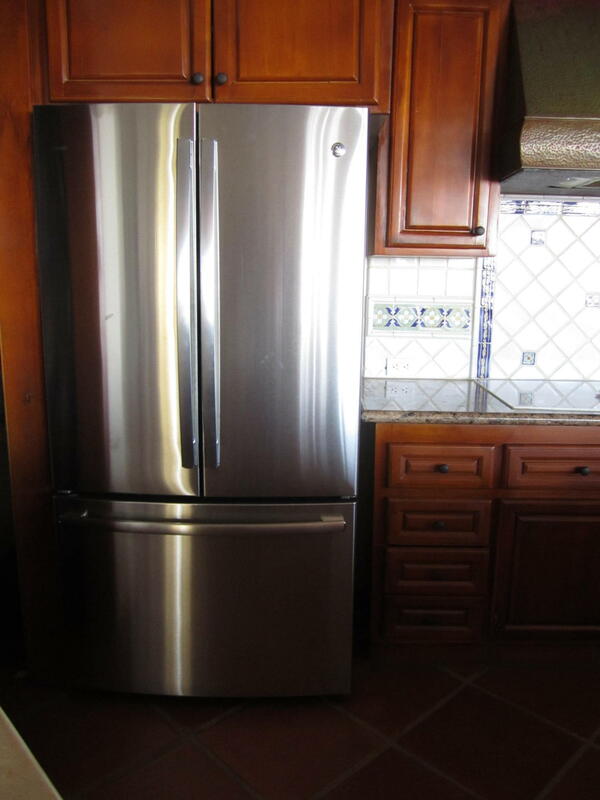 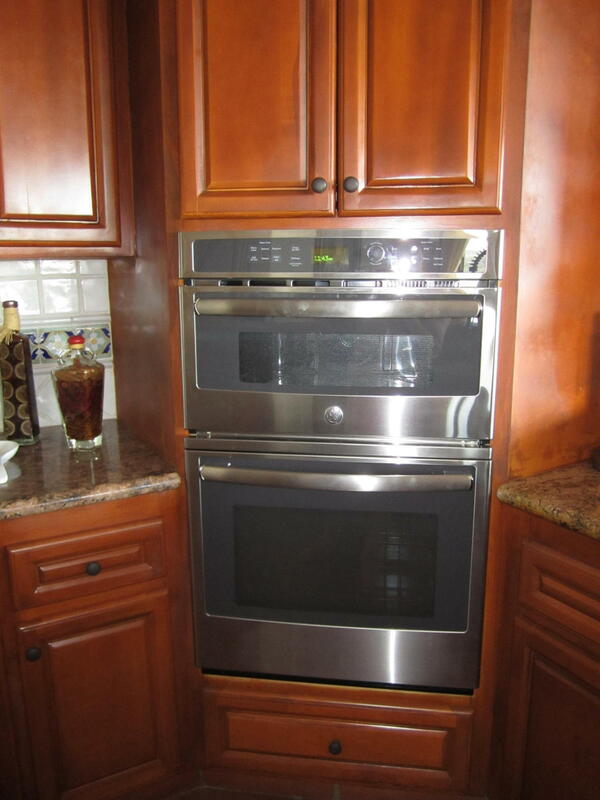 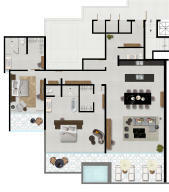 This two-bedroom residence offers an open floor concept with the comfort of the second bedroom as a detached lock-off. 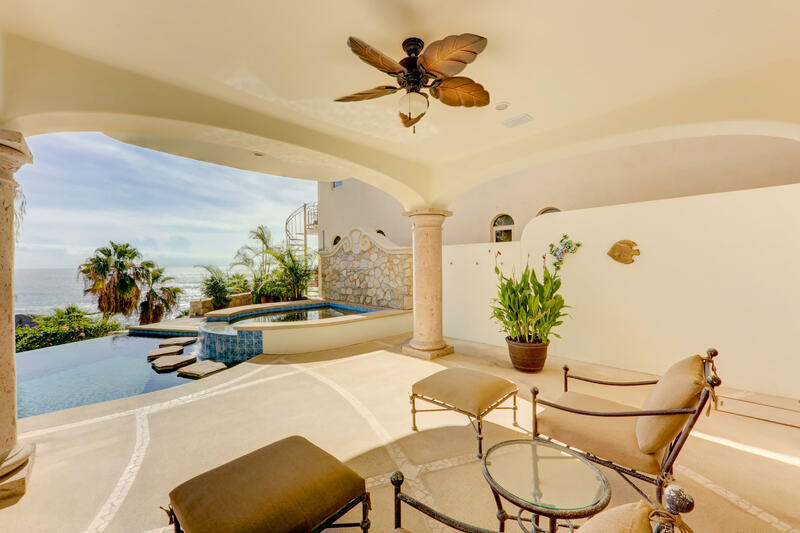 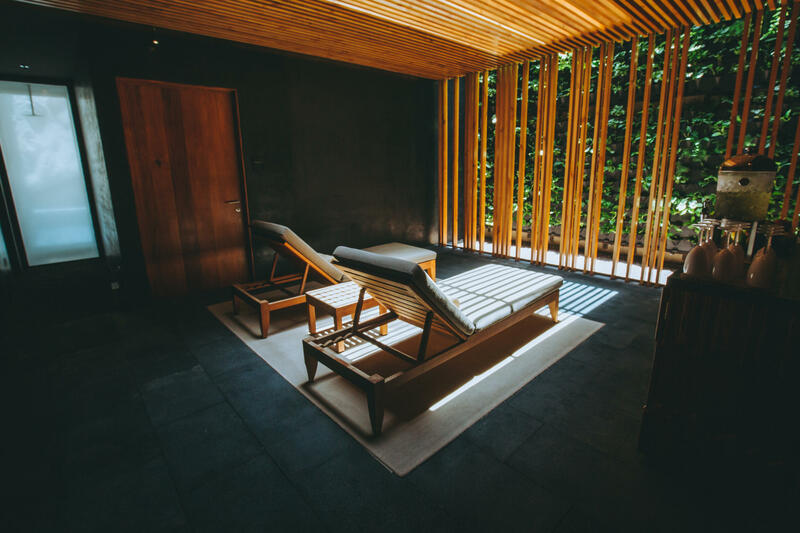 The kitchen expands through the living room and out onto the lush terrace and private plunge pool. 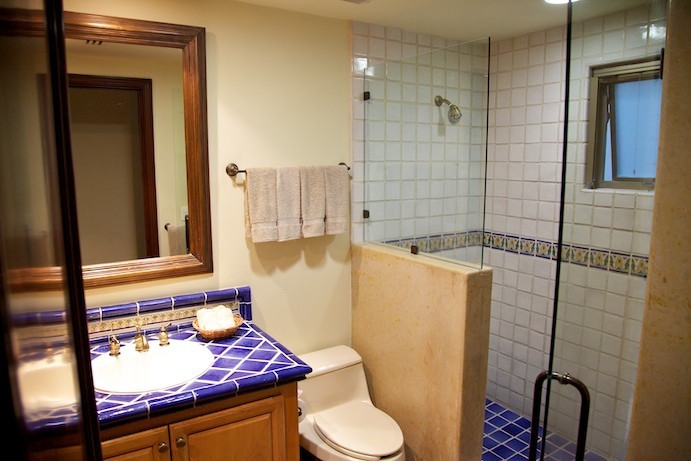 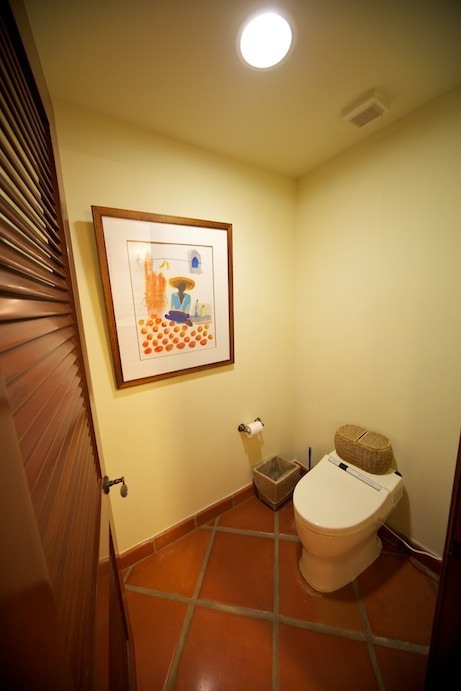 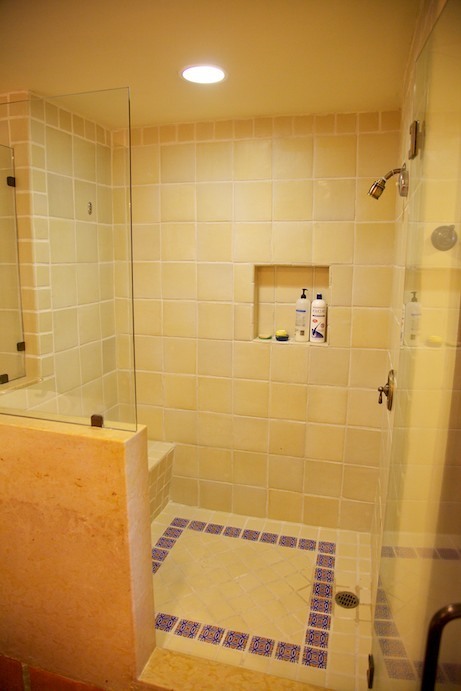 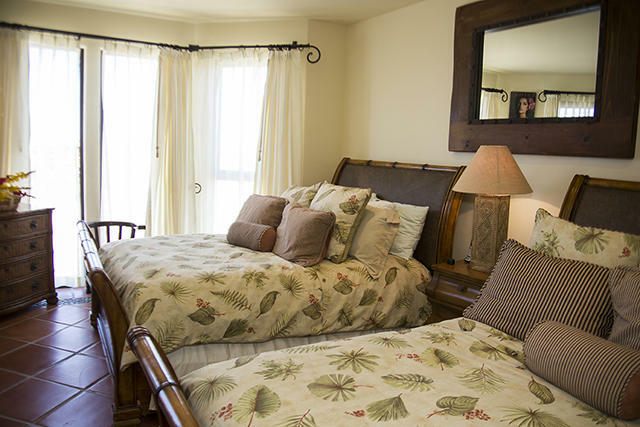 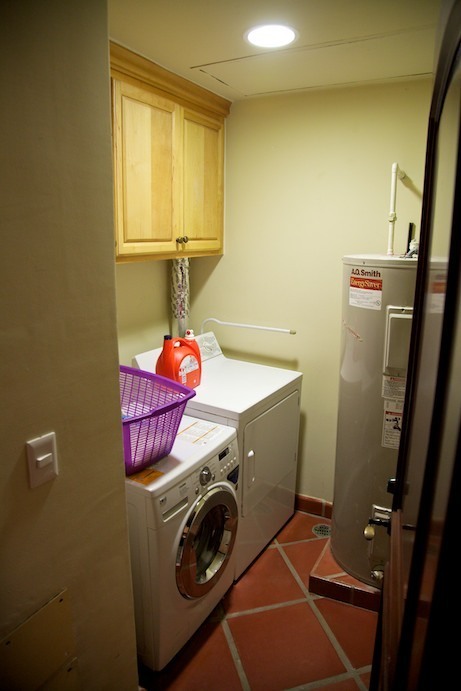 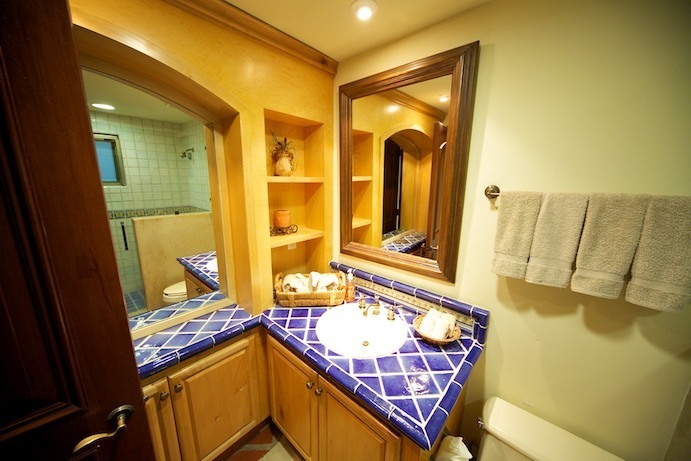 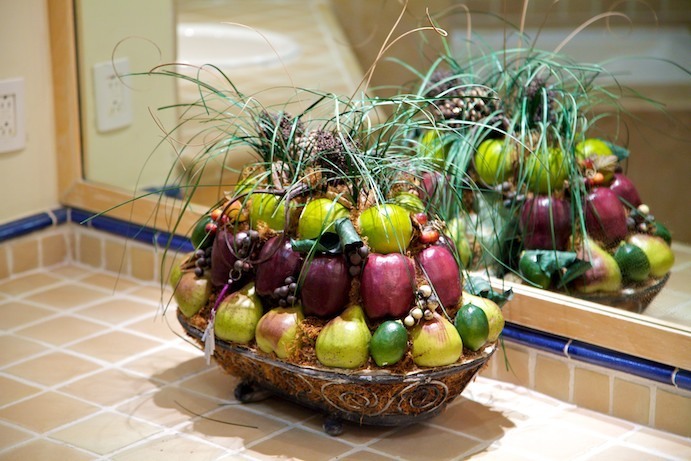 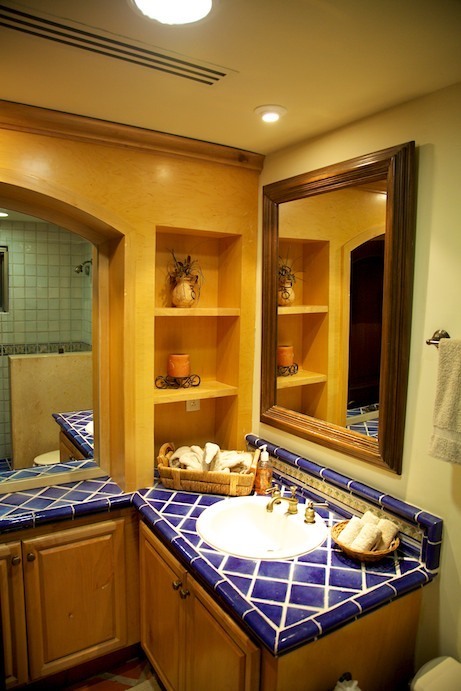 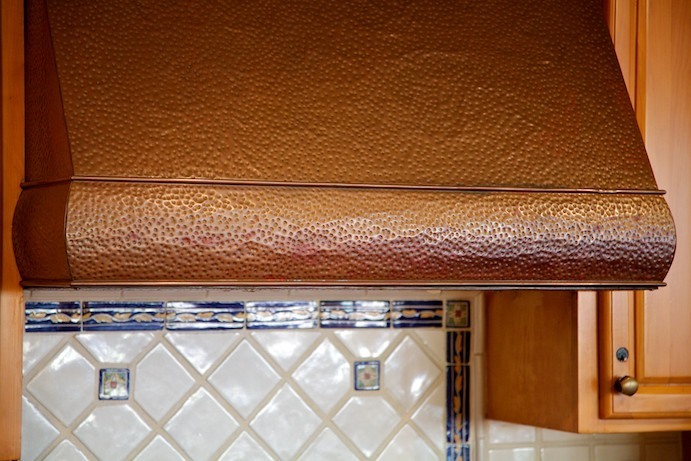 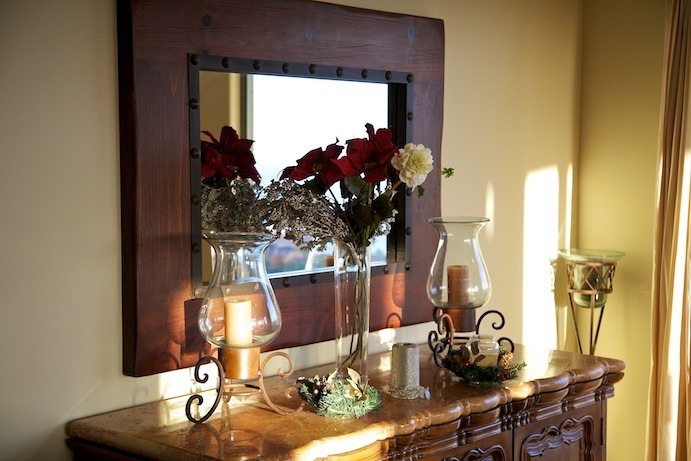 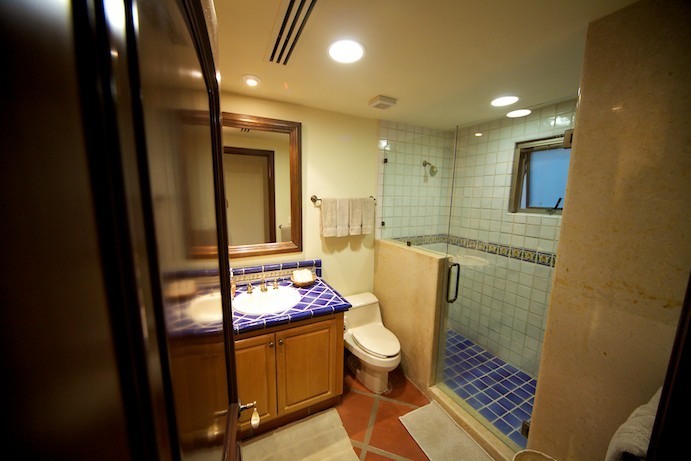 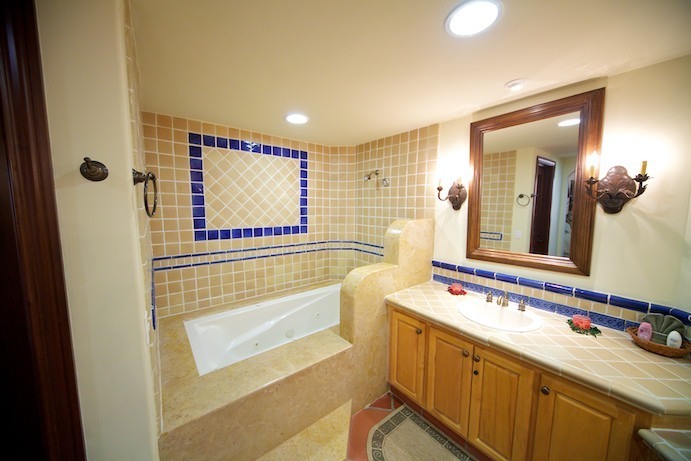 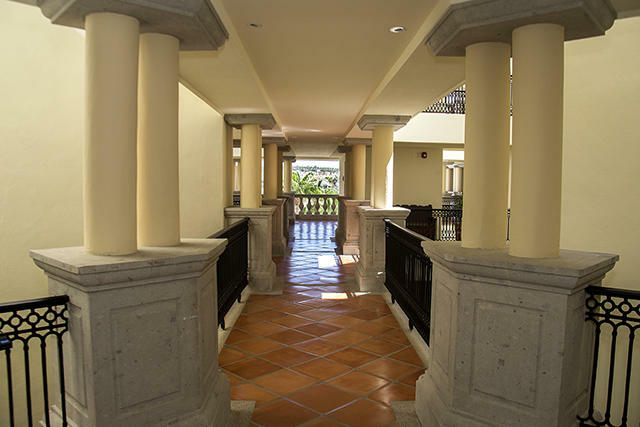 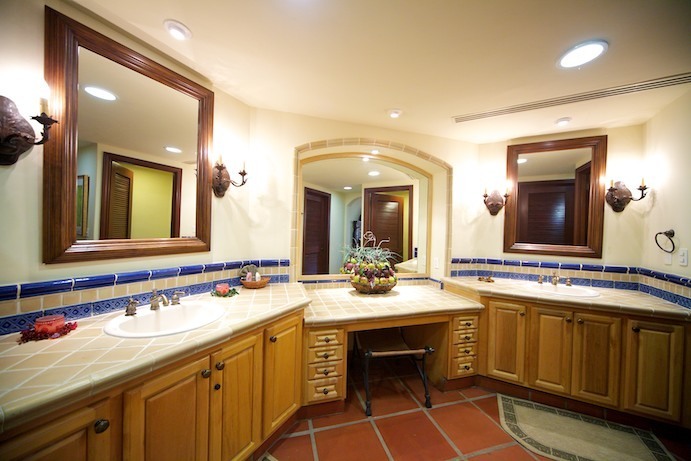 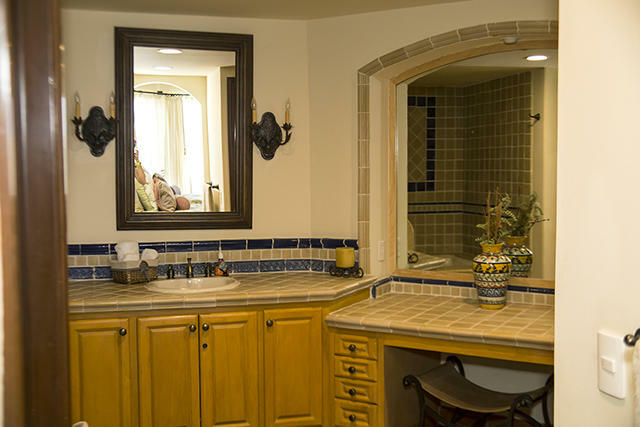 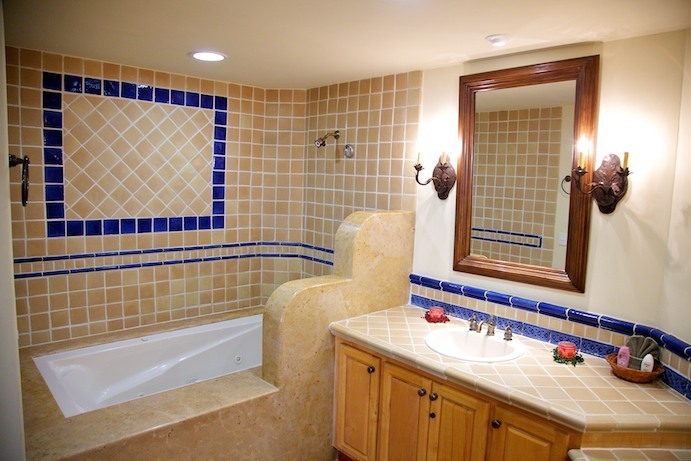 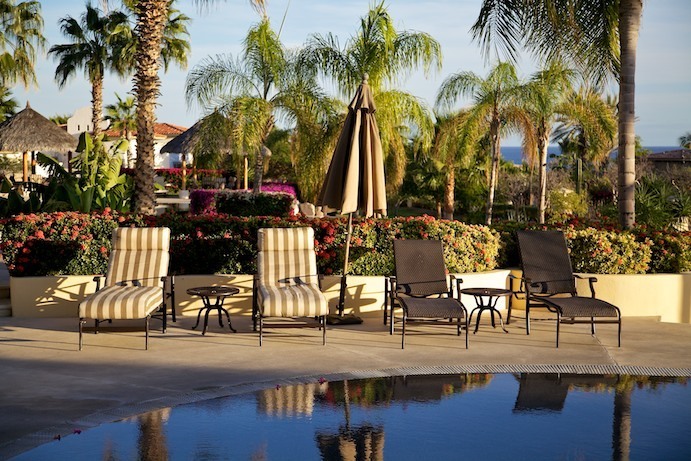 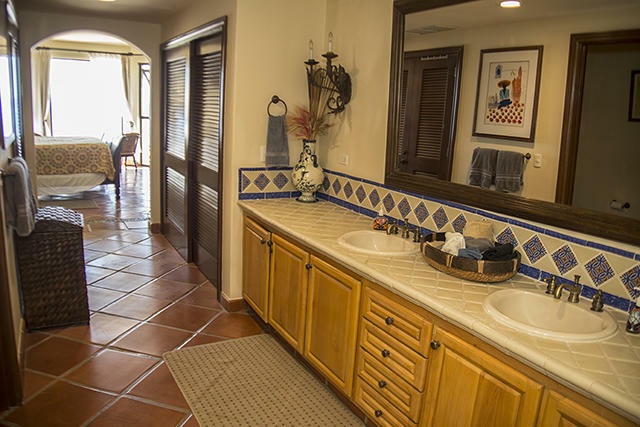 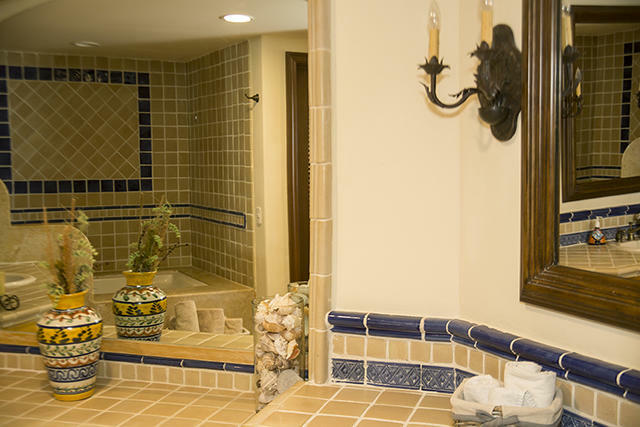 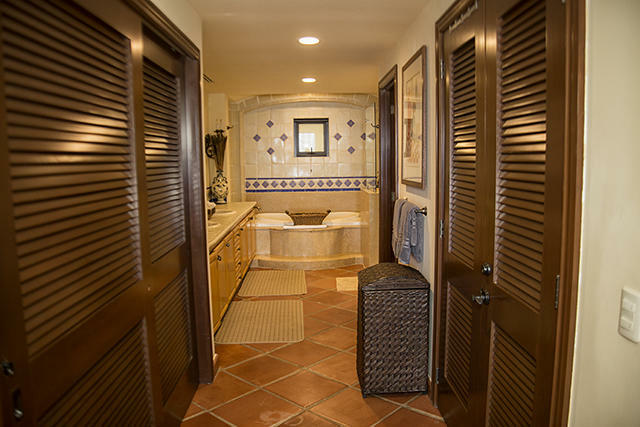 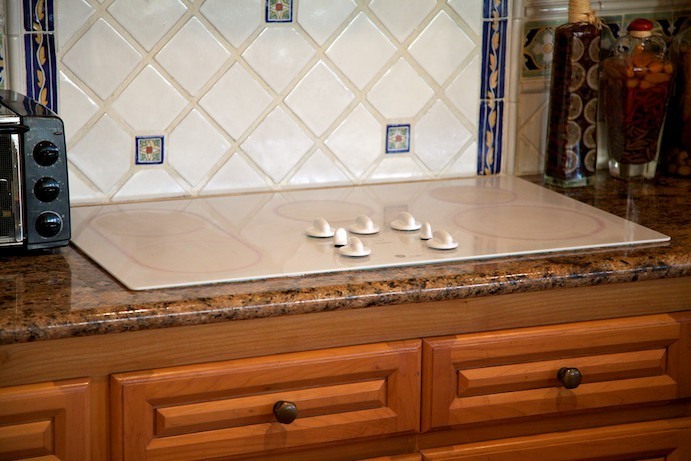 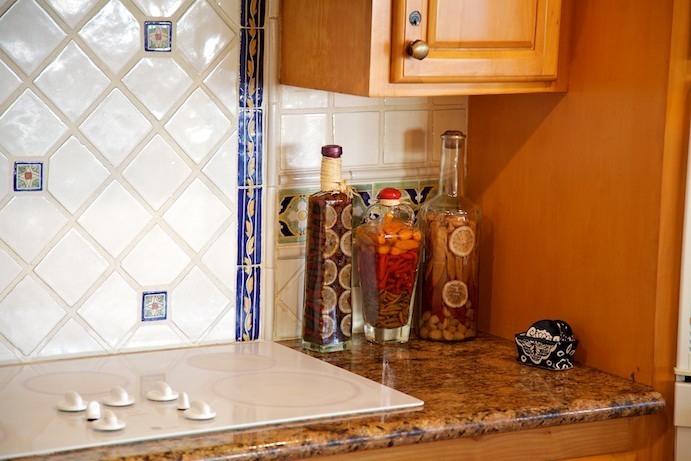 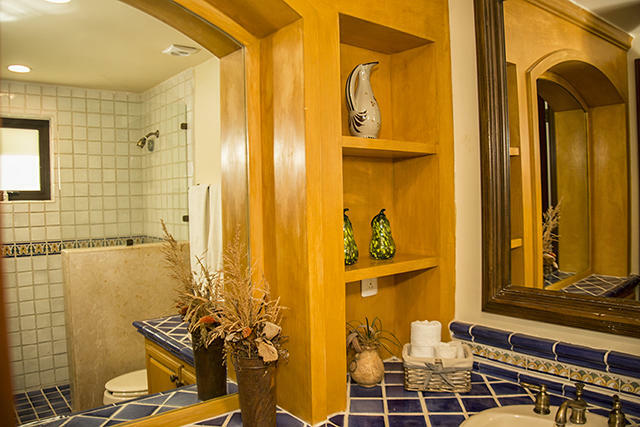 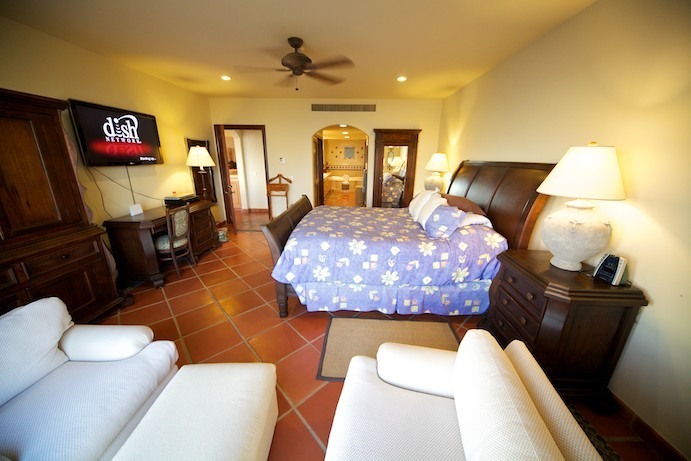 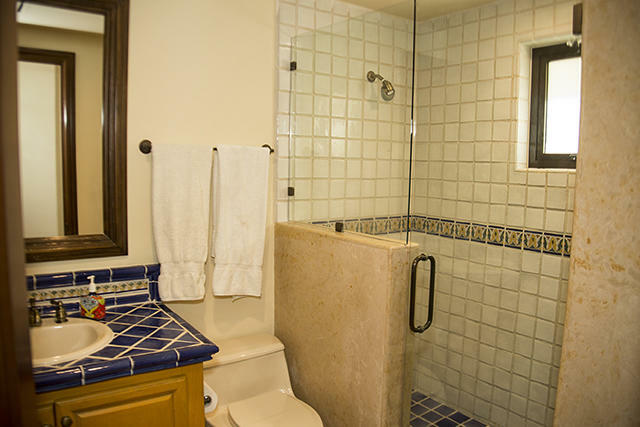 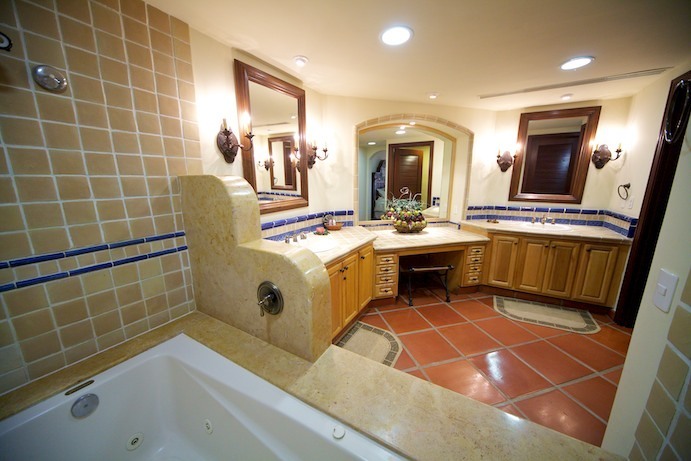 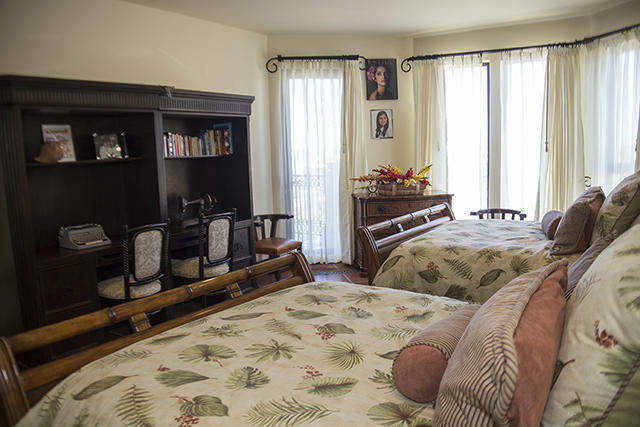 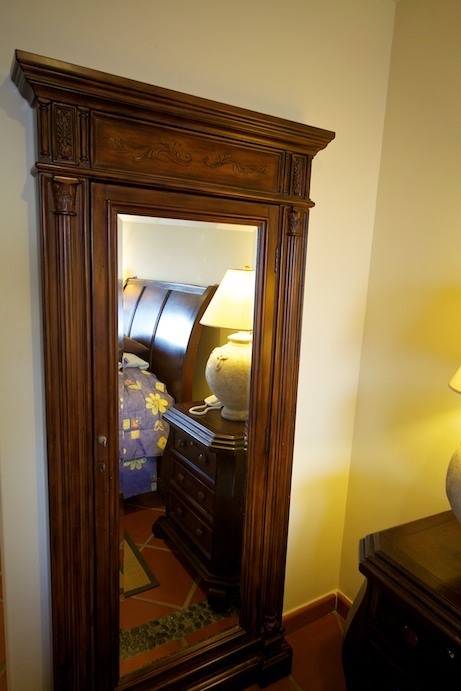 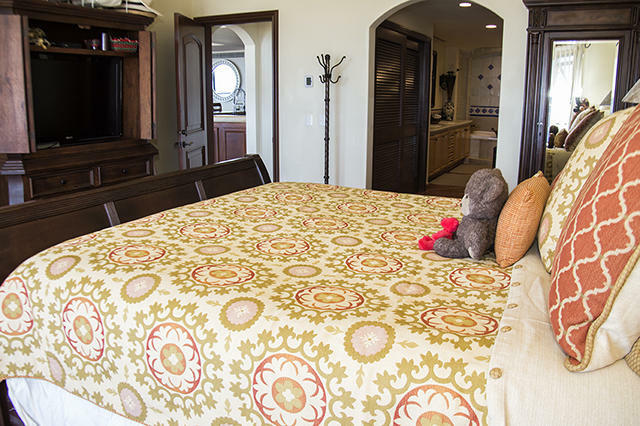 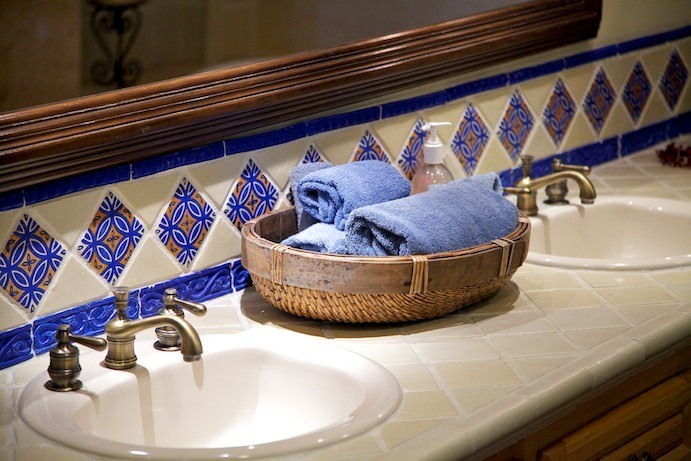 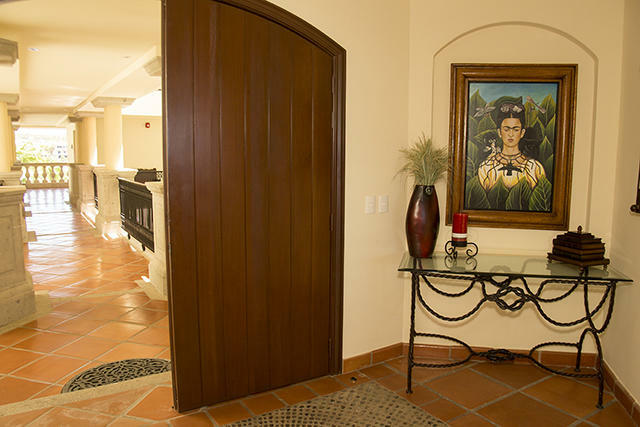 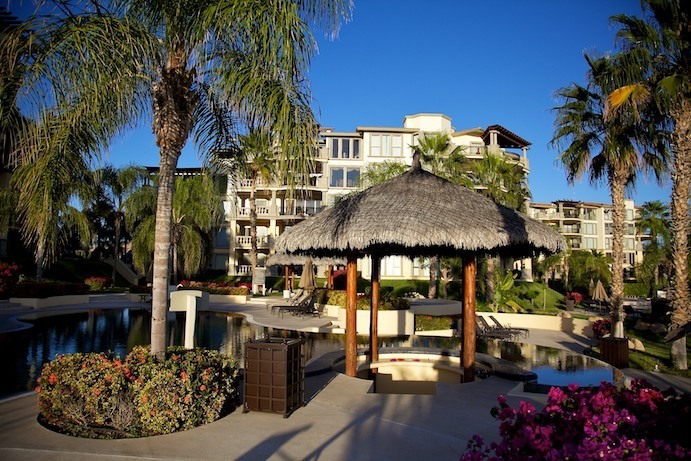 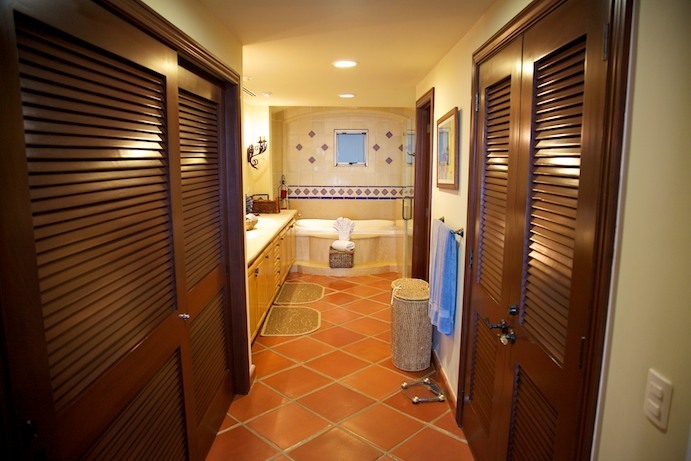 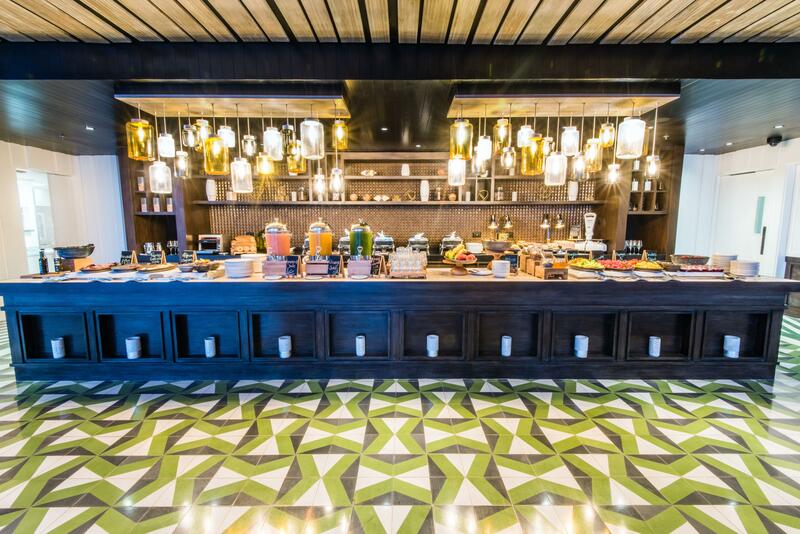 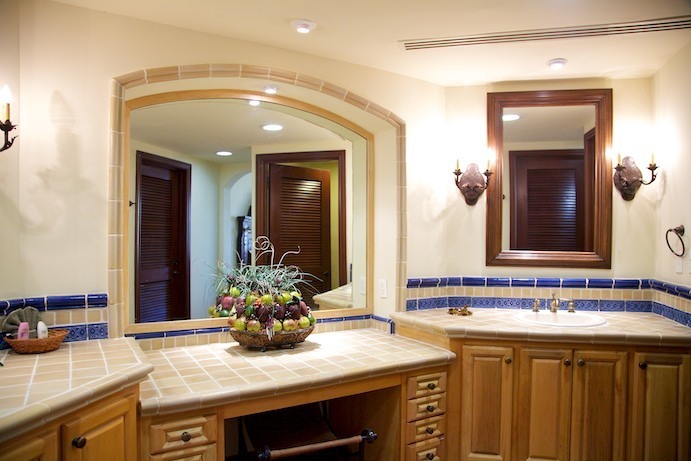 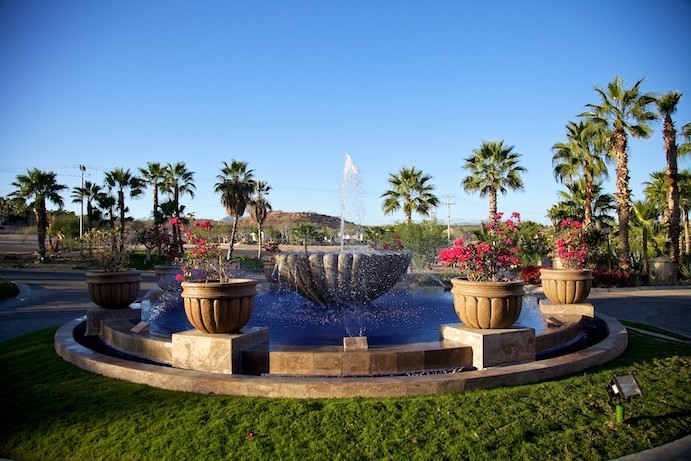 Owners have full access to all hotel amenities. 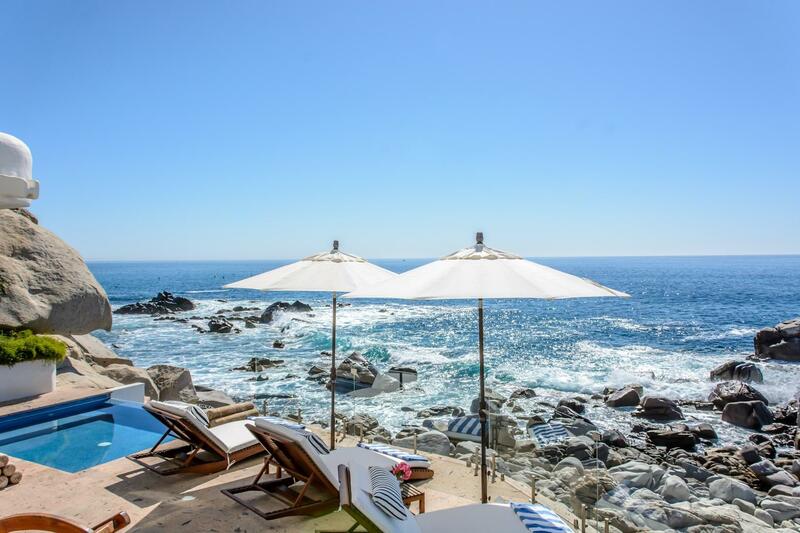 Description: Located on the tip of the Baja California Peninsula, The Cape Residences are a boutique collection of full-ownership luxury condominiums perched above the surf, with stunning views of the iconic Cabo San Lucas' Arch. They re-deï¬ne the concept of contemporary Mexican luxury with an ensemble of clean, modern, and minimalistic designs. 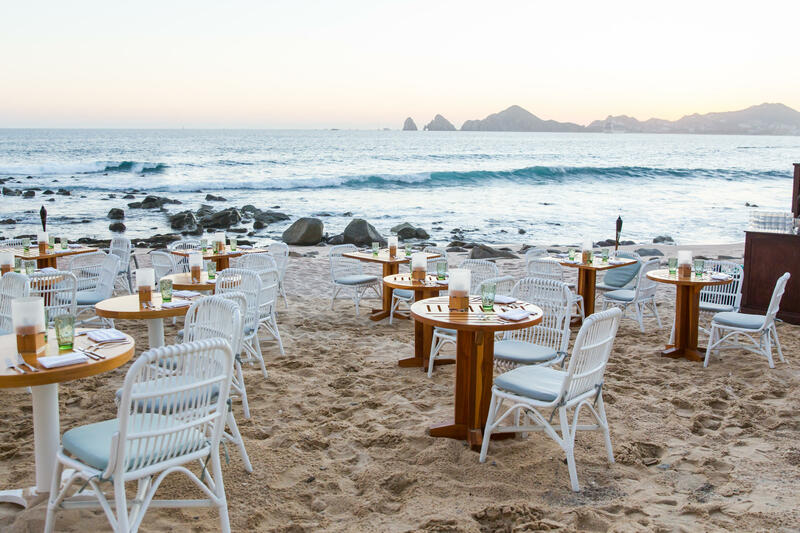 With a subtle nod to the beach blanket lifestyle the Baja enjoys year-round, you are bound to experience something quite amazing. 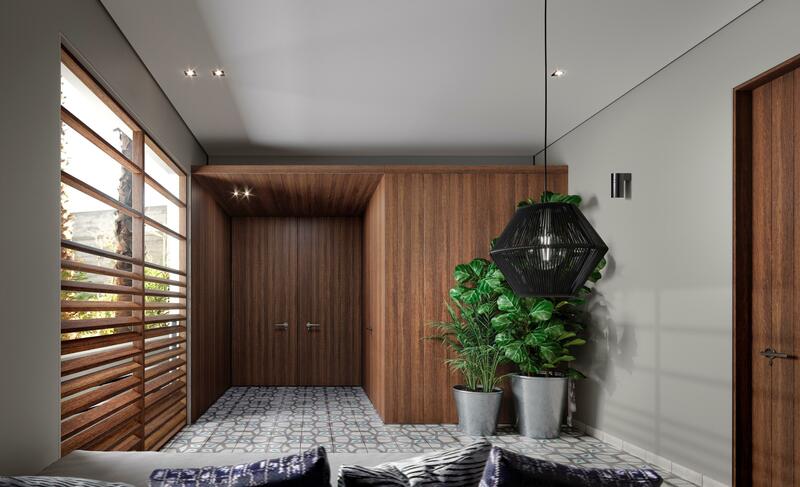 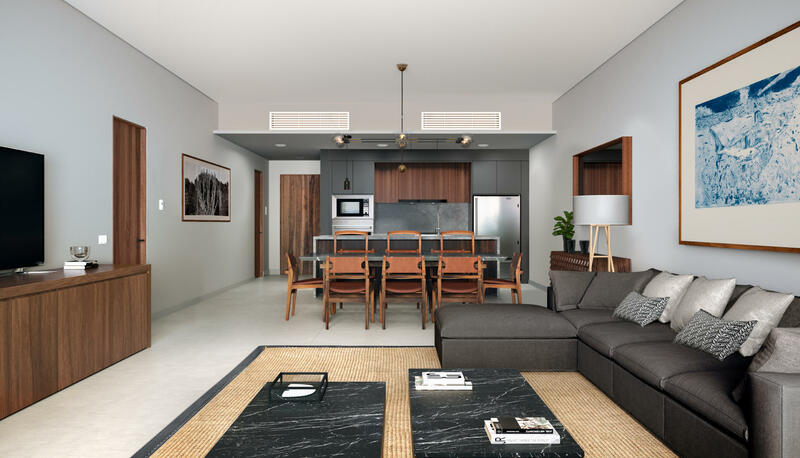 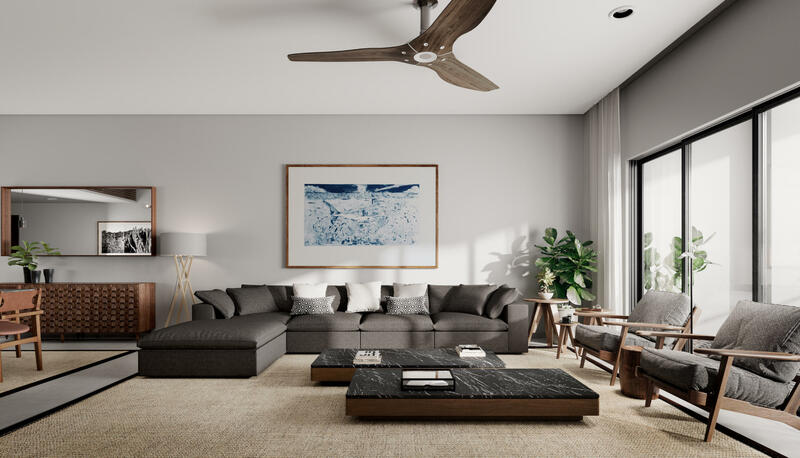 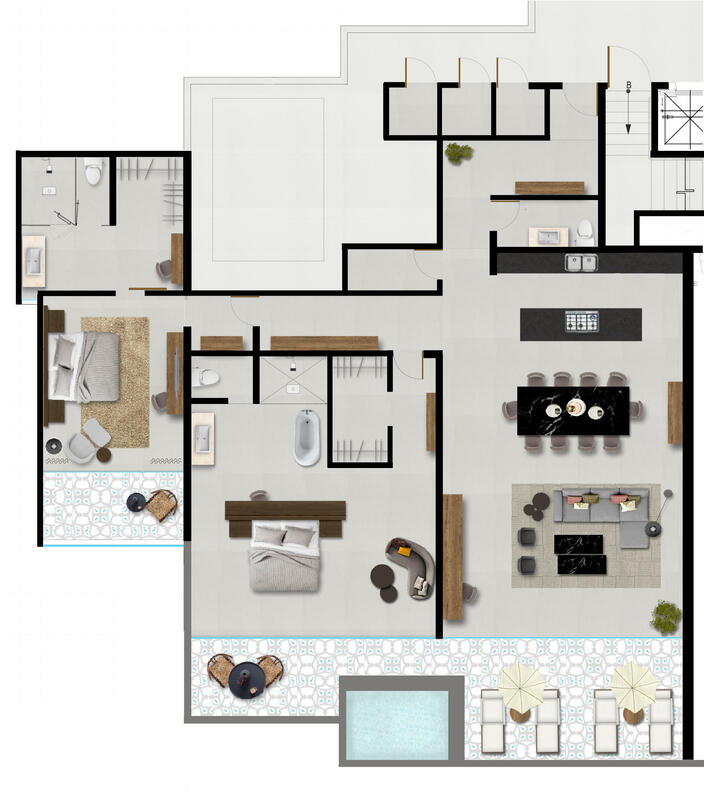 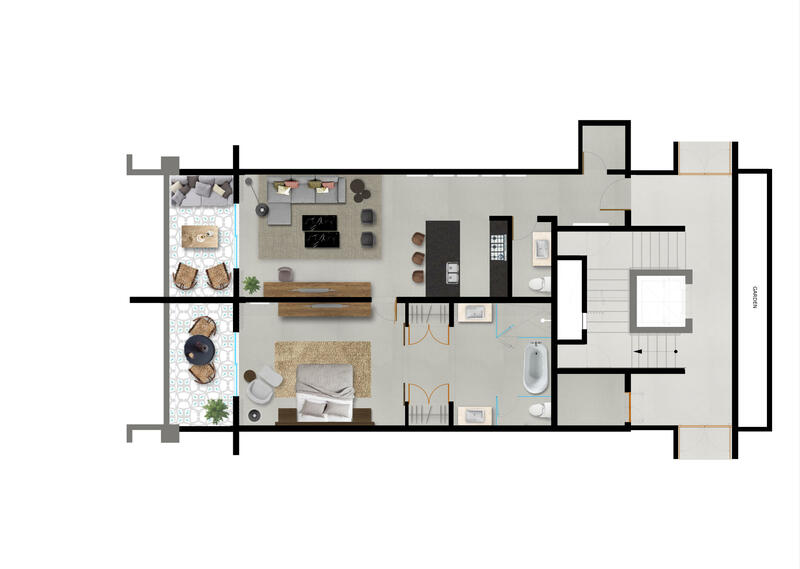 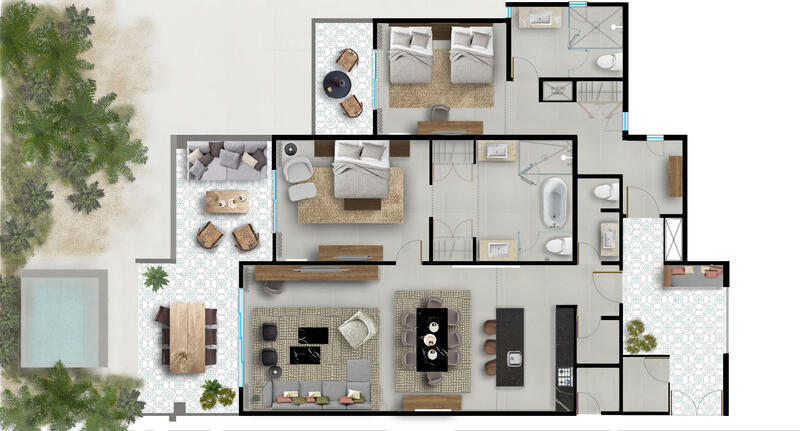 This one-bedroom residence offers an open floor concept, where the kitchen expands through the living room and out onto the terrace. 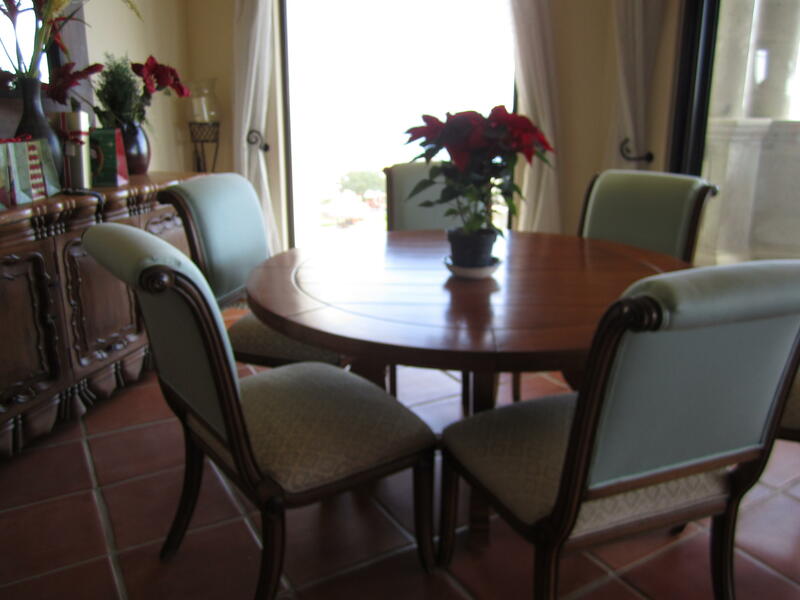 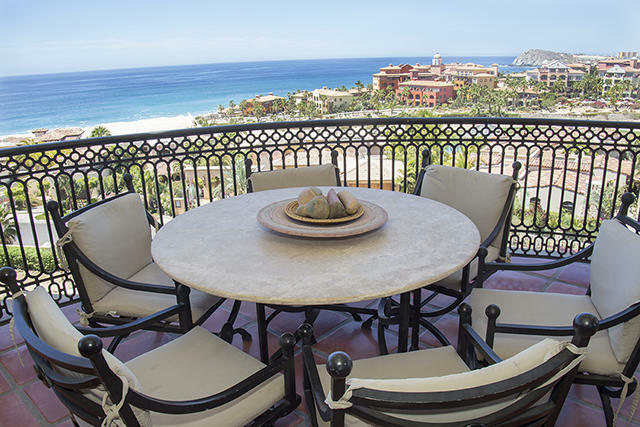 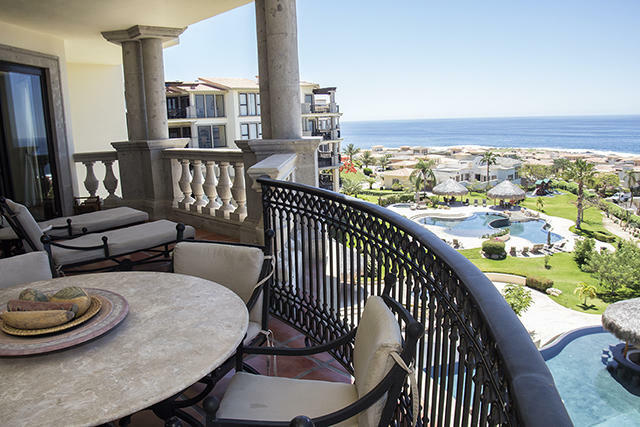 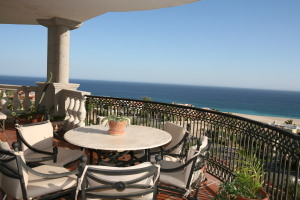 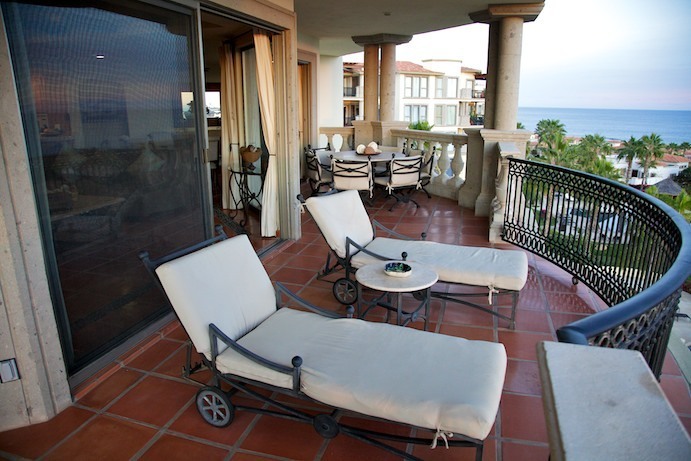 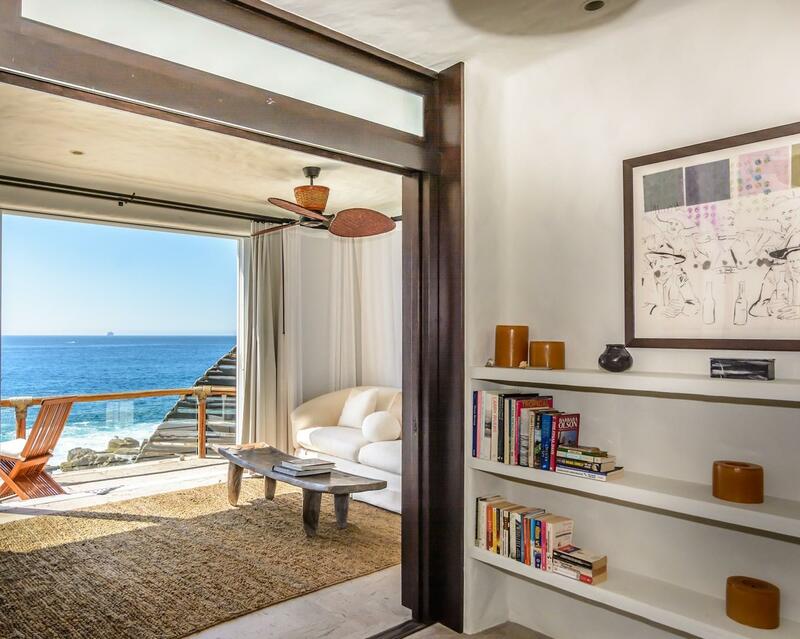 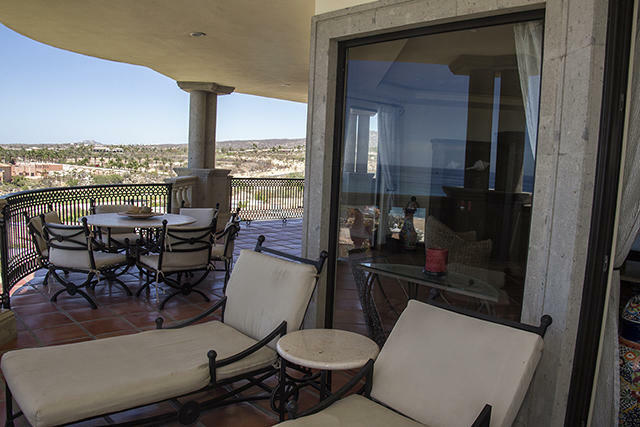 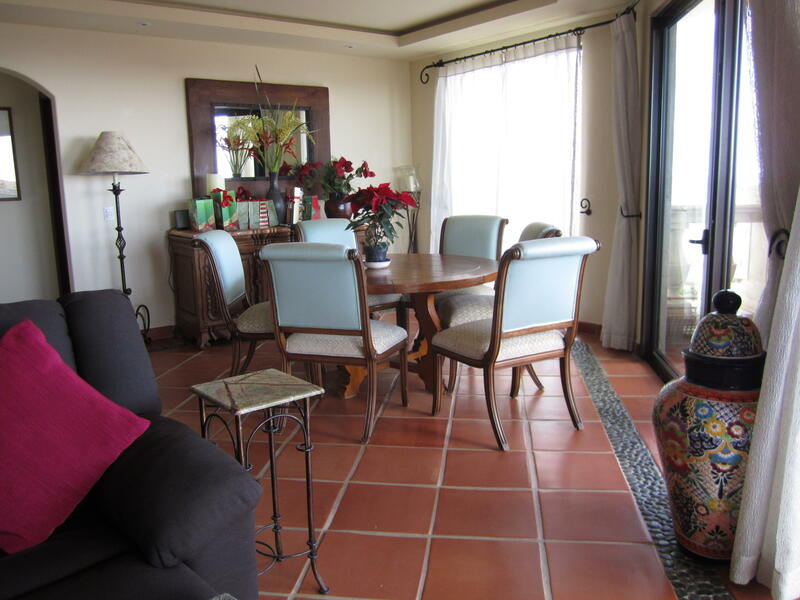 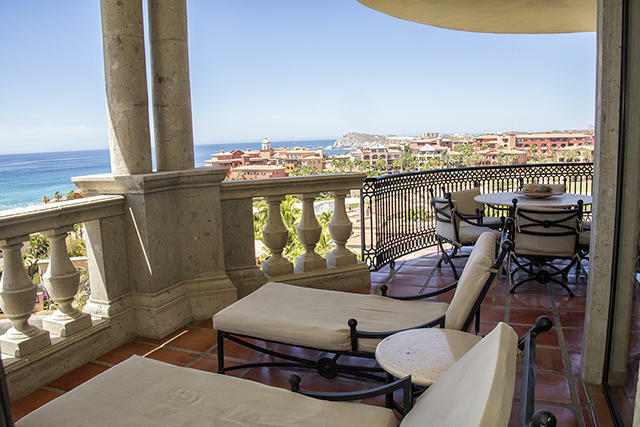 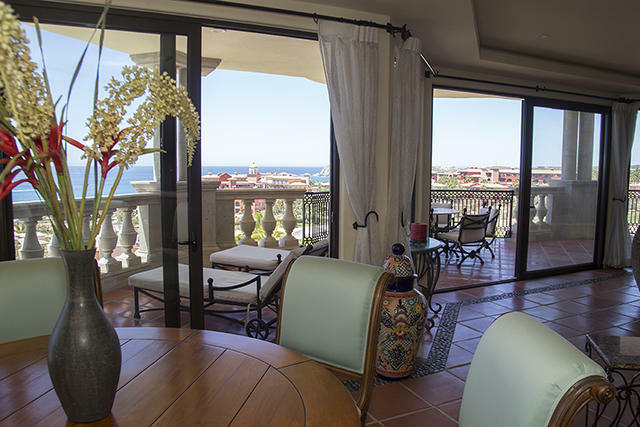 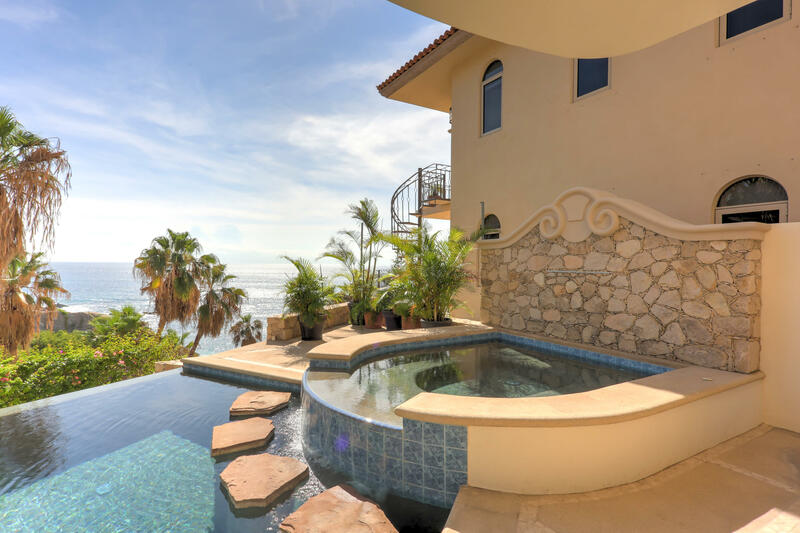 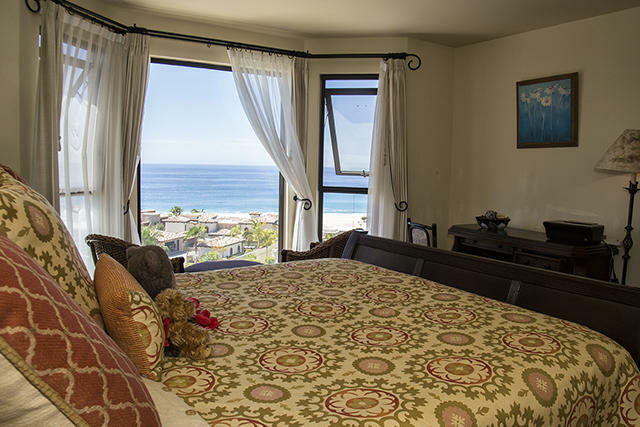 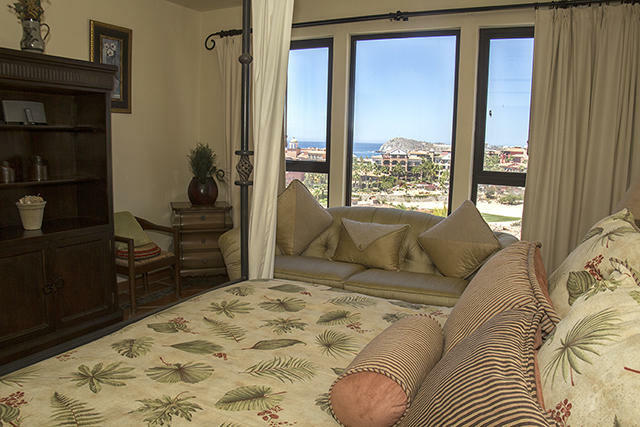 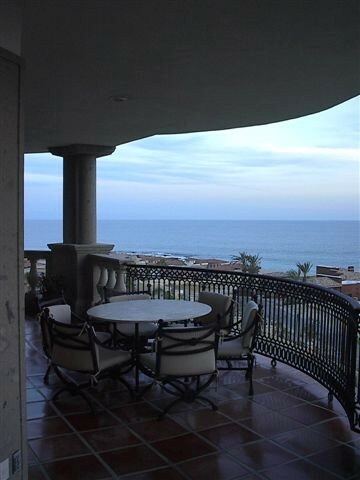 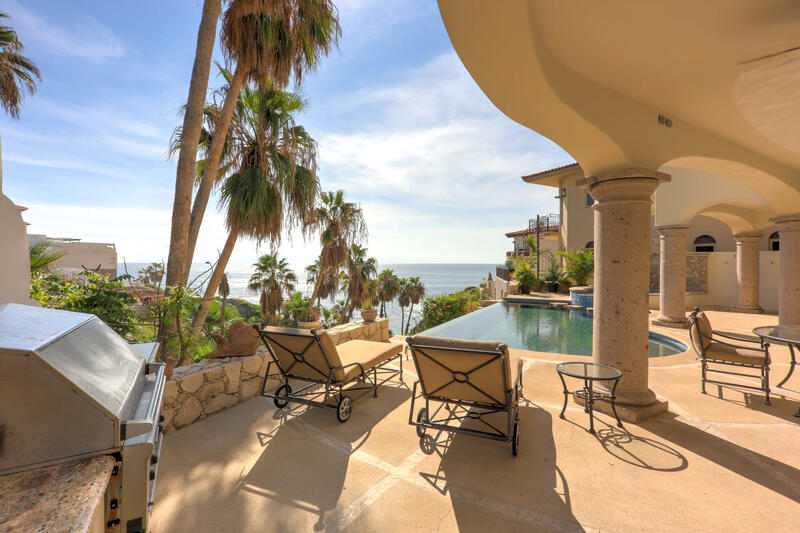 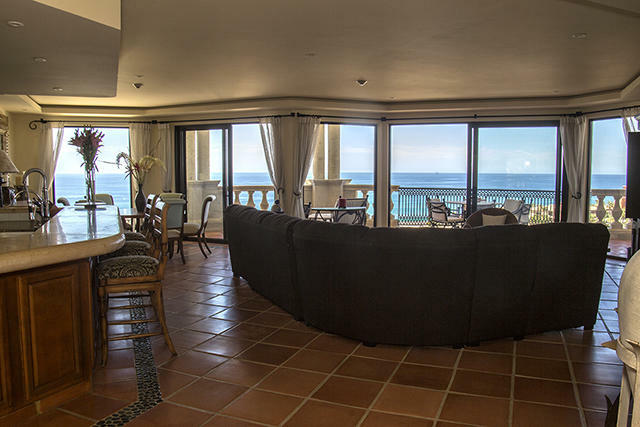 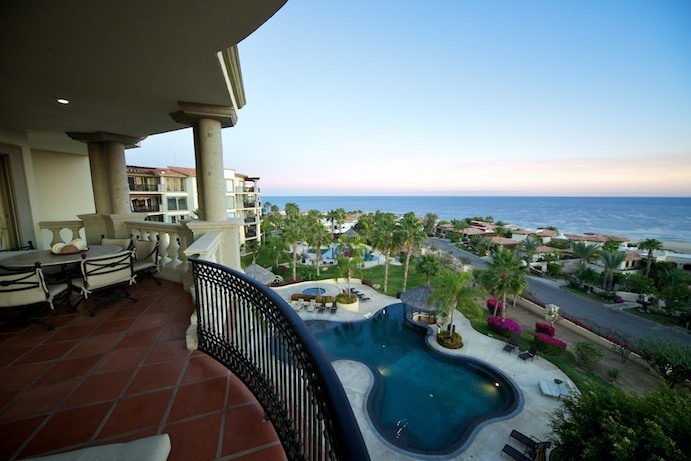 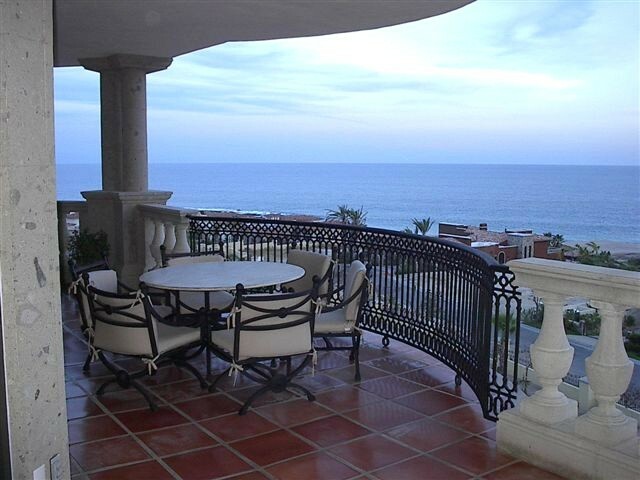 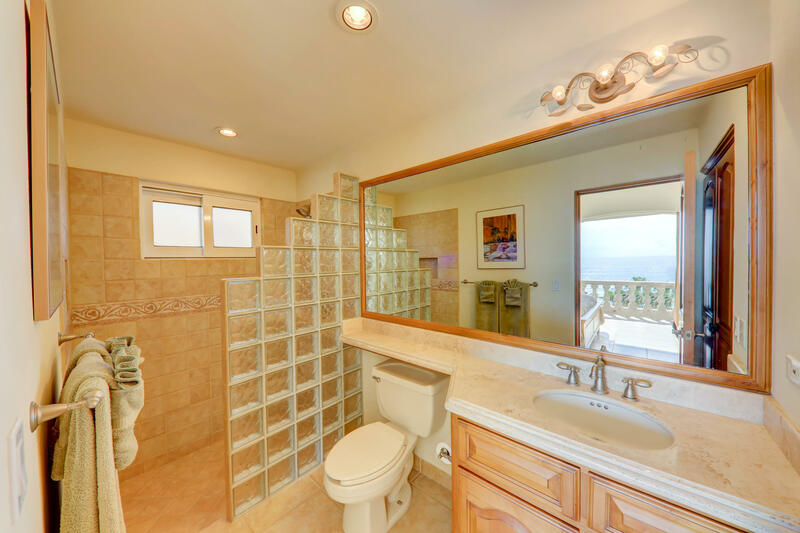 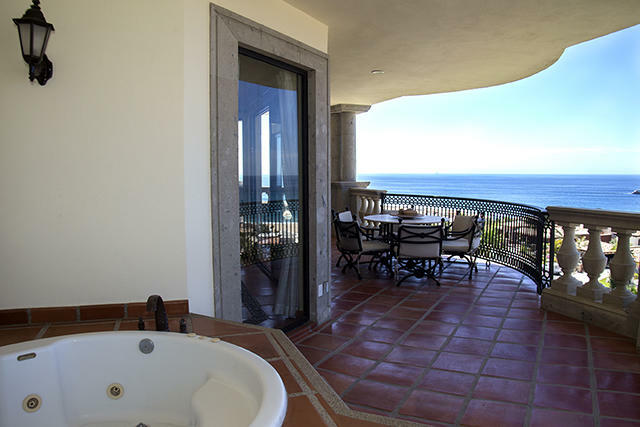 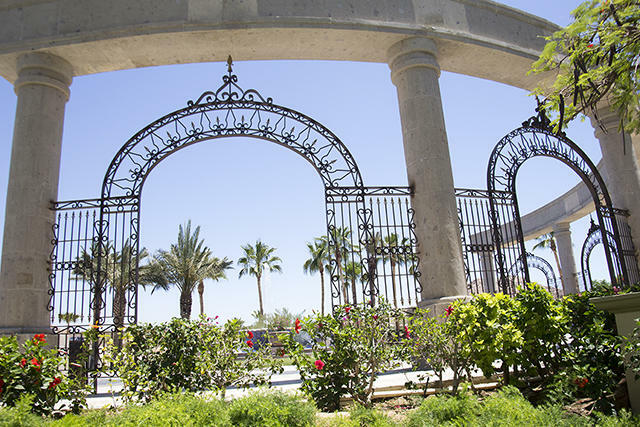 Set on the fourth floor this residence has the best view in Los Cabos, straight through El Arco. 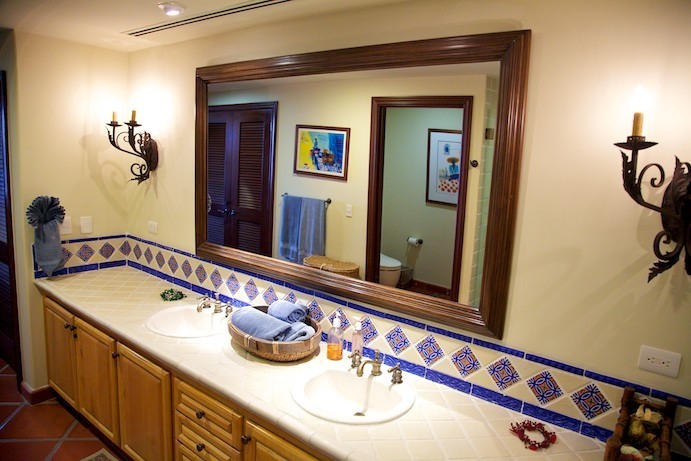 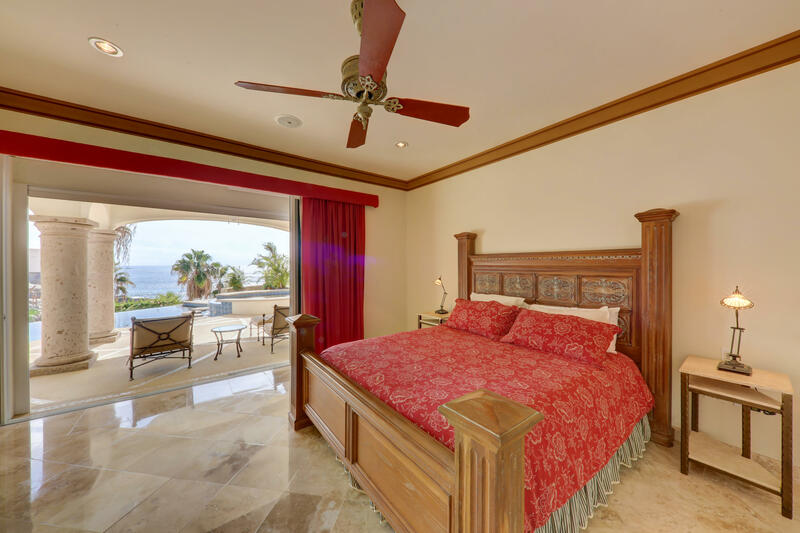 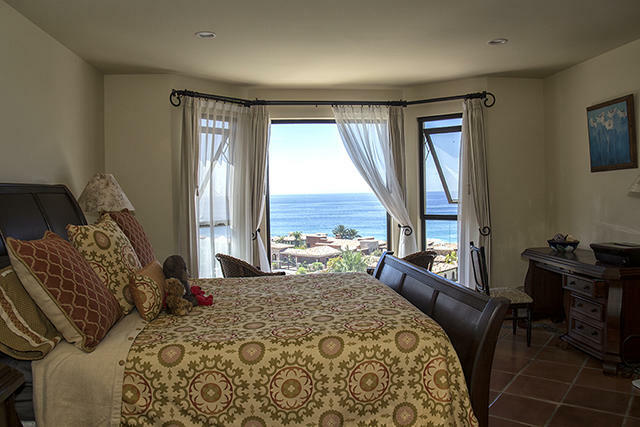 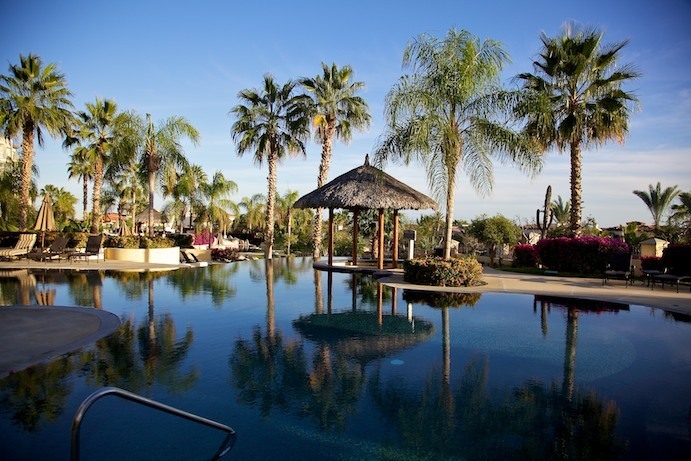 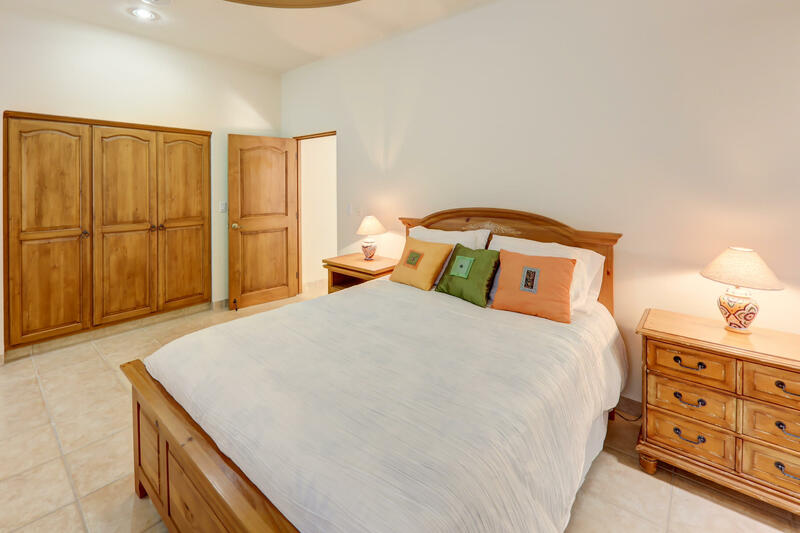 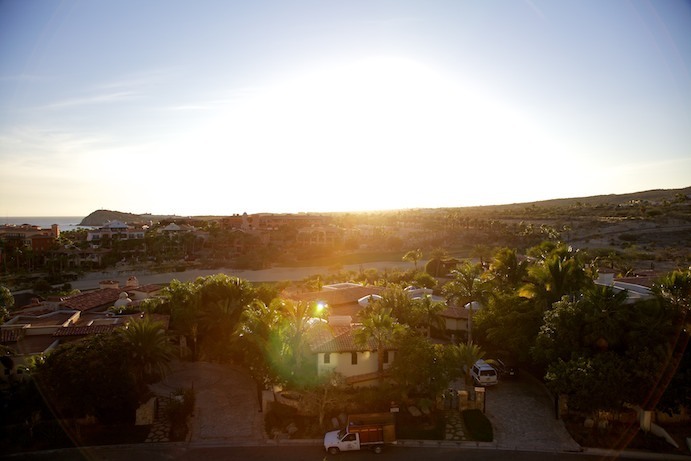 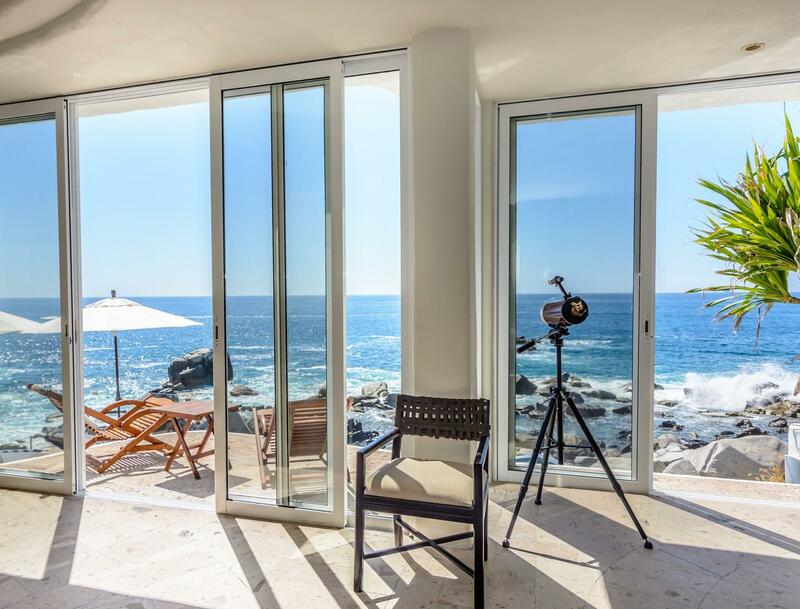 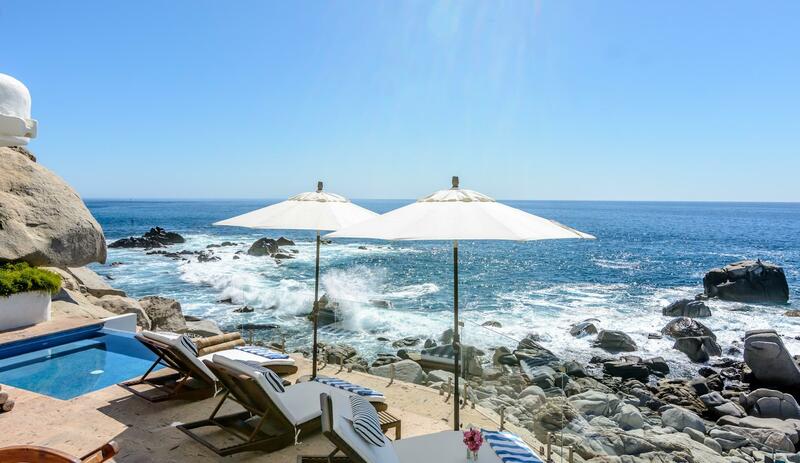 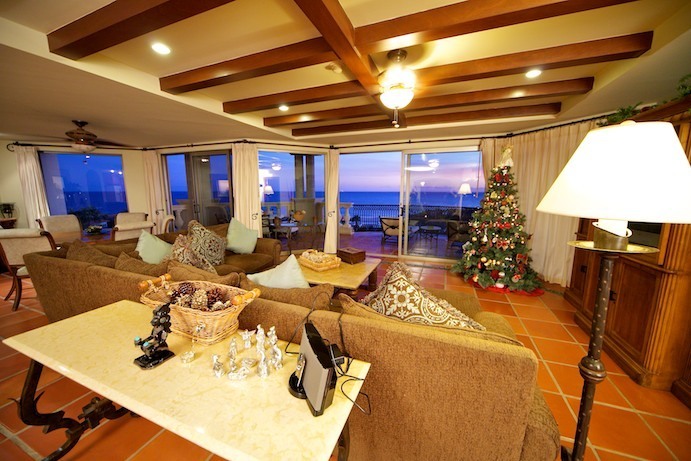 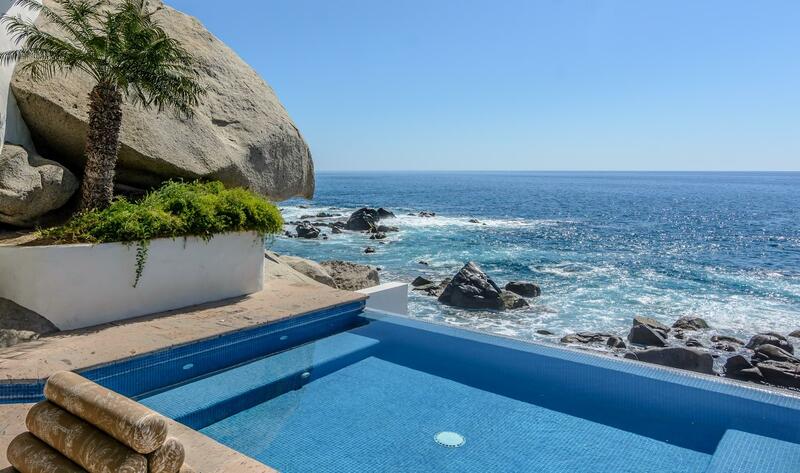 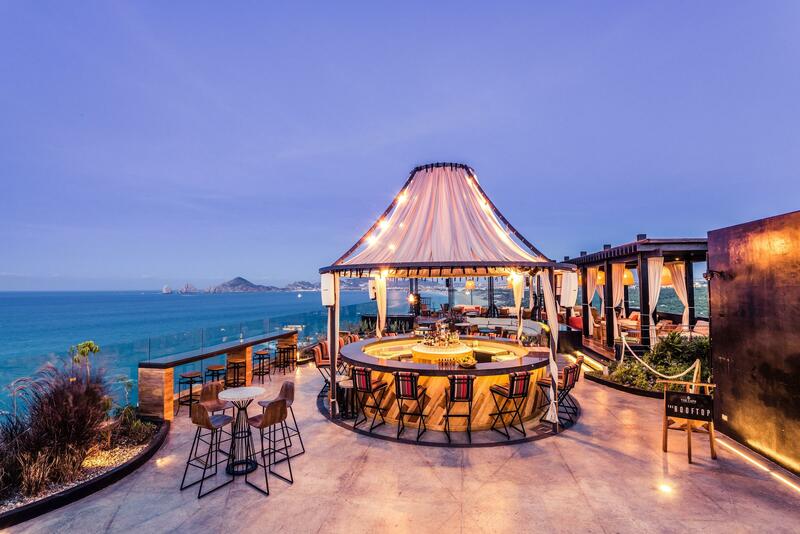 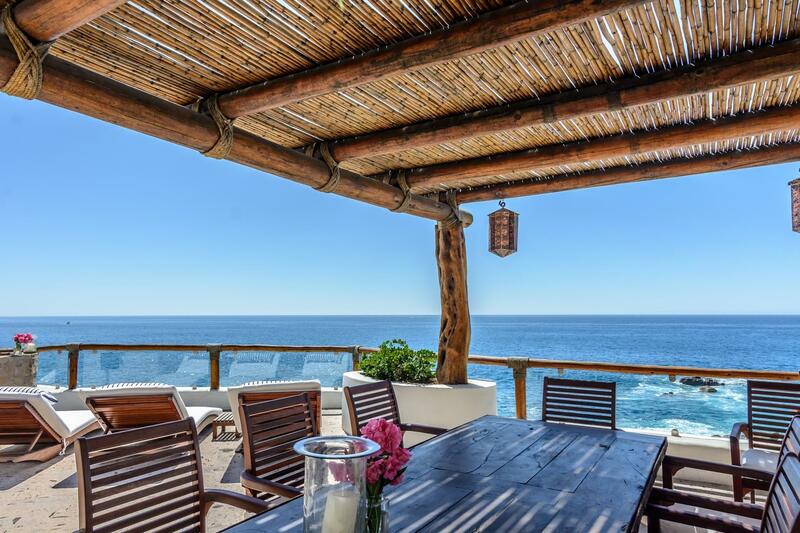 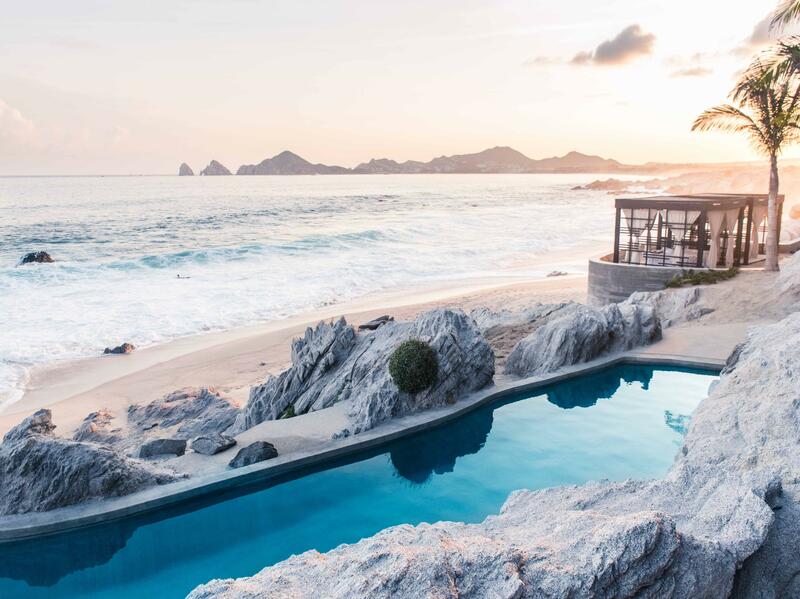 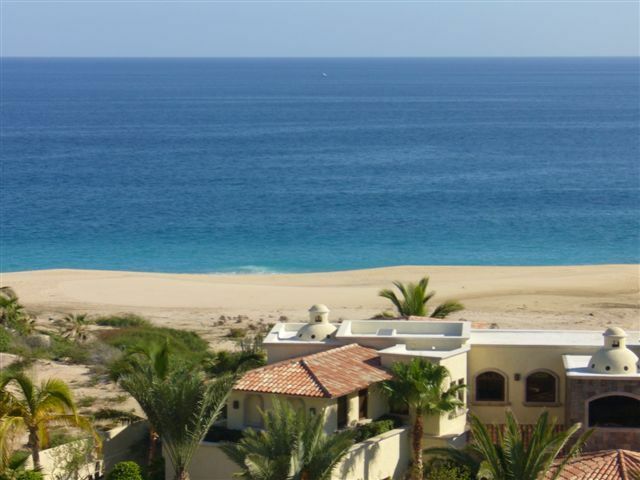 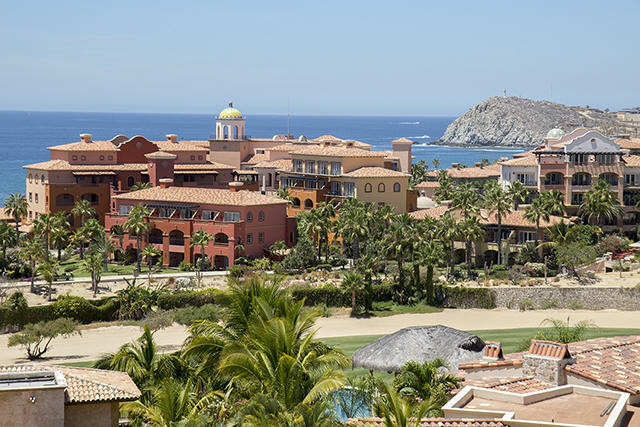 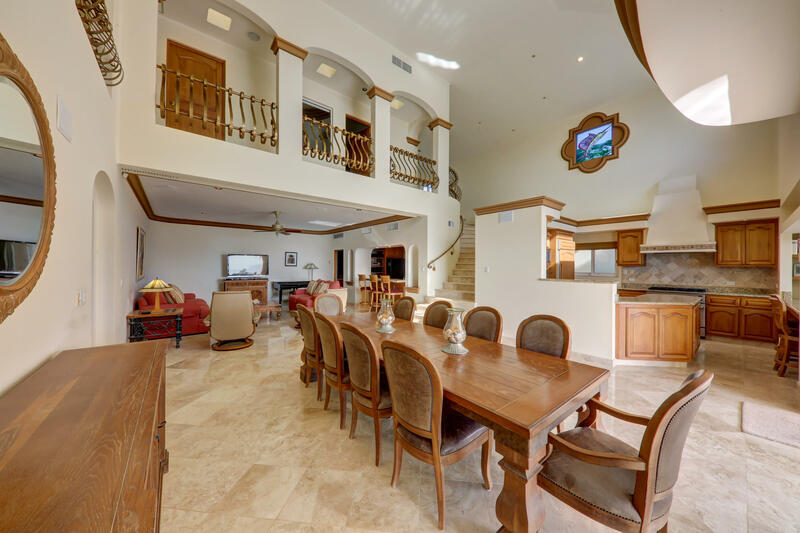 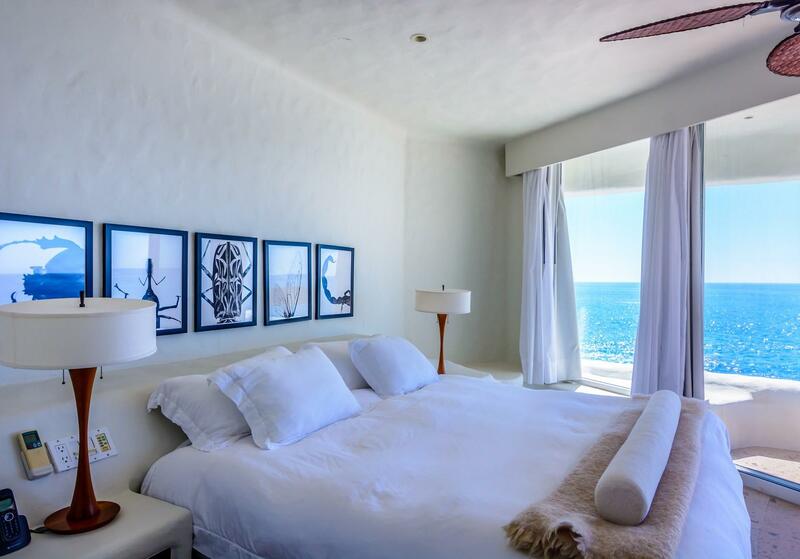 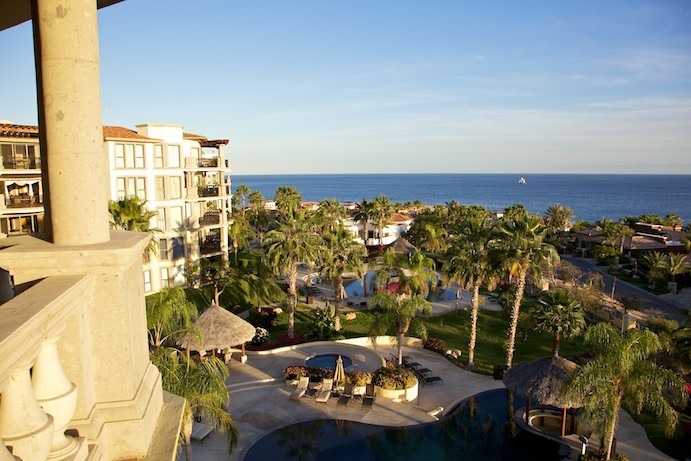 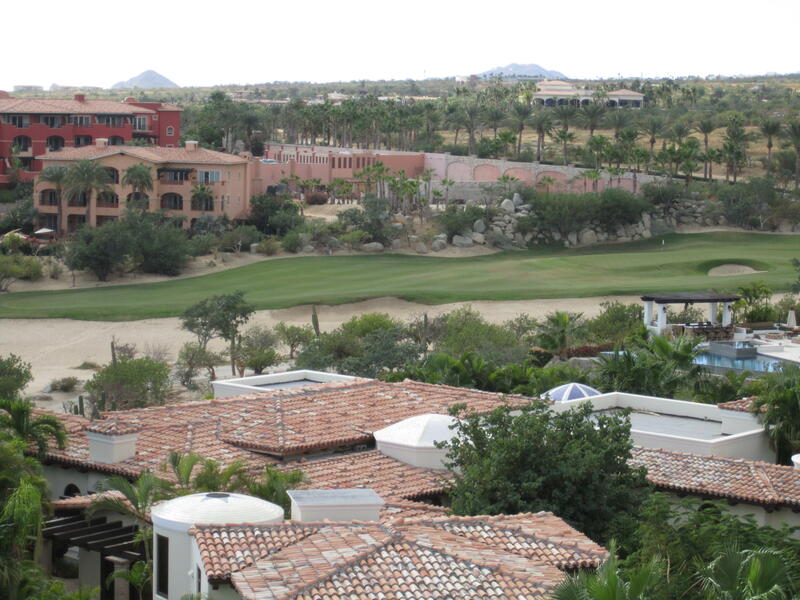 Description: Located on the tip of the Baja California Peninsula, The Cape Residences are a boutique collection of full-ownership luxury condominiums perched above the surf, with stunning views of the iconic Cabo San Lucas' Arch. 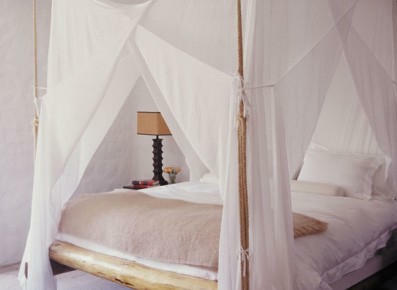 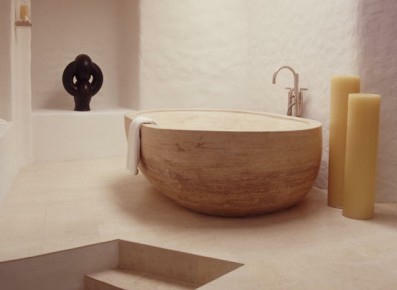 They re-deï¬ne the concept of contemporary Mexican luxury with an ensemble of clean, modern, and minimalistic designs. 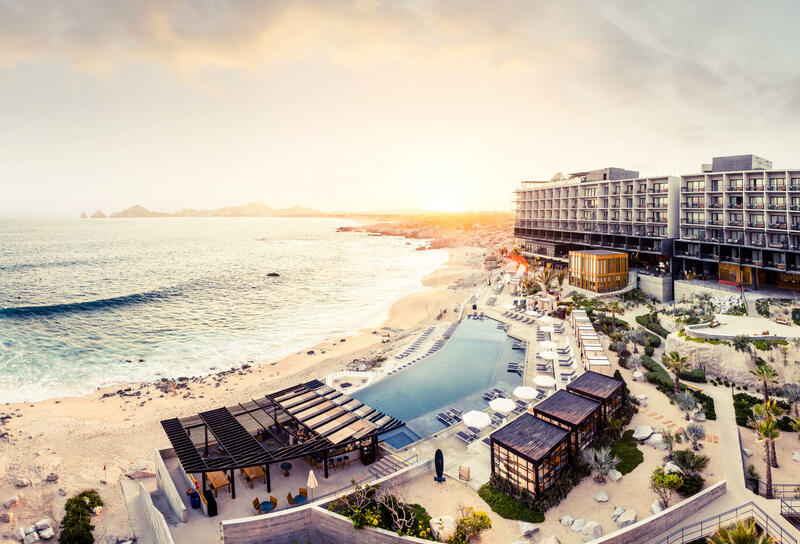 With a subtle nod to the beach blanket lifestyle the Baja enjoys year-round, you are bound to experience something quite amazing. 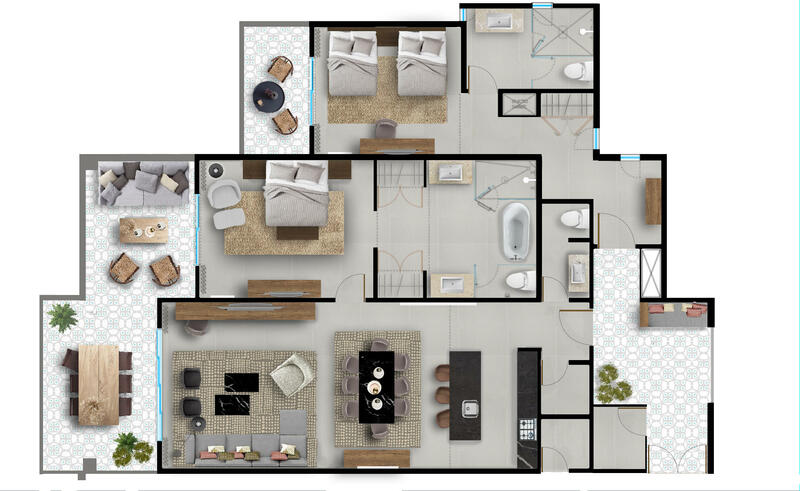 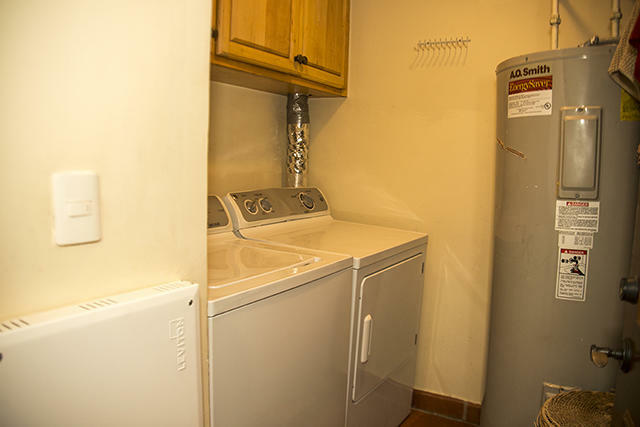 This one-bedroom residence offers an open floor concept. 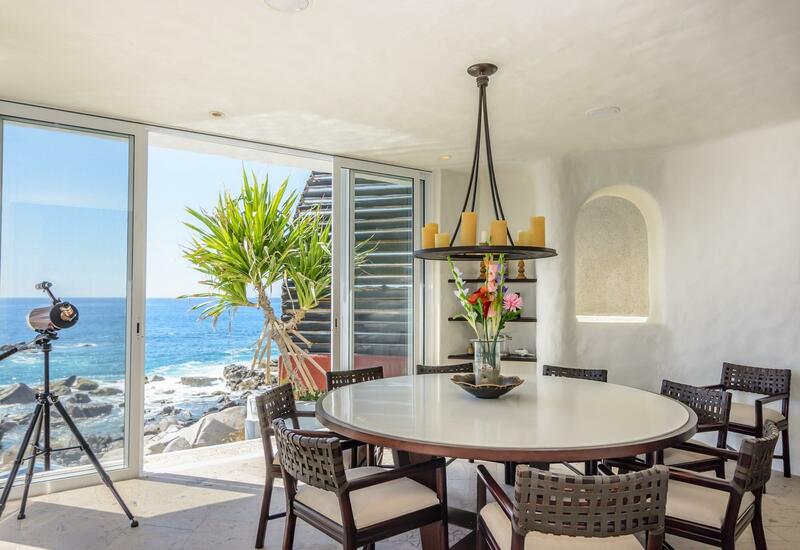 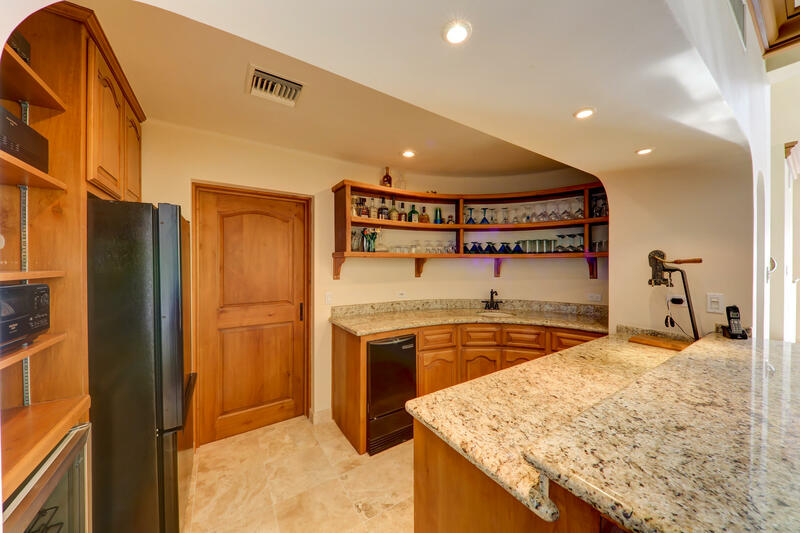 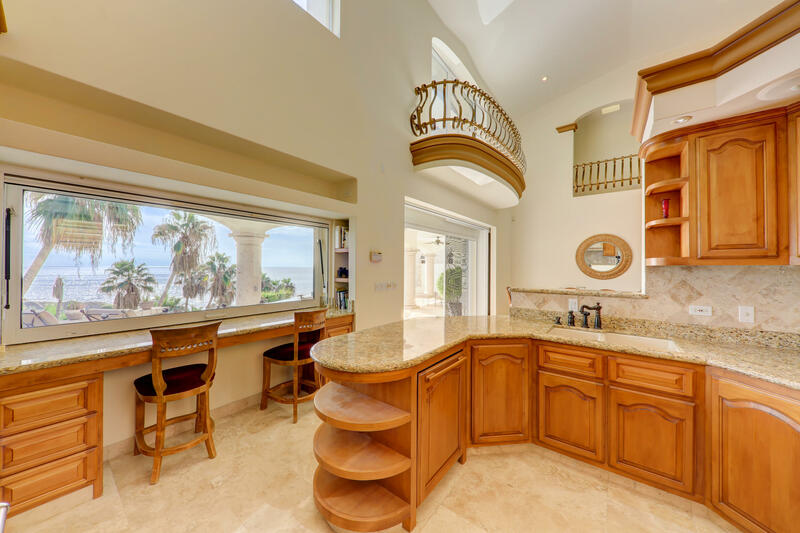 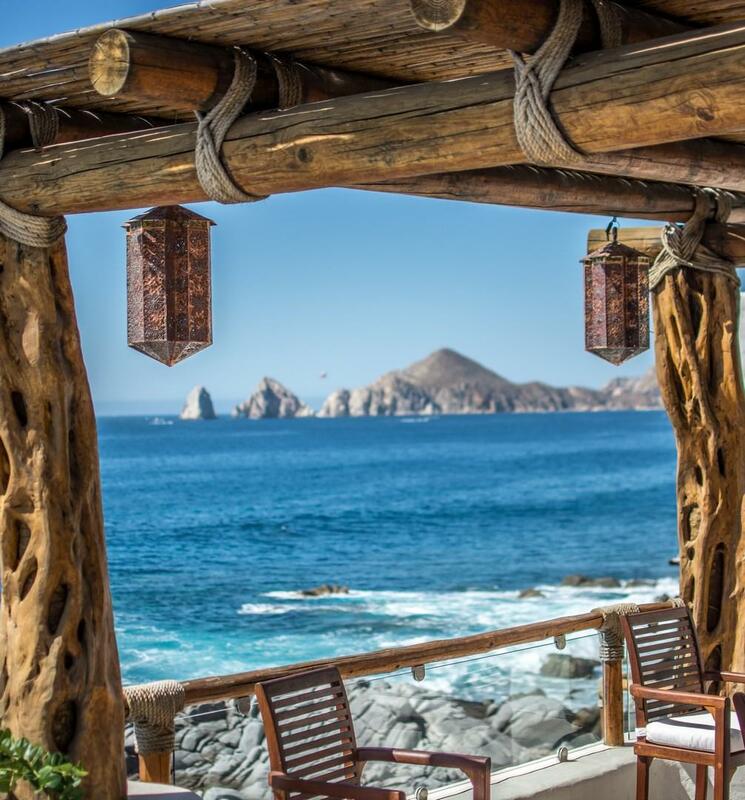 The kitchen expands through the living room and out onto the terrace which seems to extend into the Sea of Cortez - boasting the best view in Los Cabos, straight through El Arco.